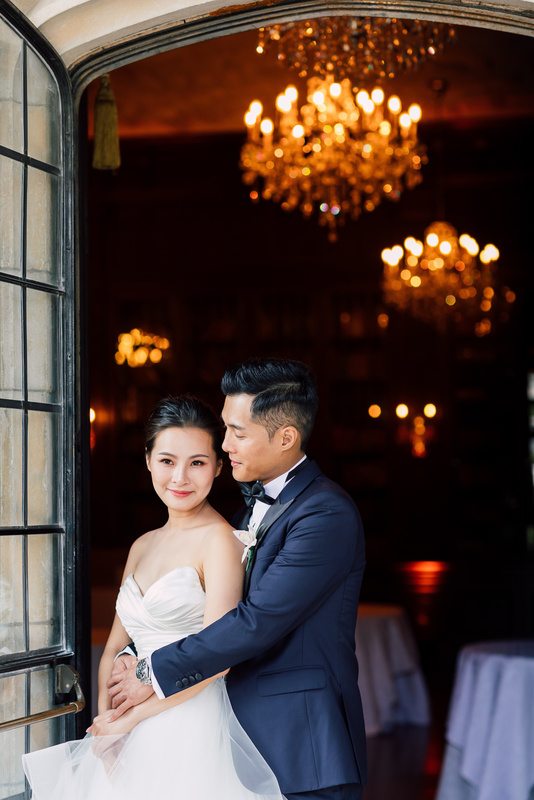 Anyone who has ever seen this beautiful couple together can attest to this: Fiona is a true testament of beauty in simplicity. 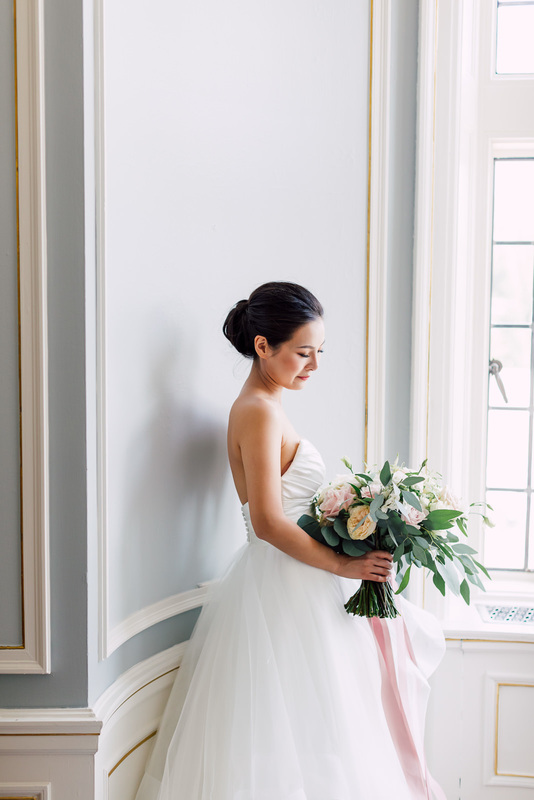 She has that classic look that you would want to stare at the whole day. 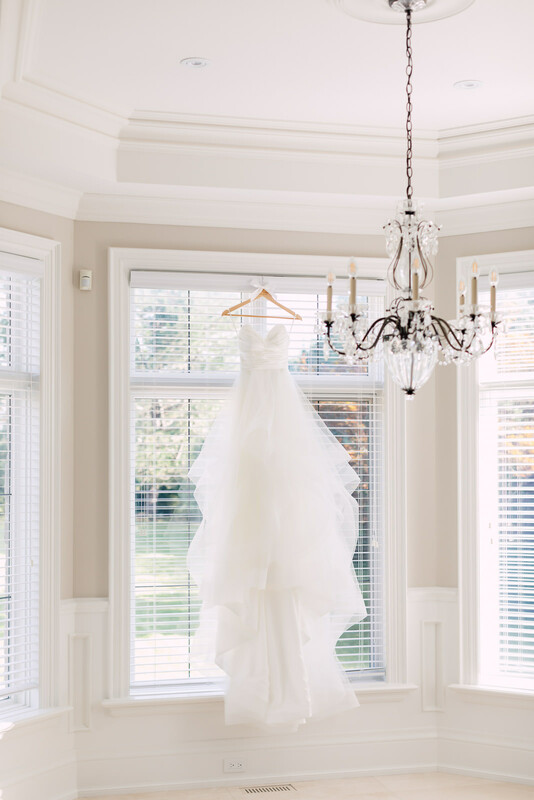 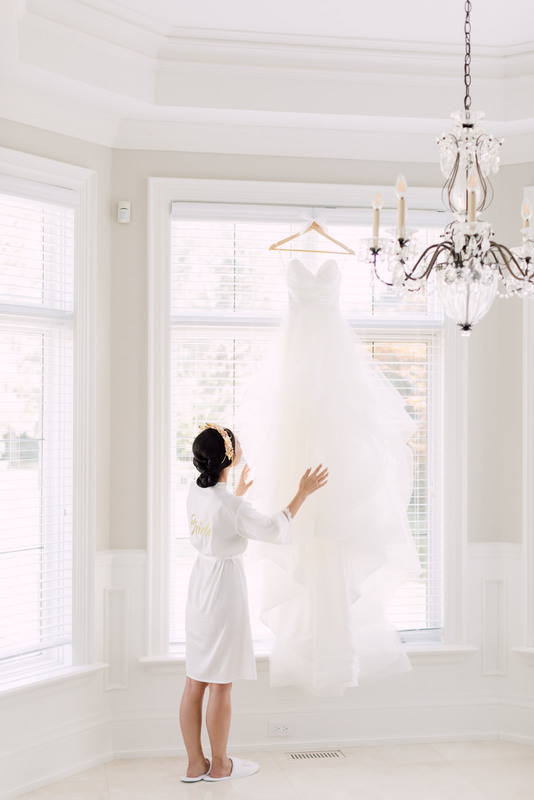 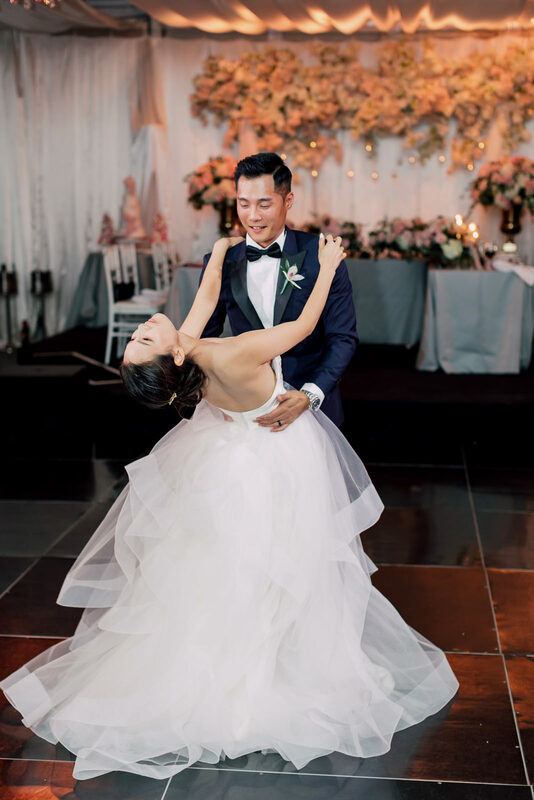 Naturally, she made for such a stunning bride — which her equally dashing groom perfectly complemented! 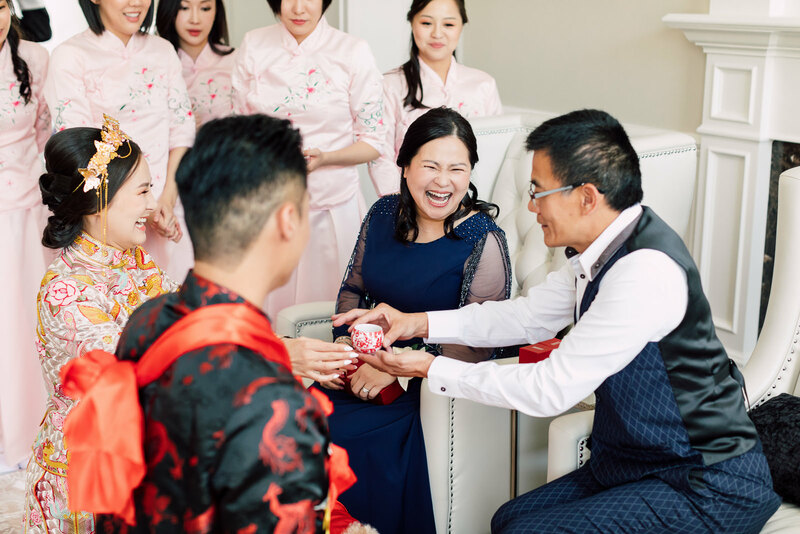 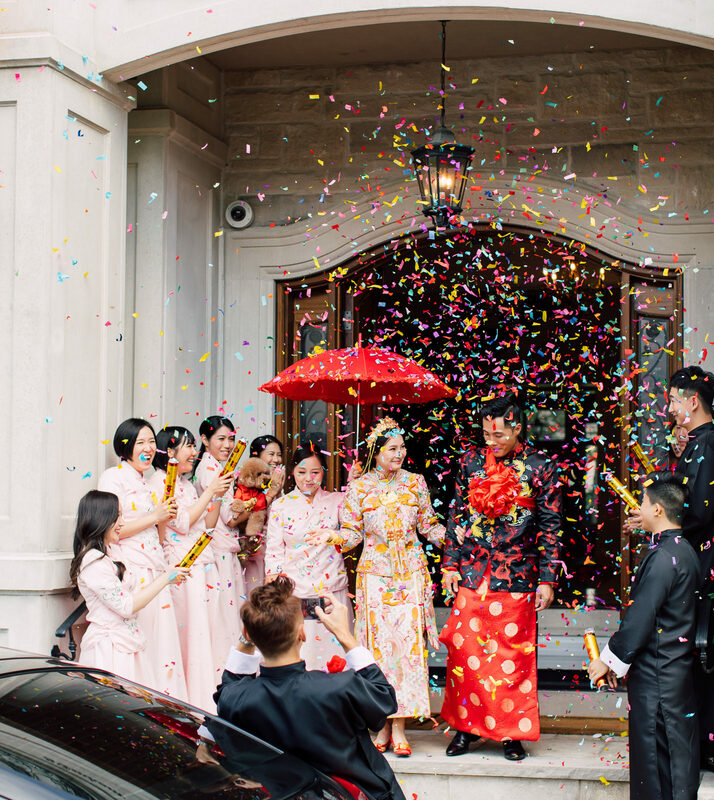 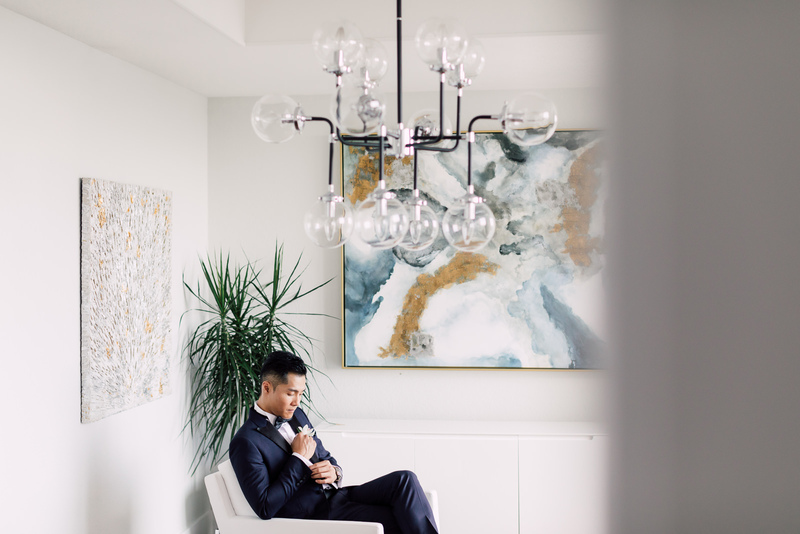 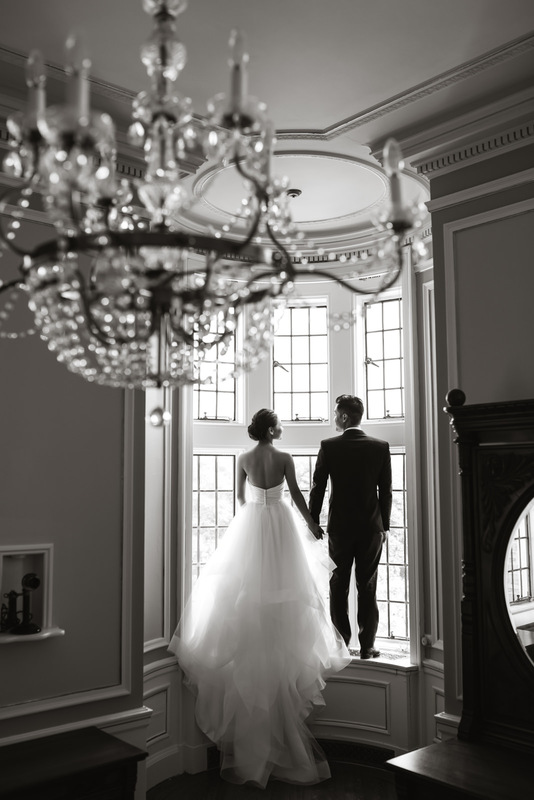 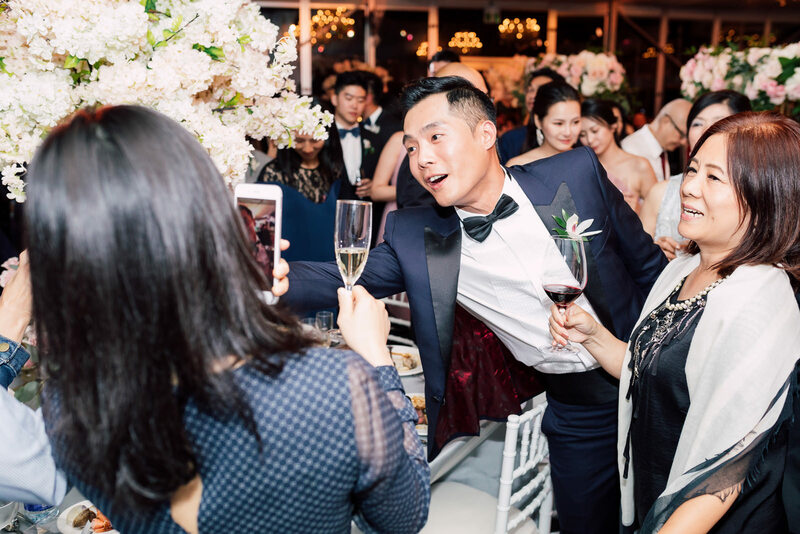 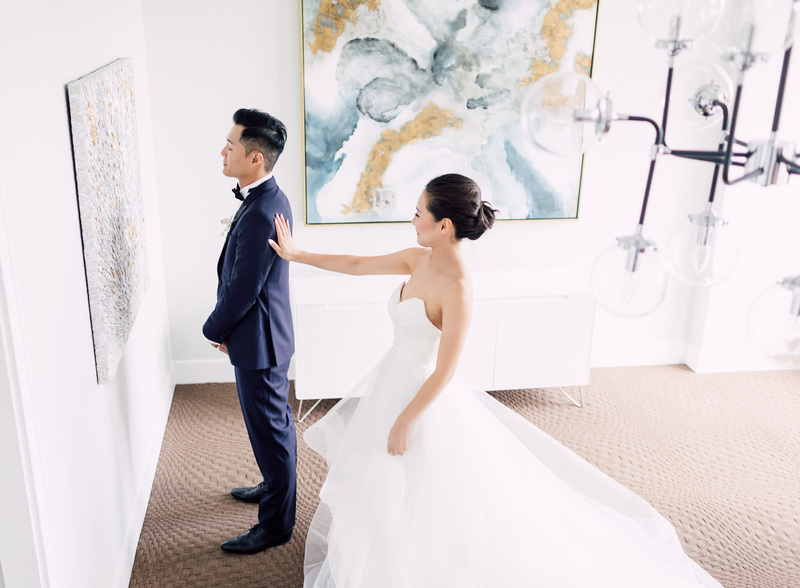 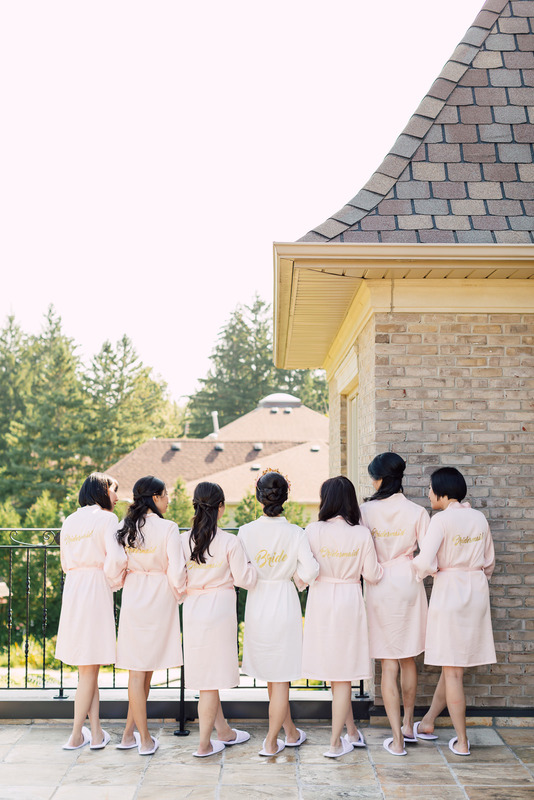 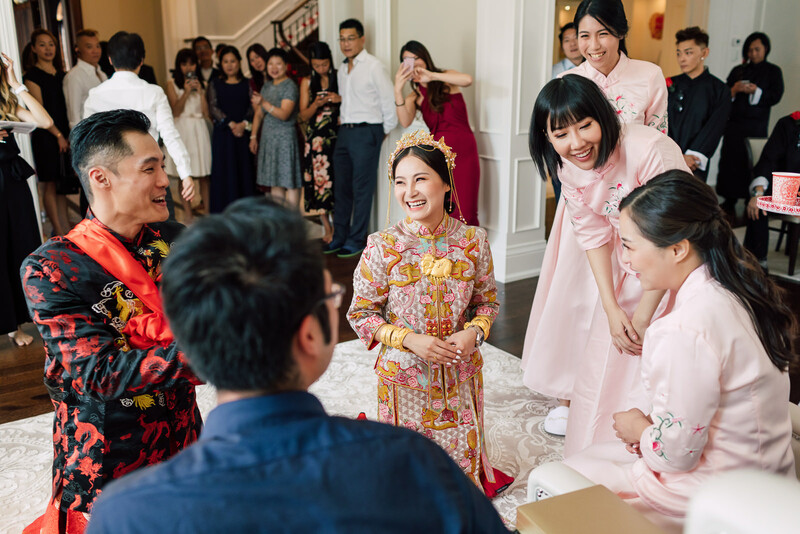 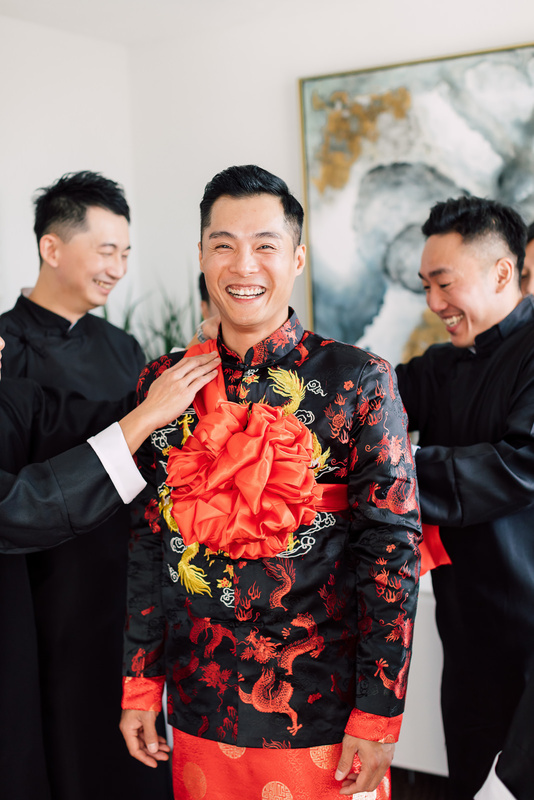 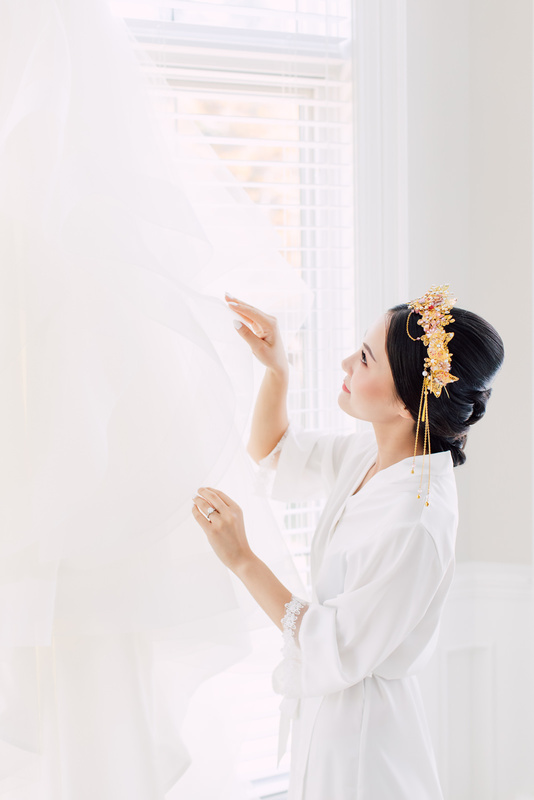 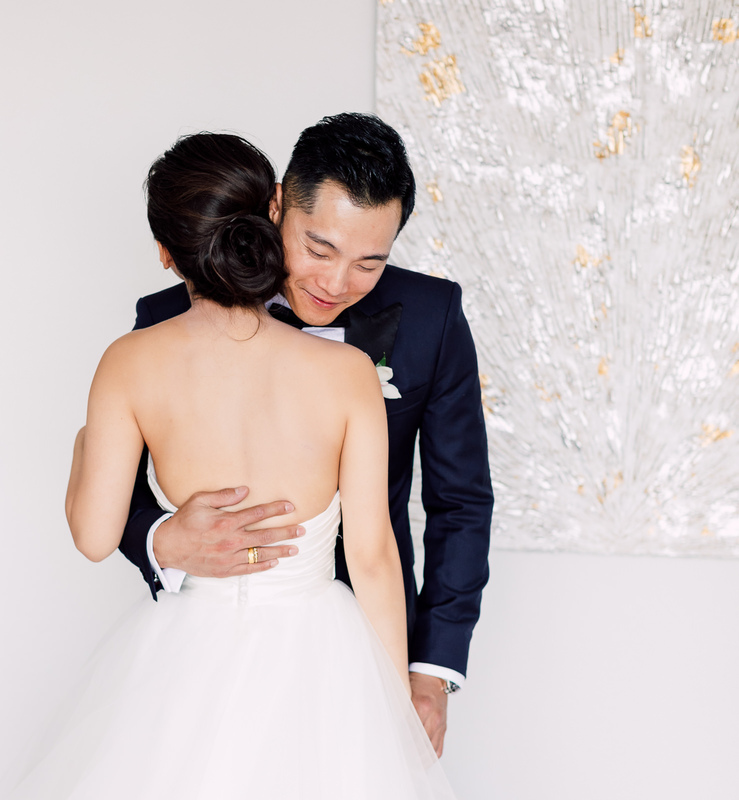 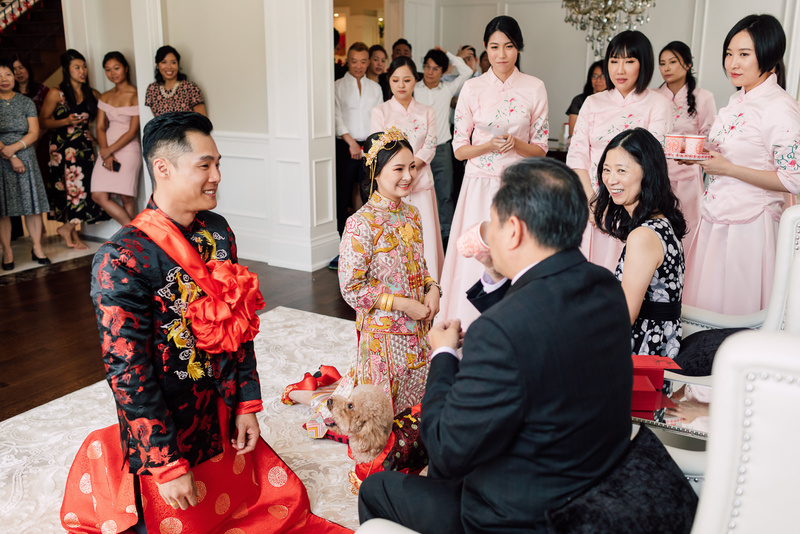 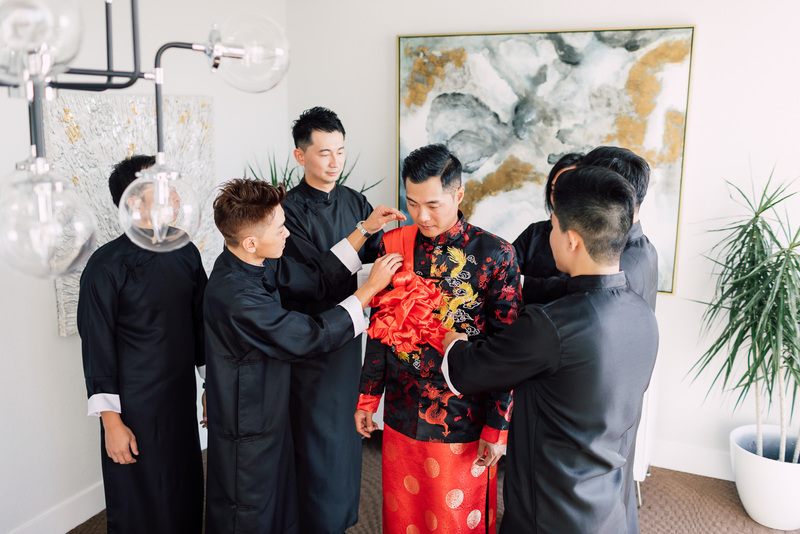 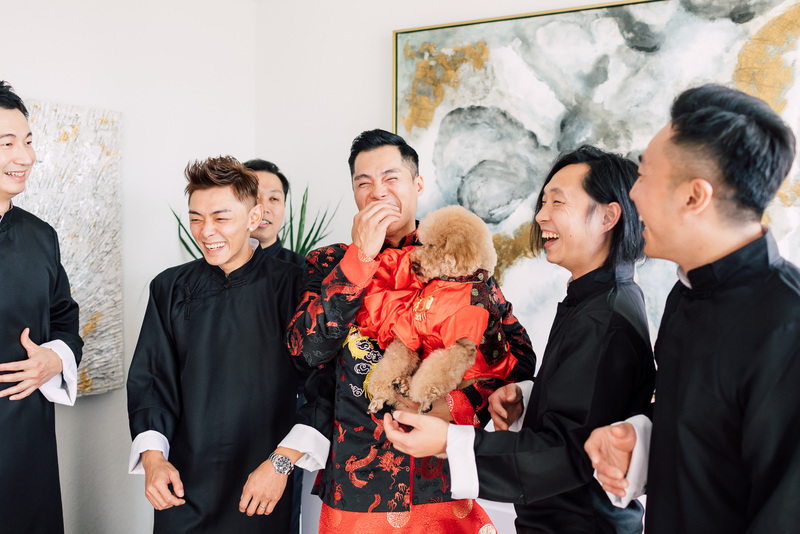 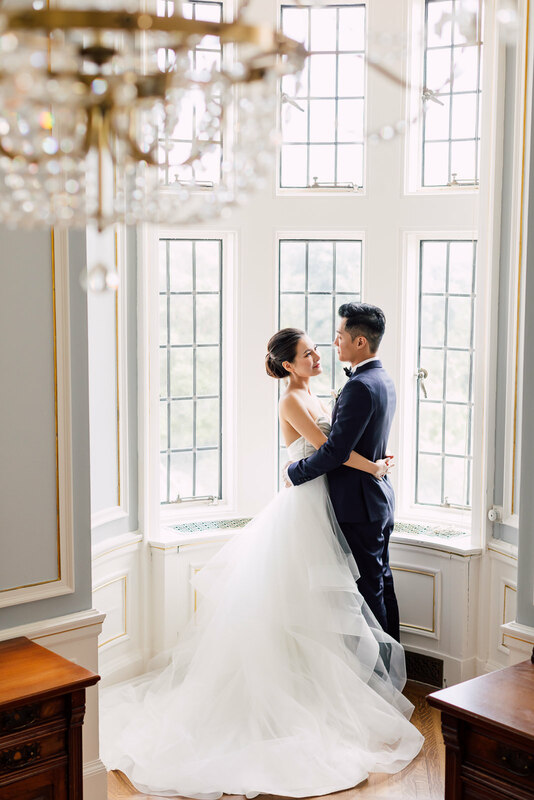 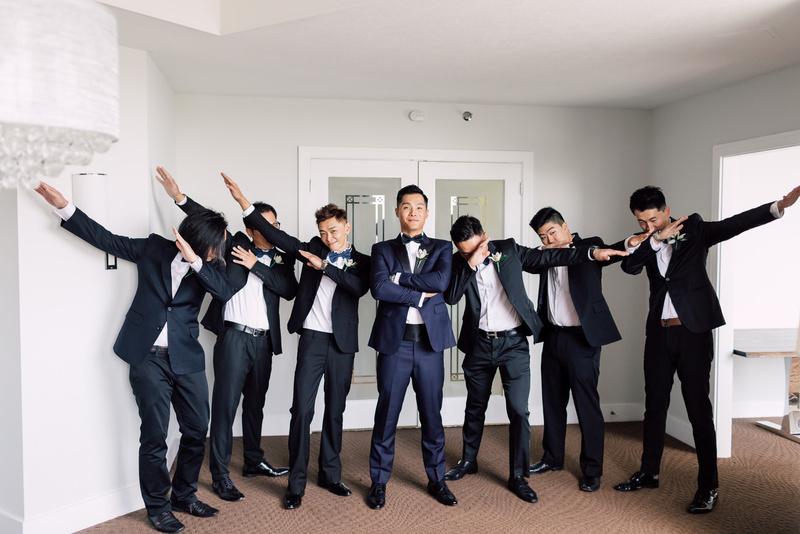 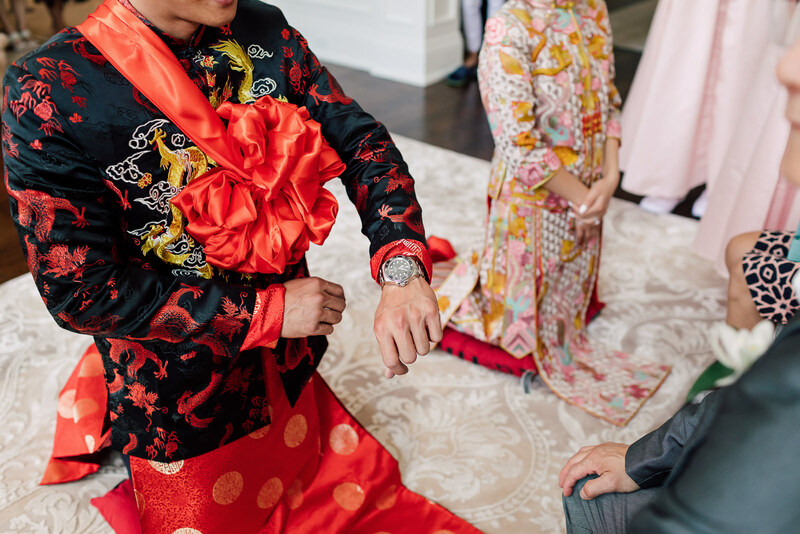 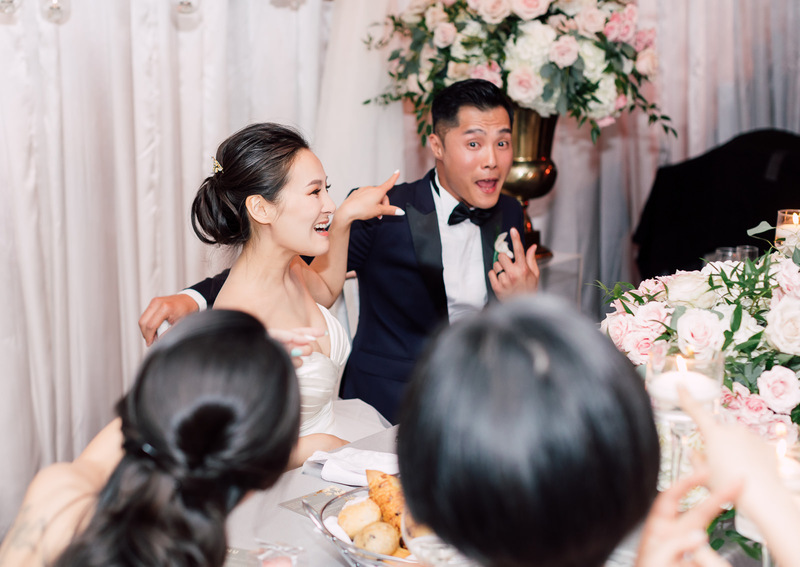 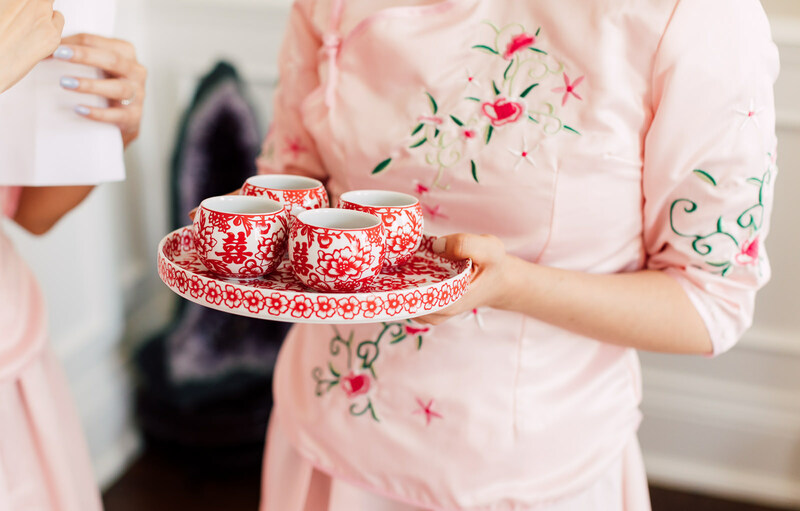 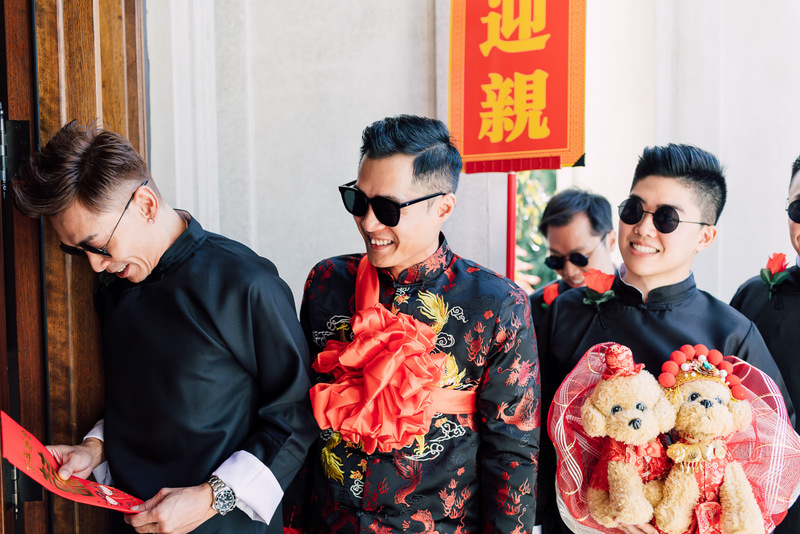 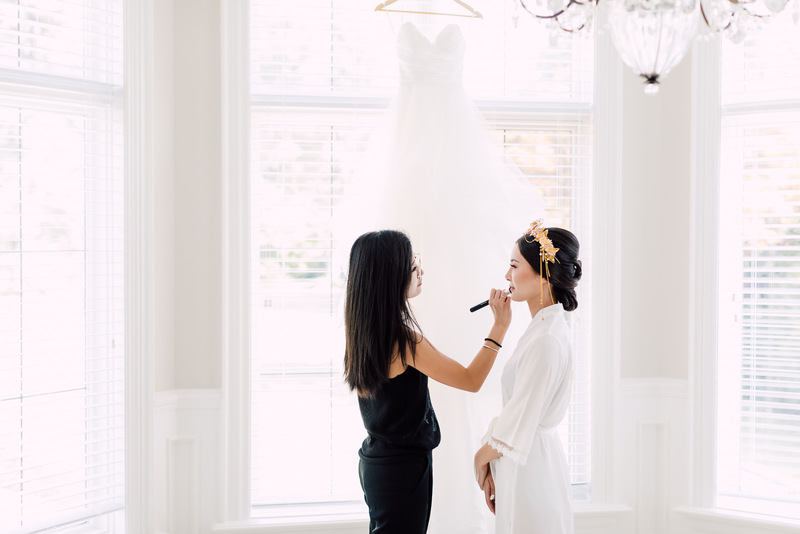 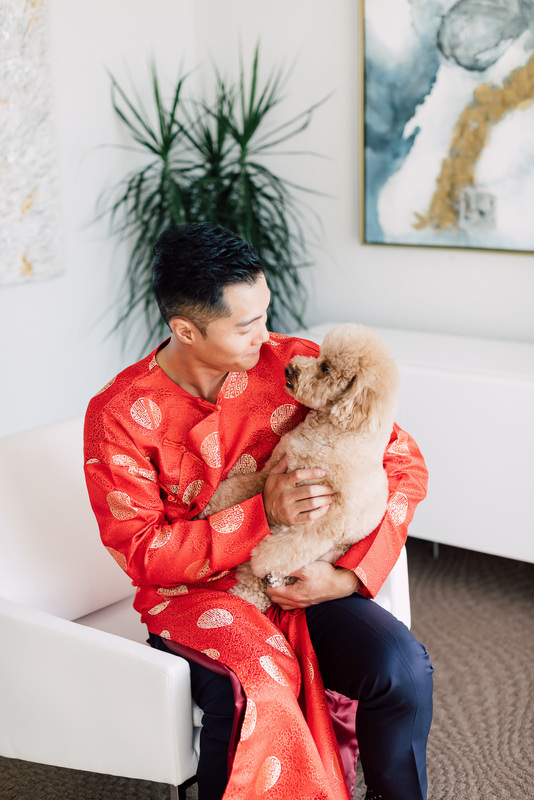 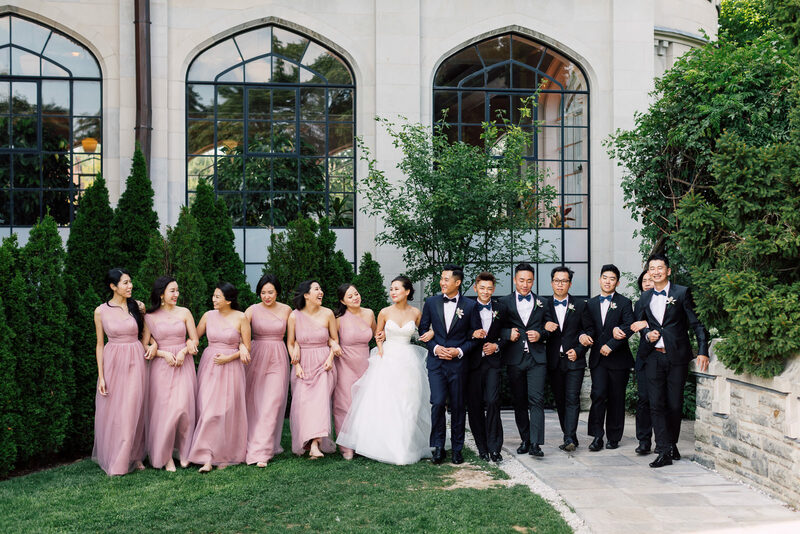 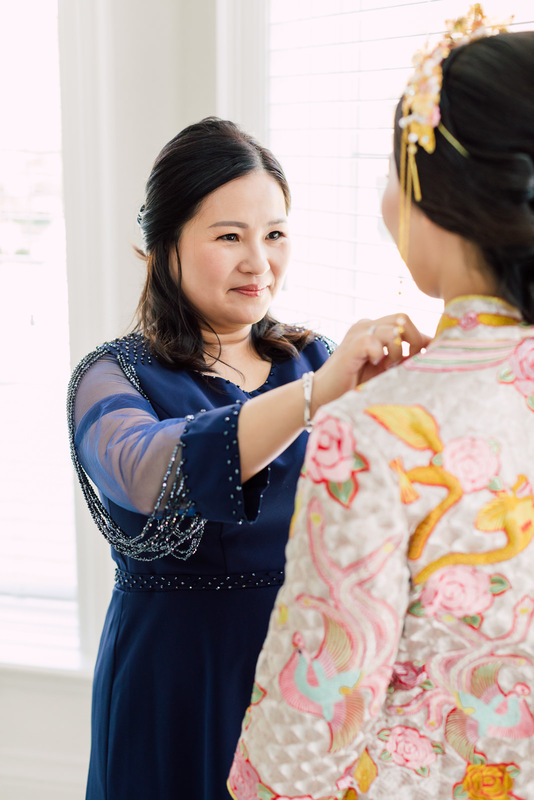 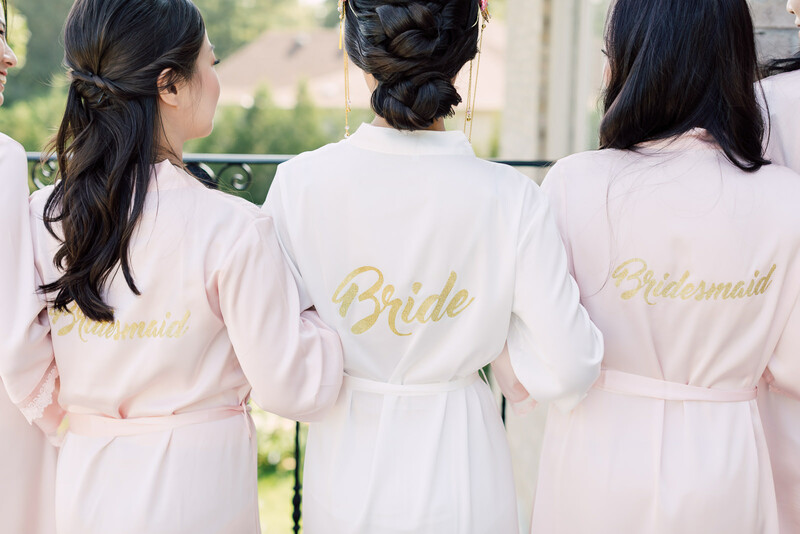 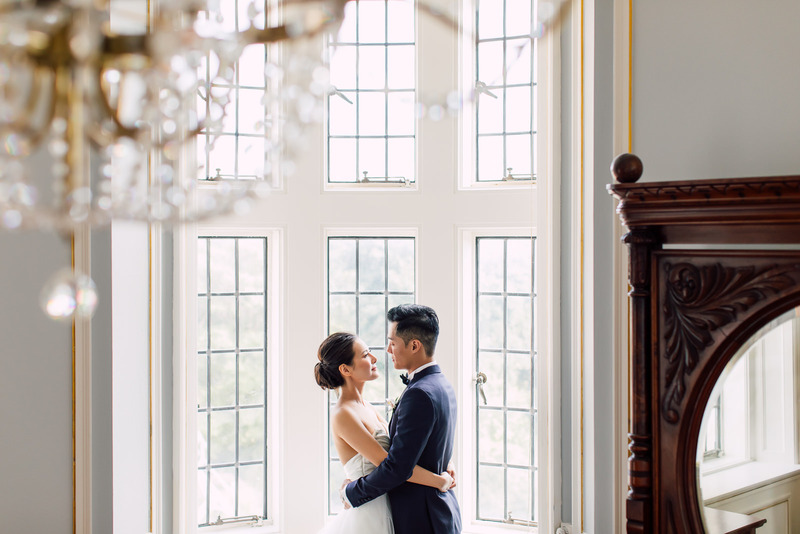 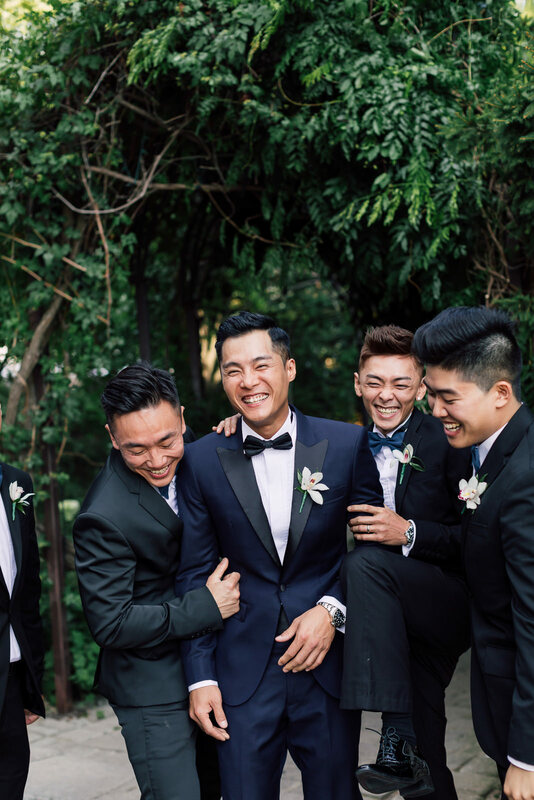 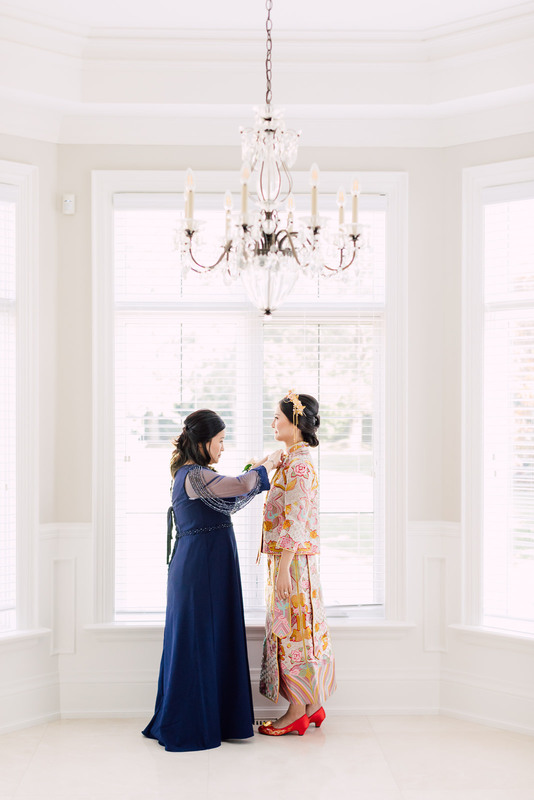 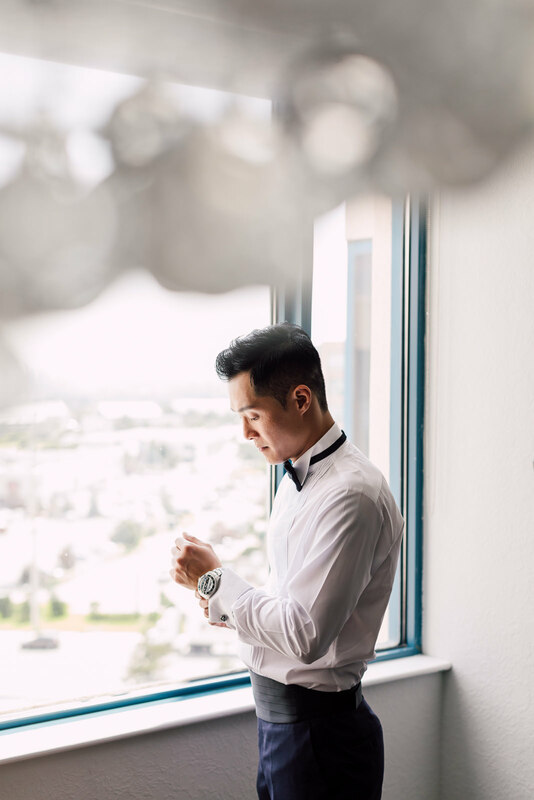 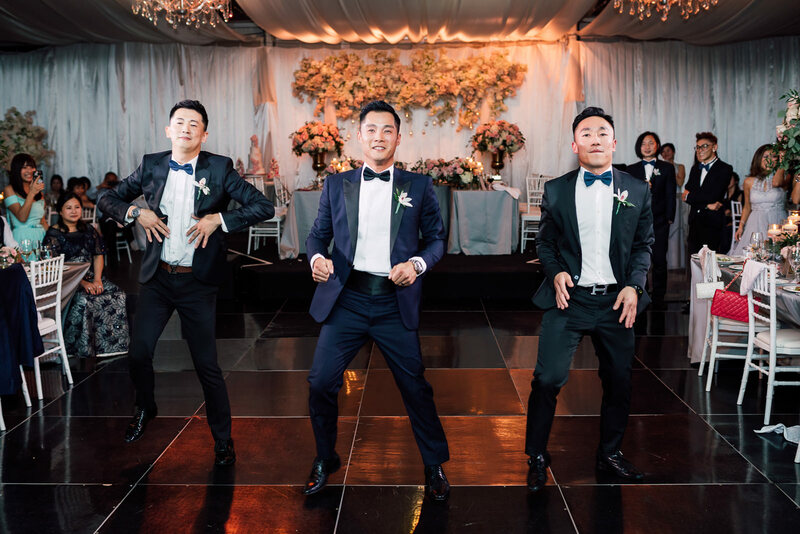 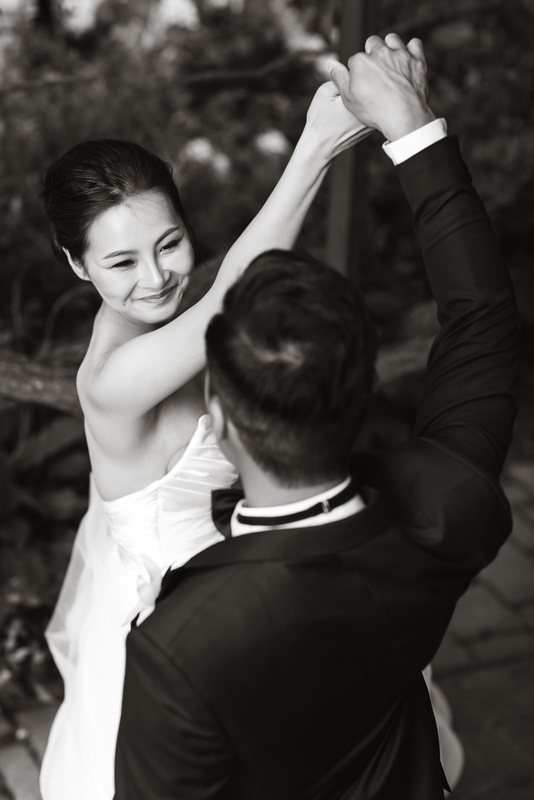 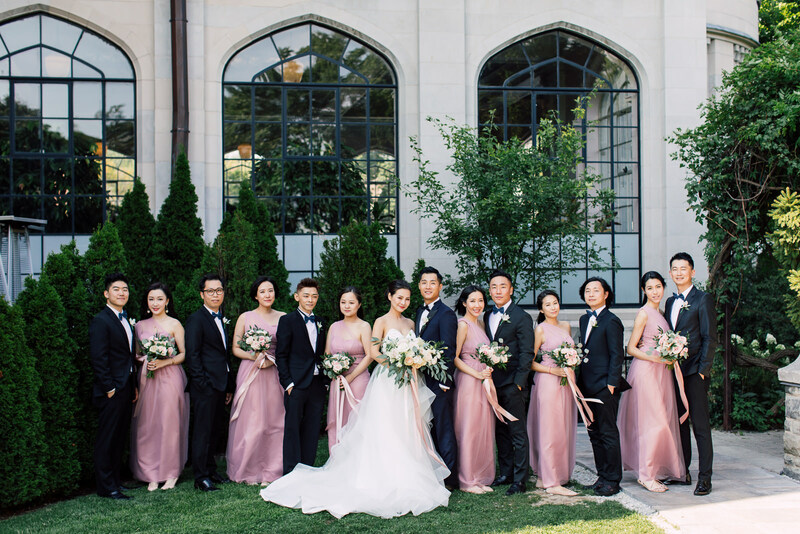 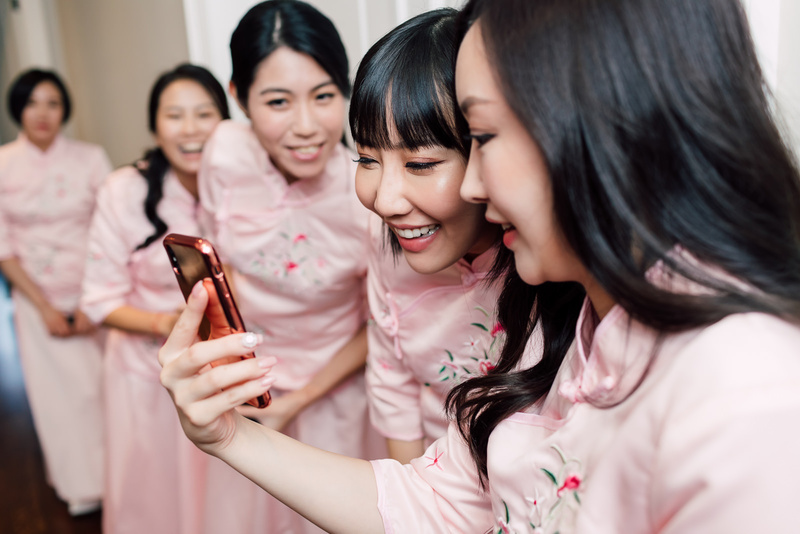 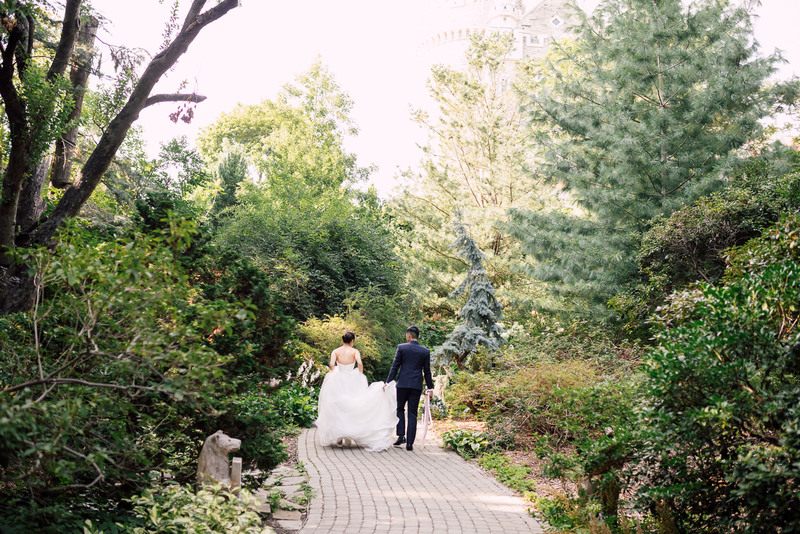 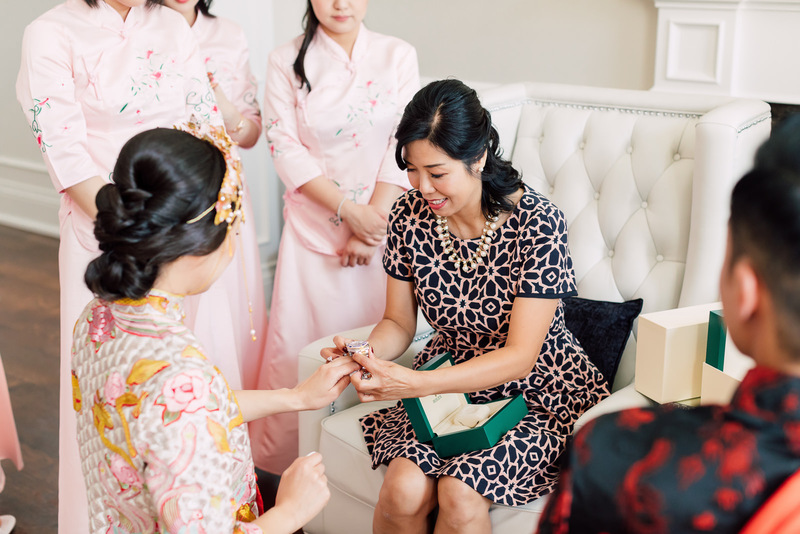 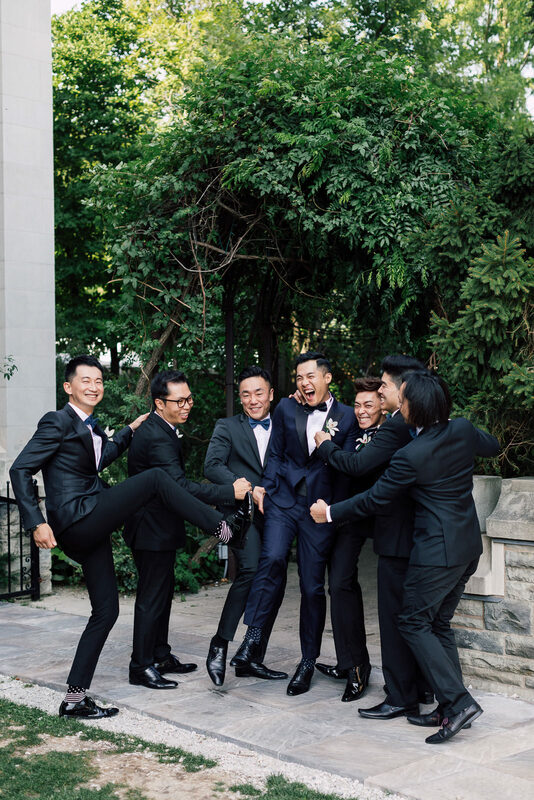 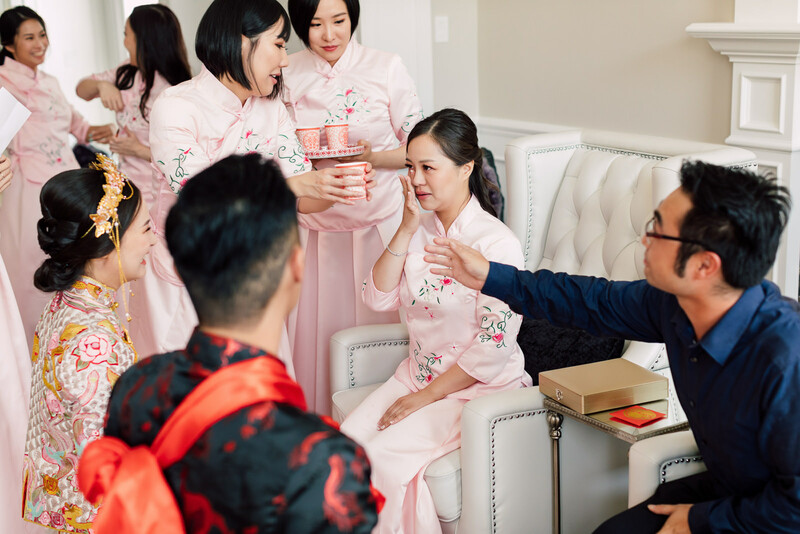 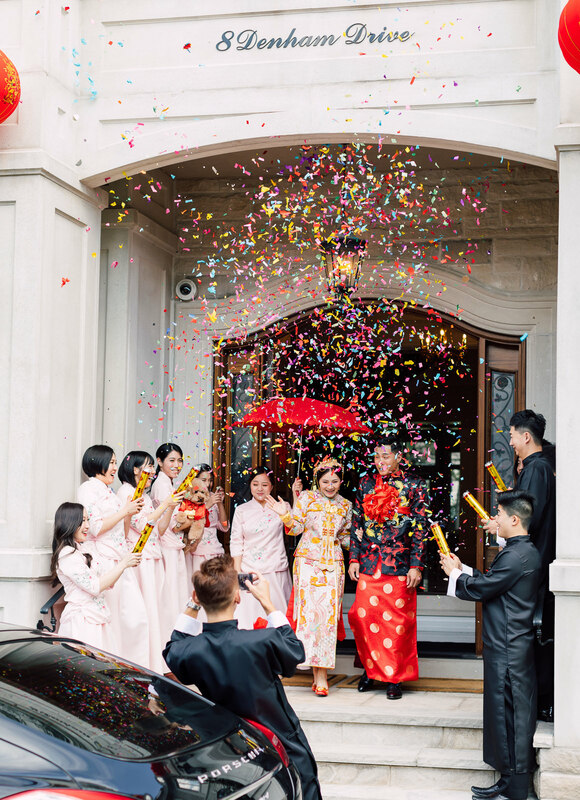 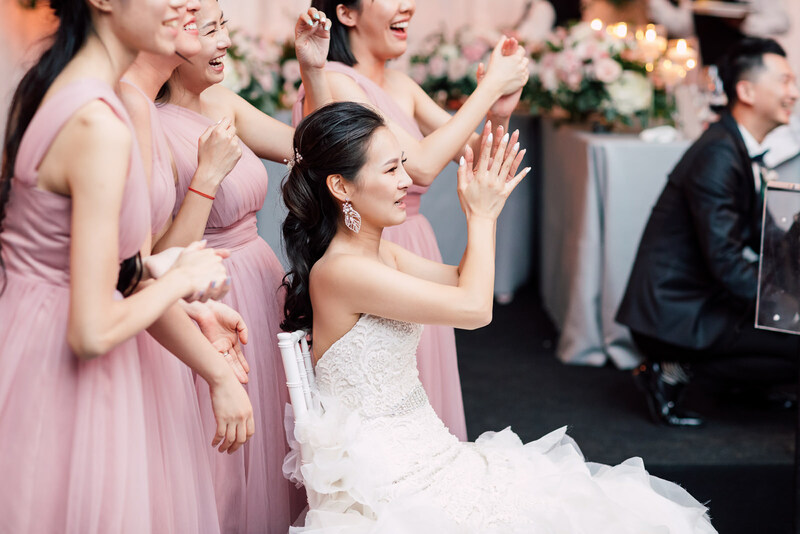 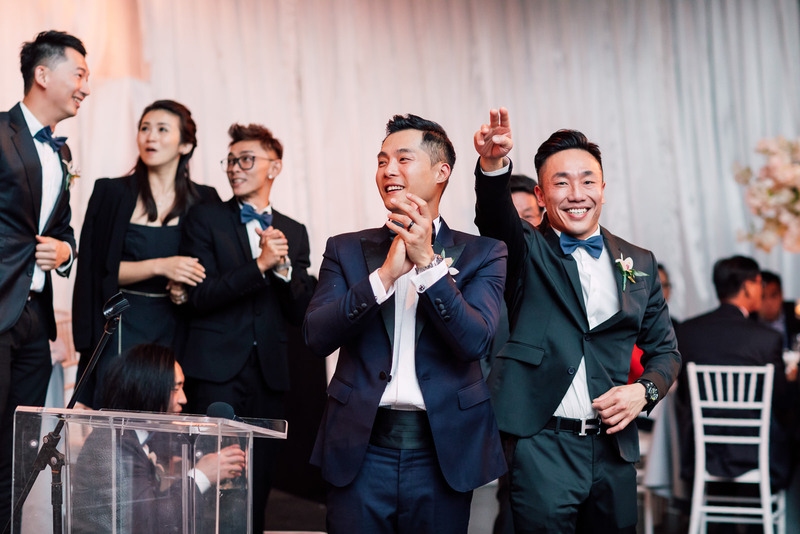 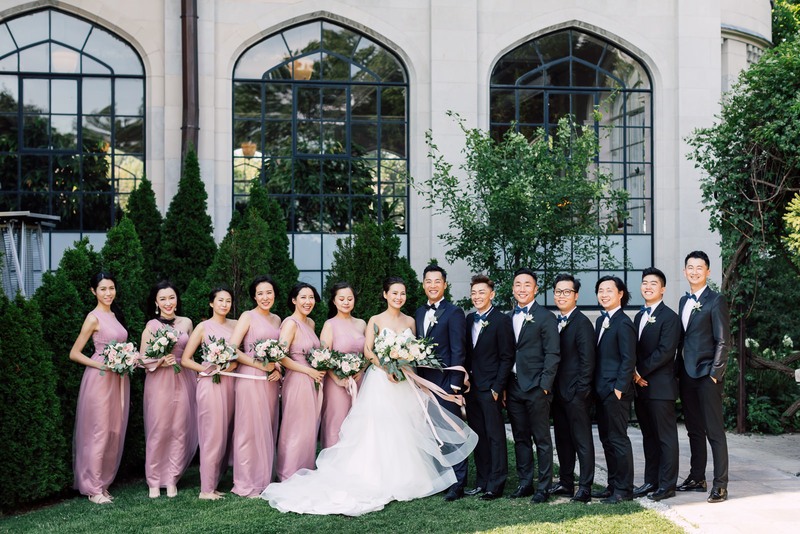 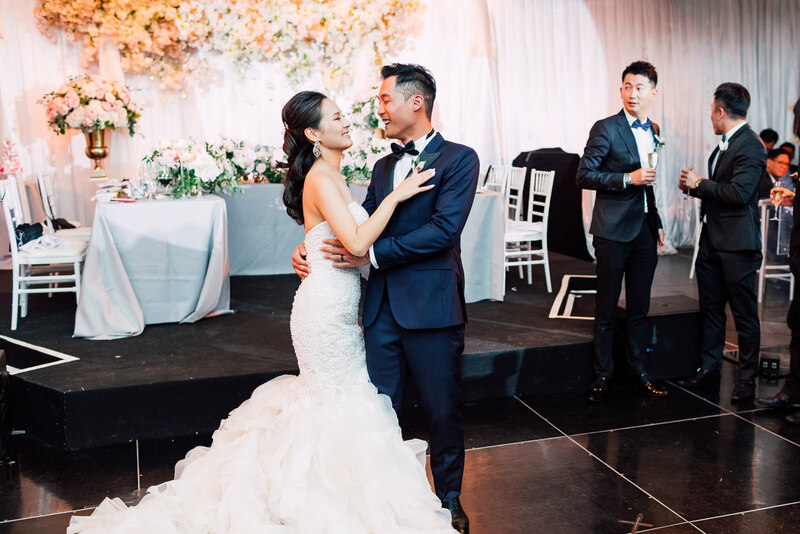 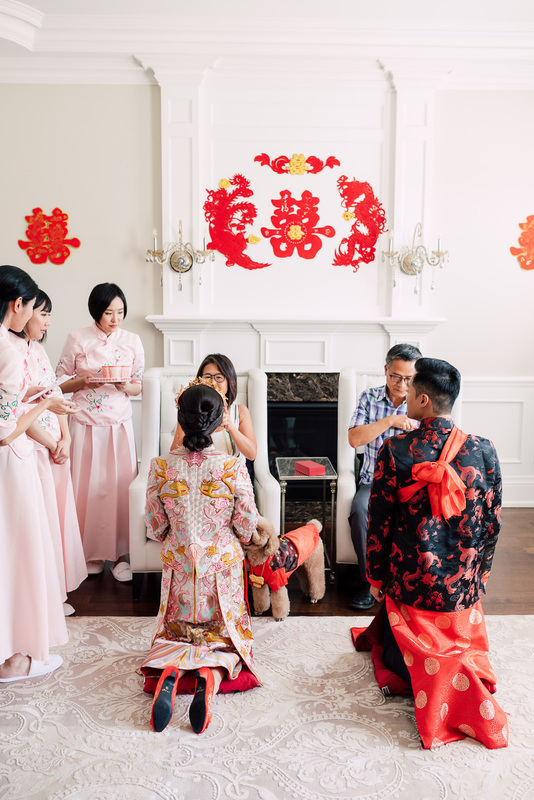 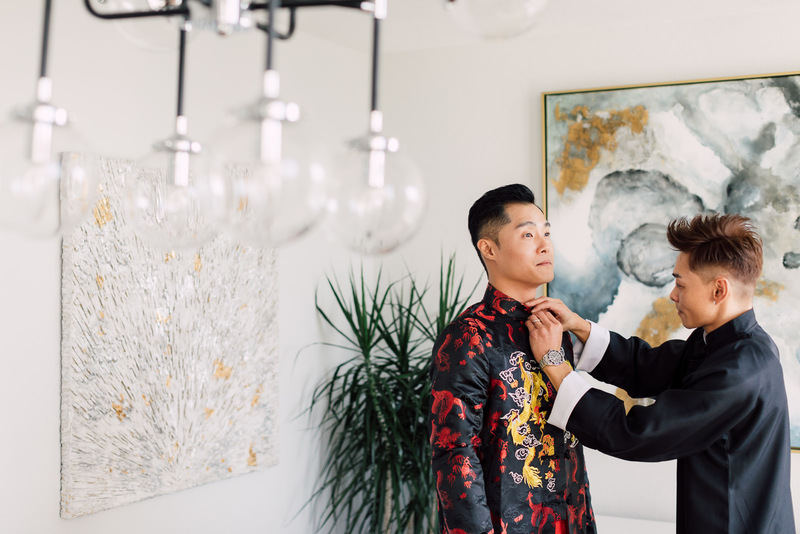 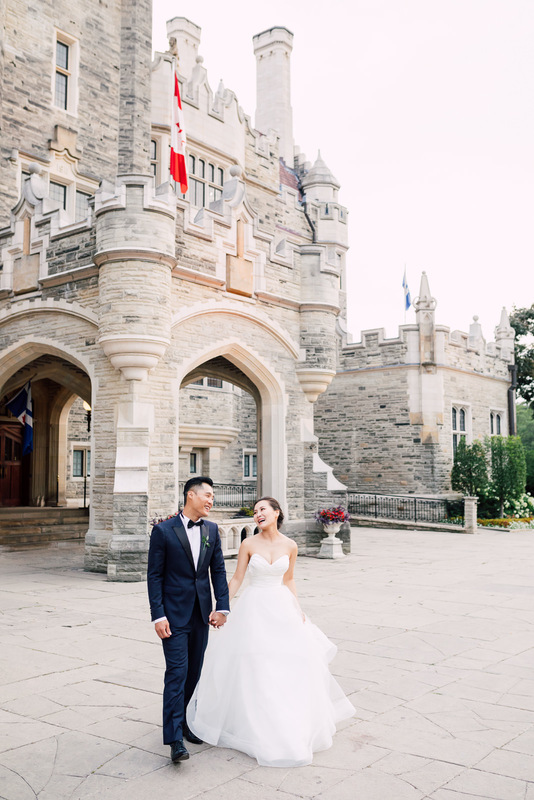 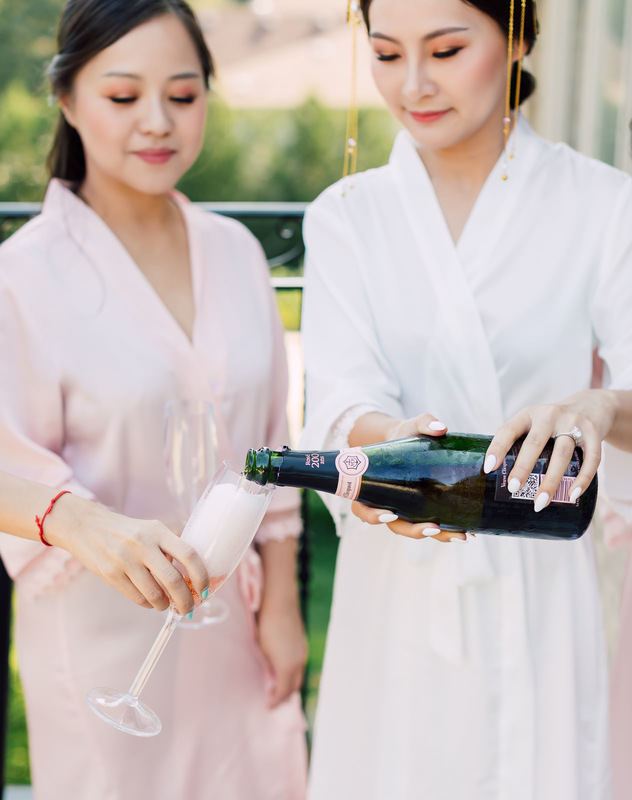 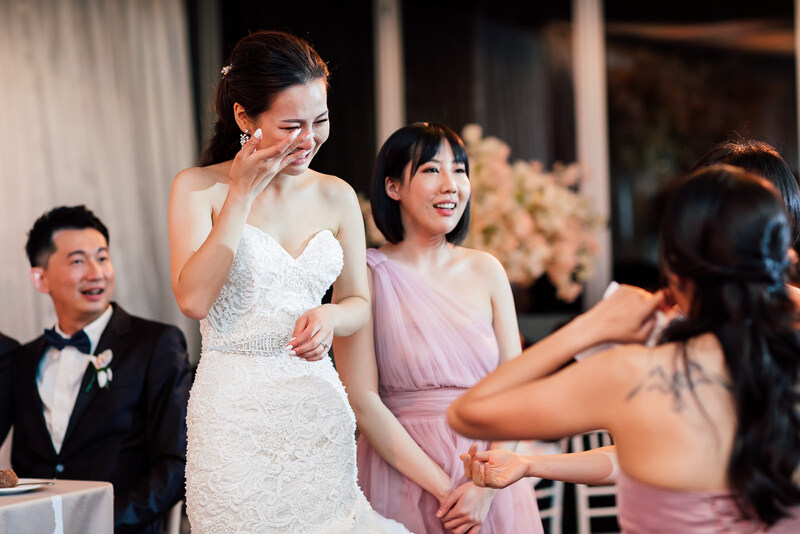 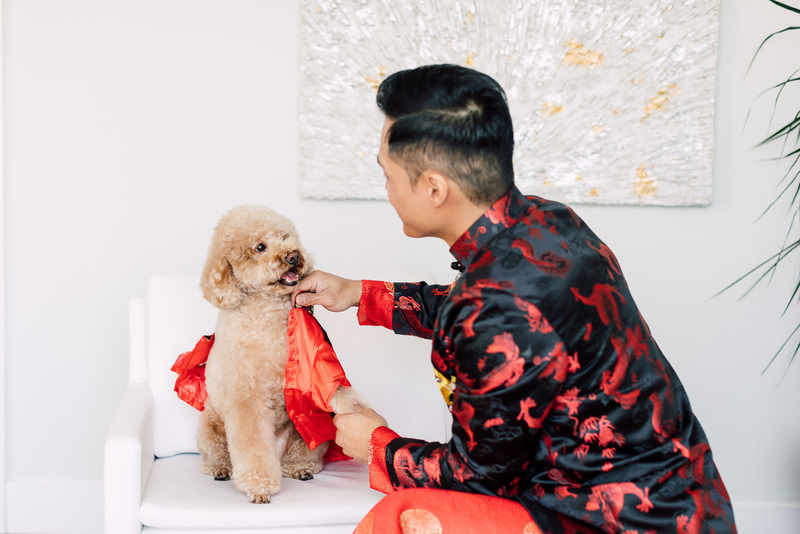 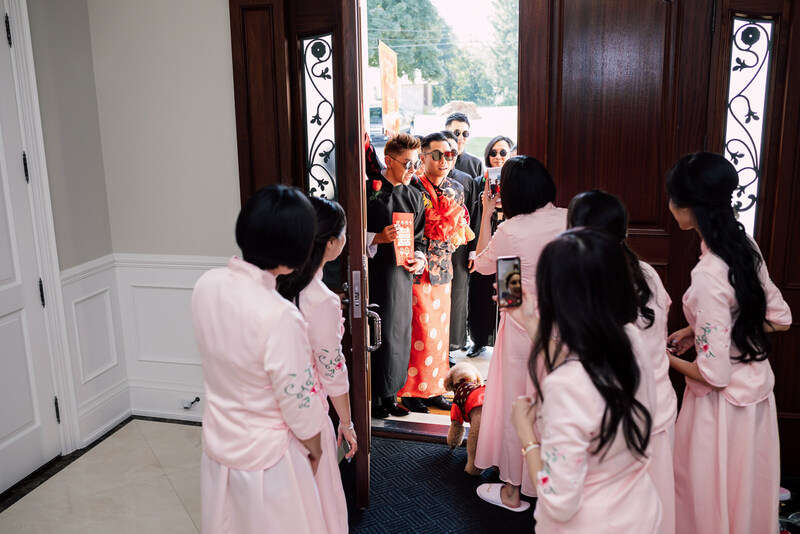 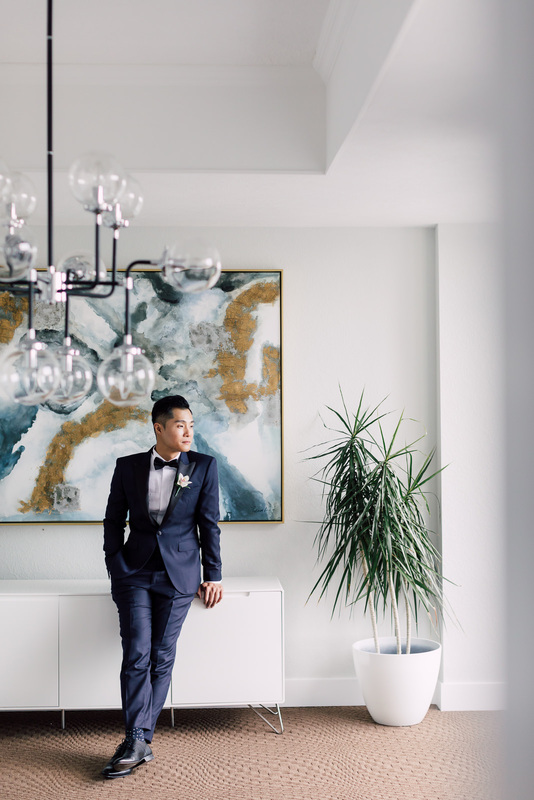 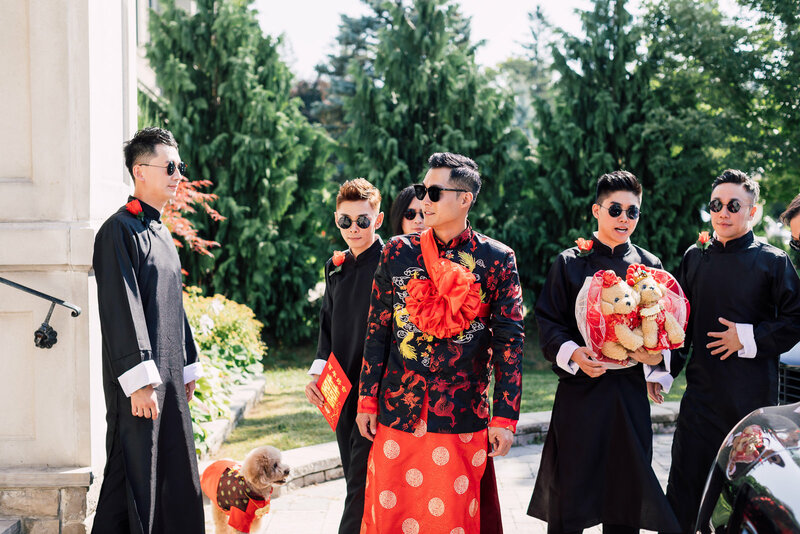 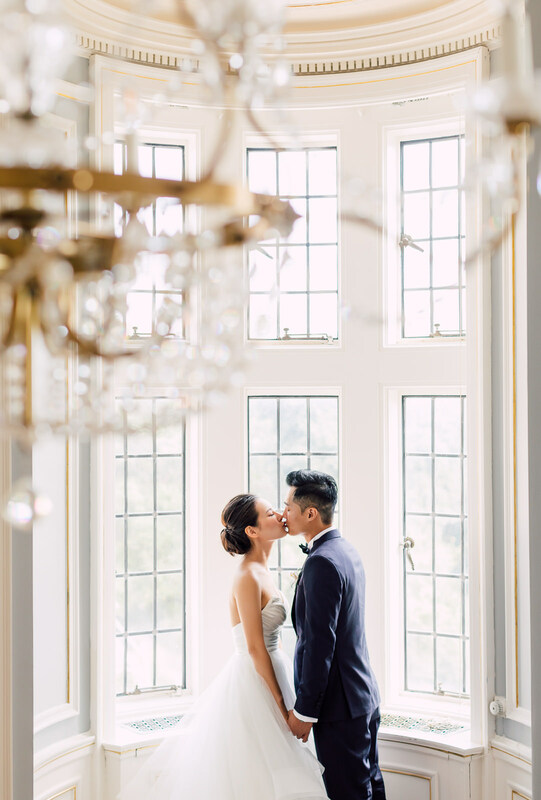 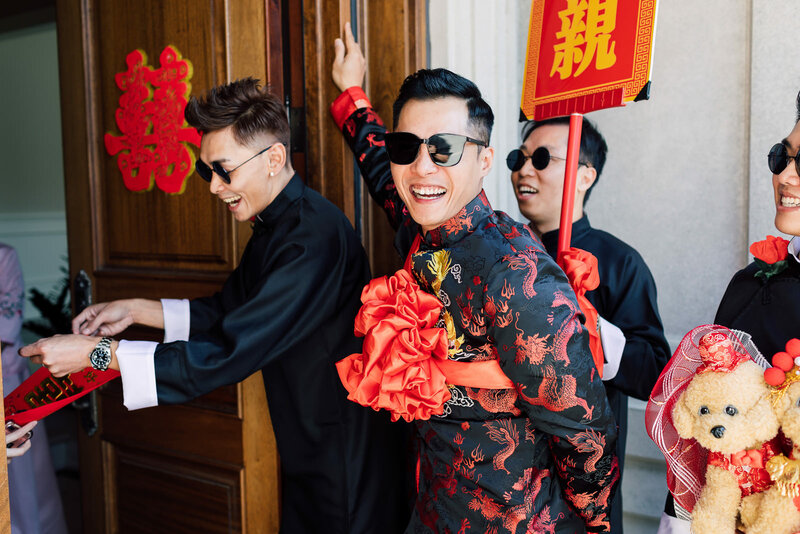 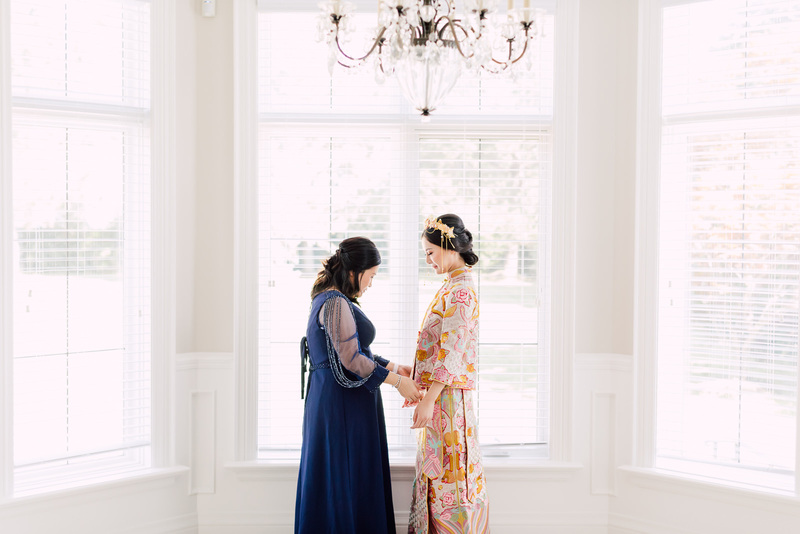 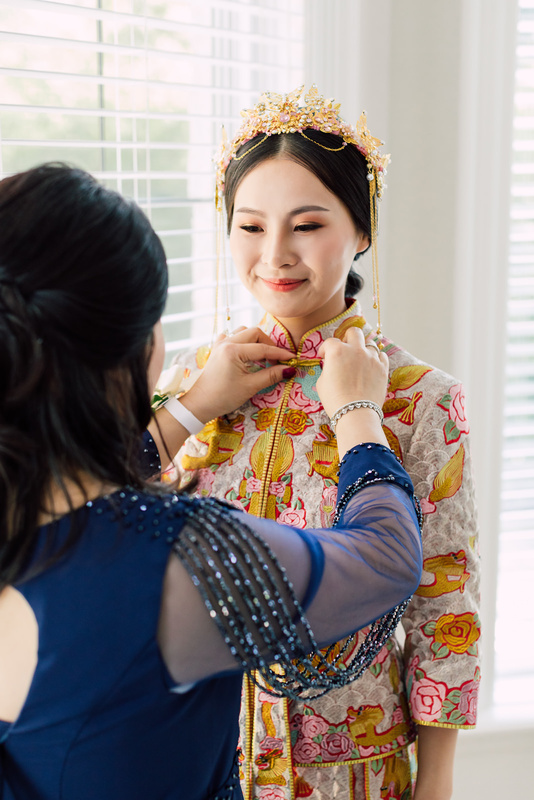 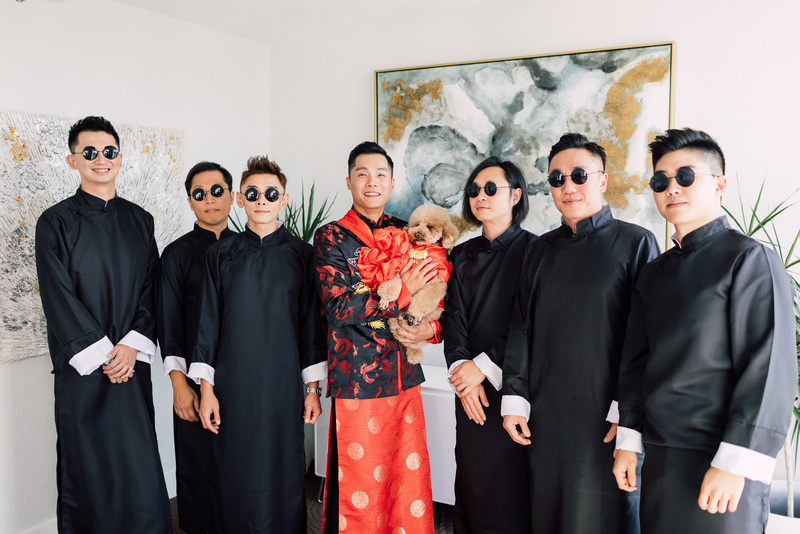 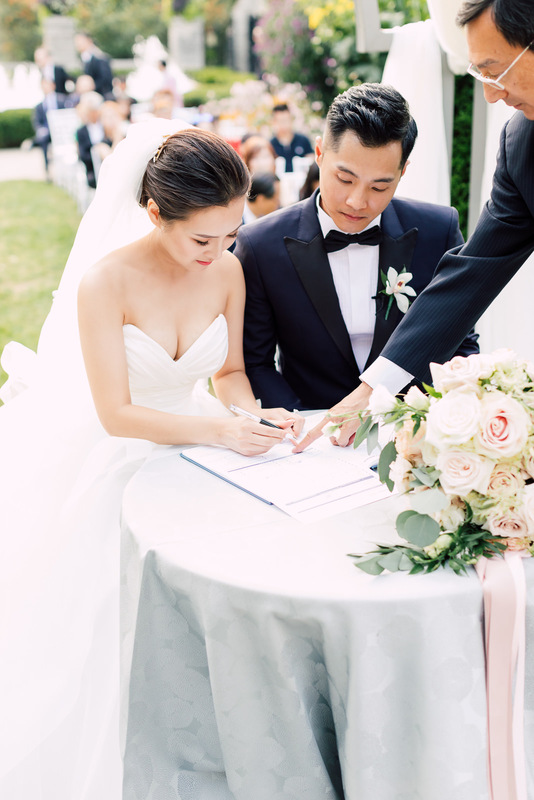 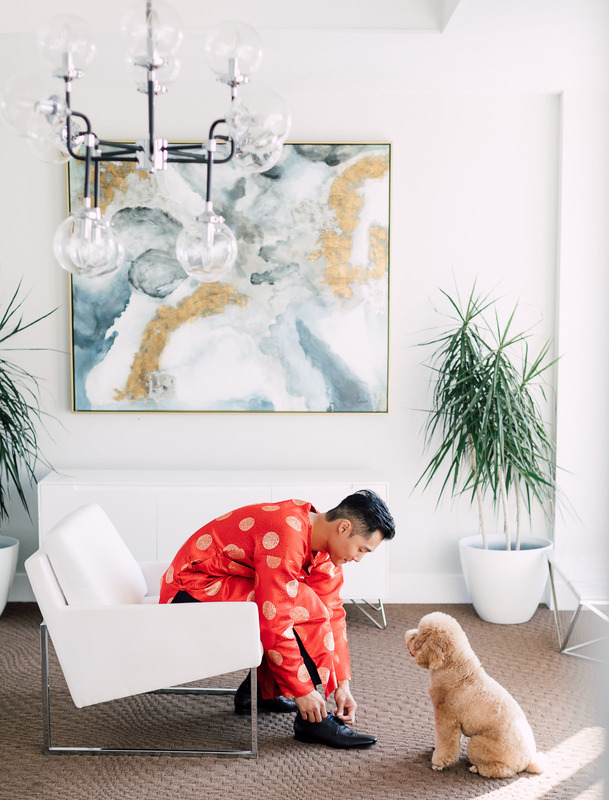 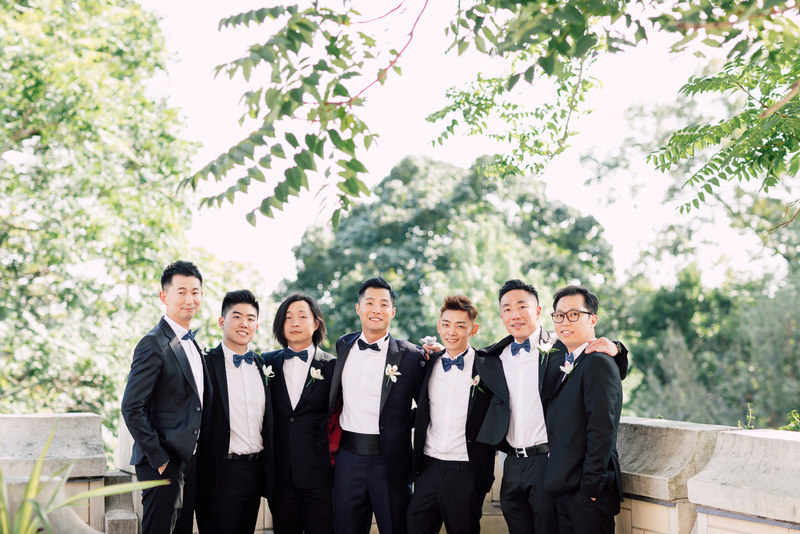 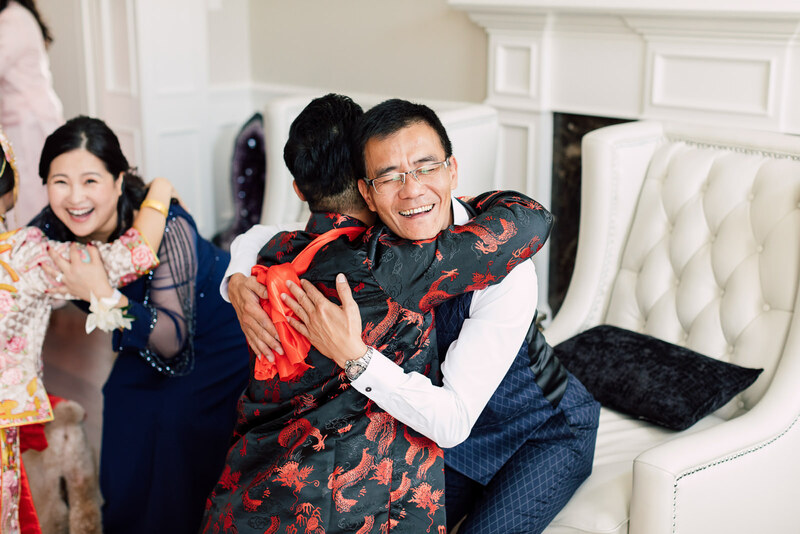 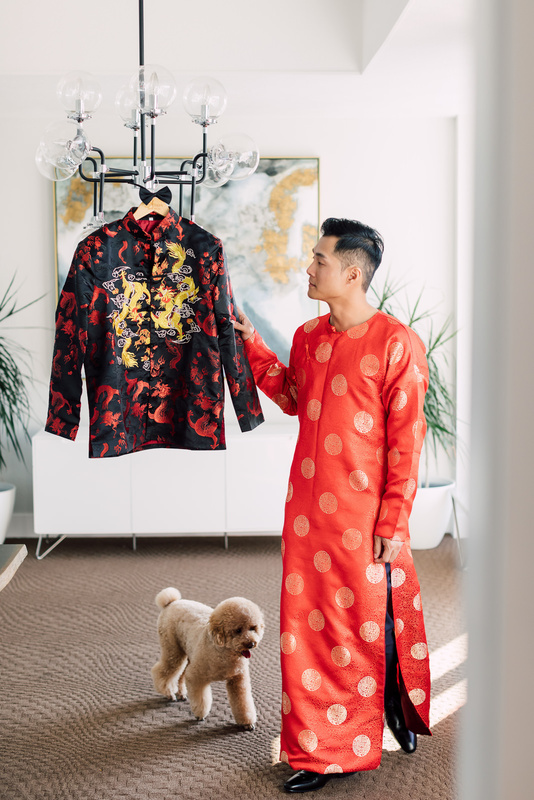 They first paid tribute and acknowledged their ancestry by holding an intimate and private Chinese service before proceeding with Casa Loma’s garden wedding. 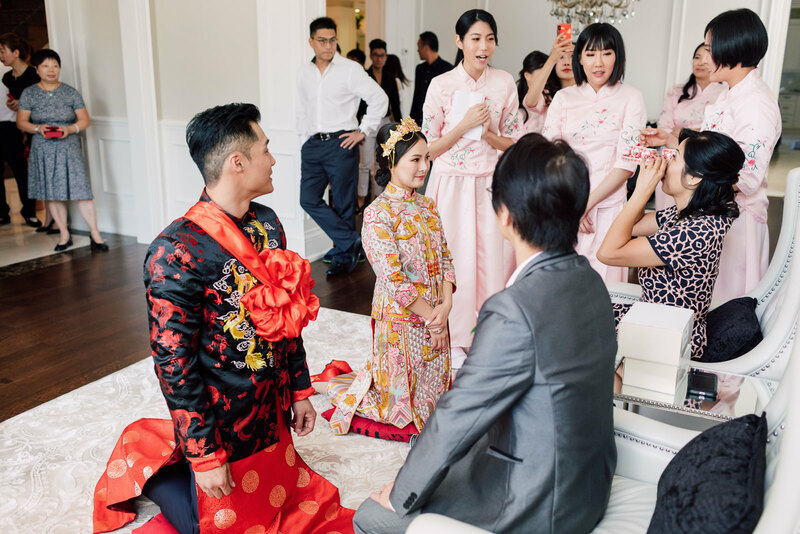 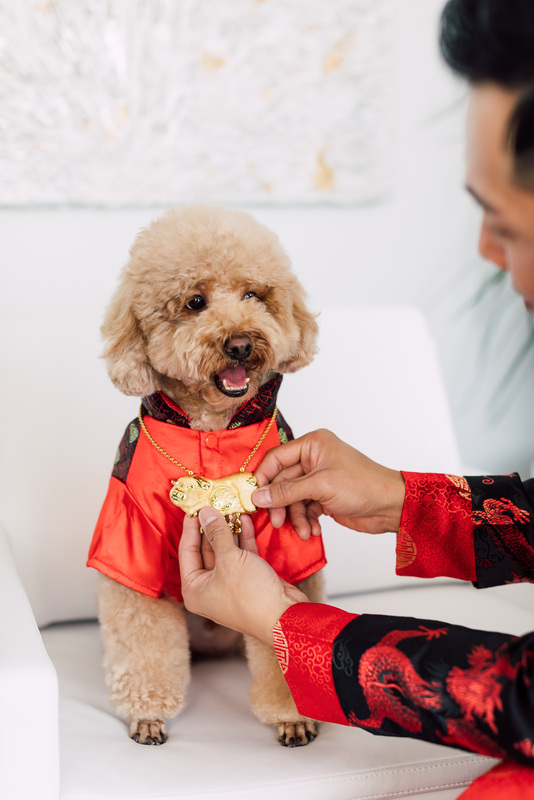 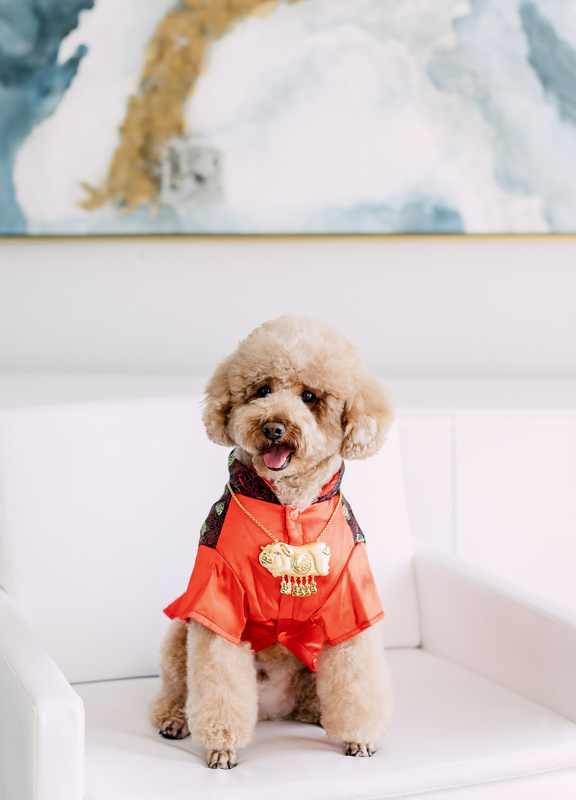 Through this, they received the blessing of their parents and principal sponsors; and also wore classic Chinese outfits, as did their entourage. 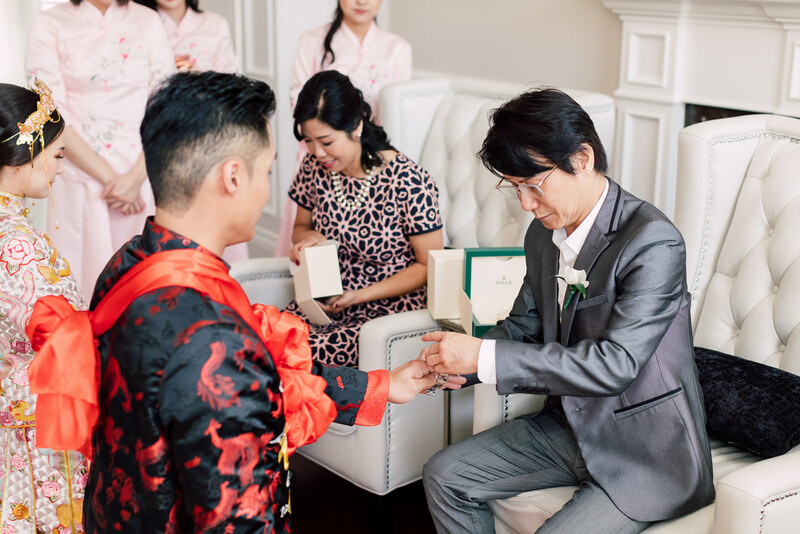 It was a nice way of paying respects and living out wedding traditions, even in this modern age. 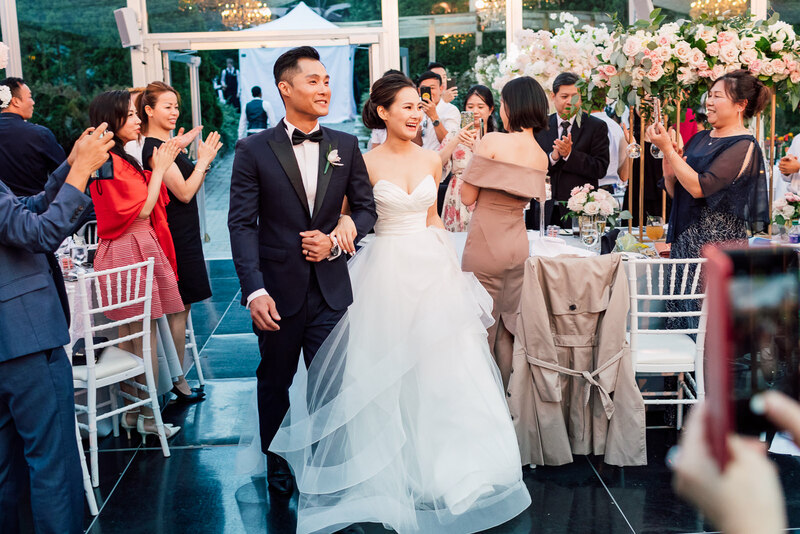 When Fiona and Aaron finally changed into their respective wedding gown and tuxedo, they looked like they came straight out of a modern fairy tale! 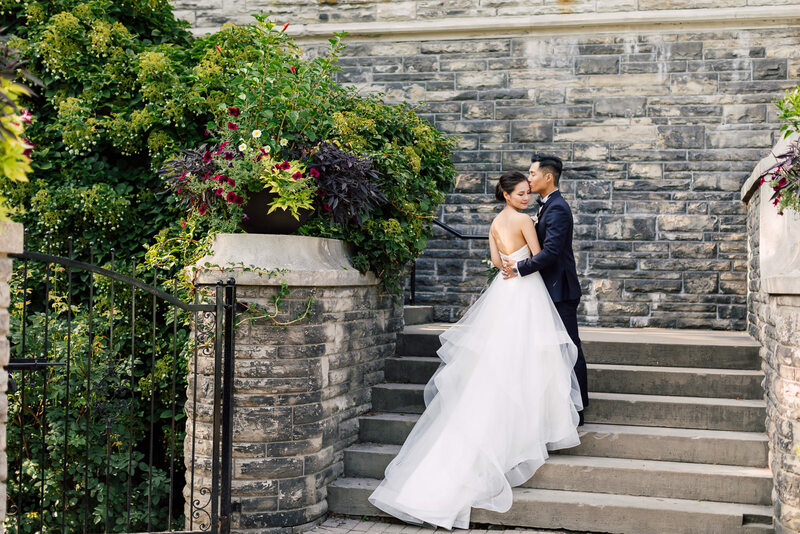 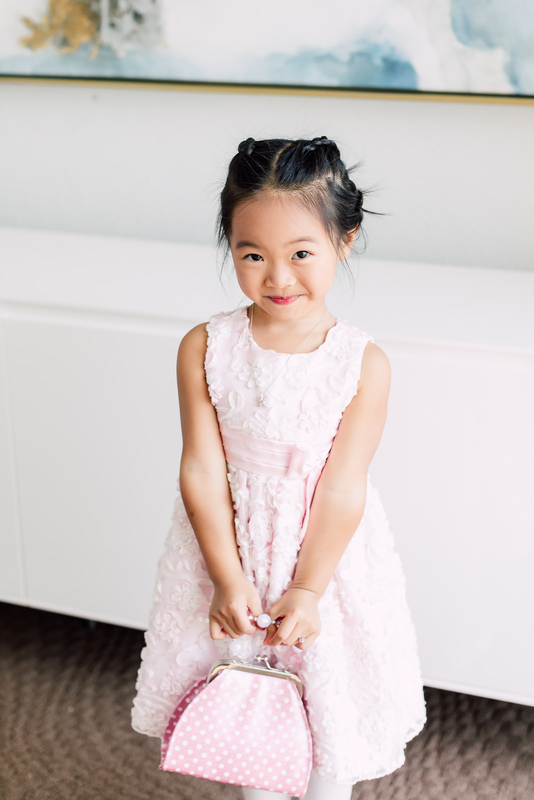 Casa Loma offers a variety of dreamy backdrops for portrait sessions, especially during the summer where the outdoors emphasize the magic of this historical castle. 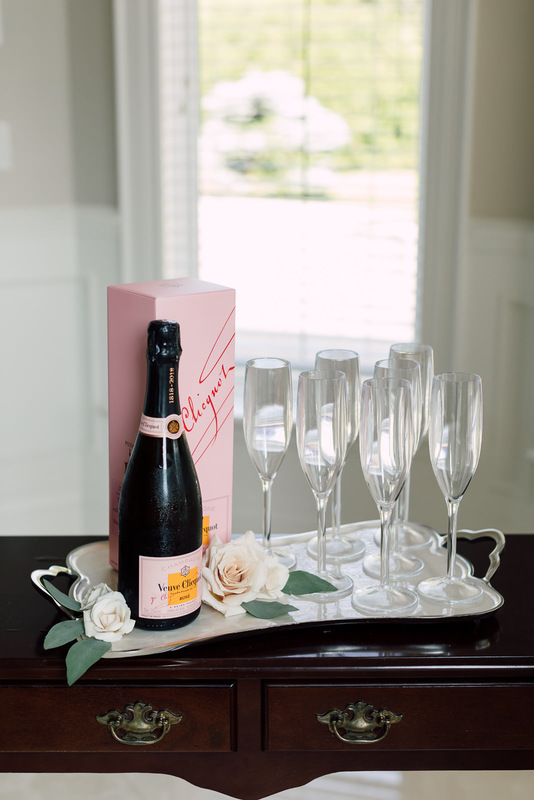 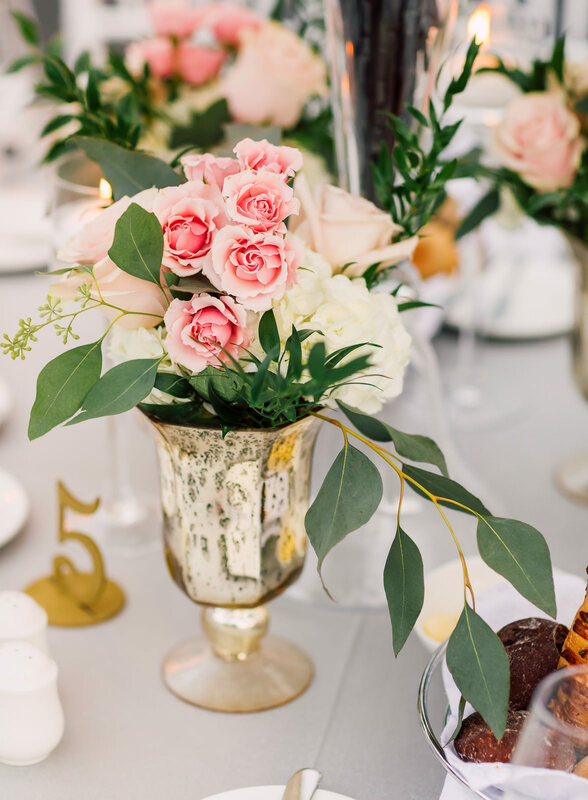 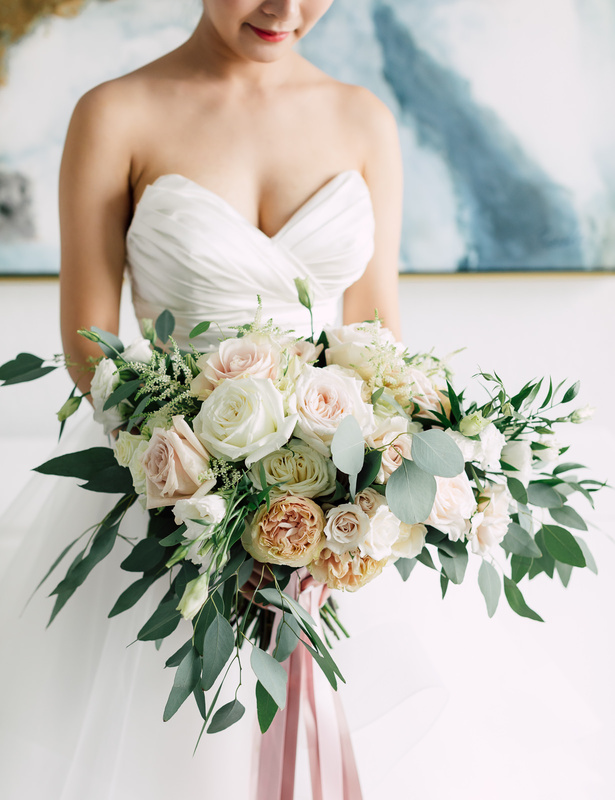 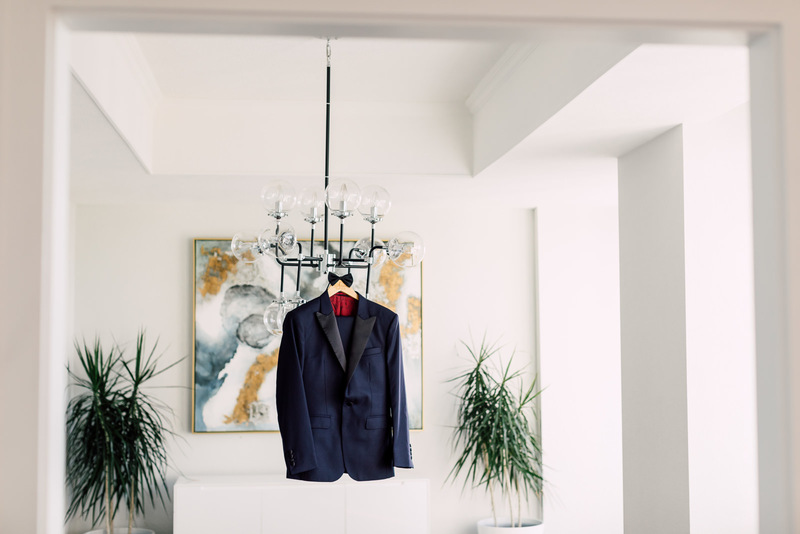 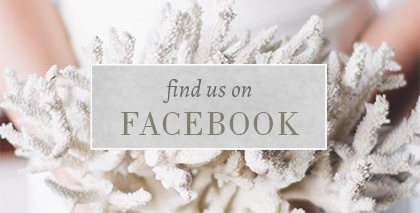 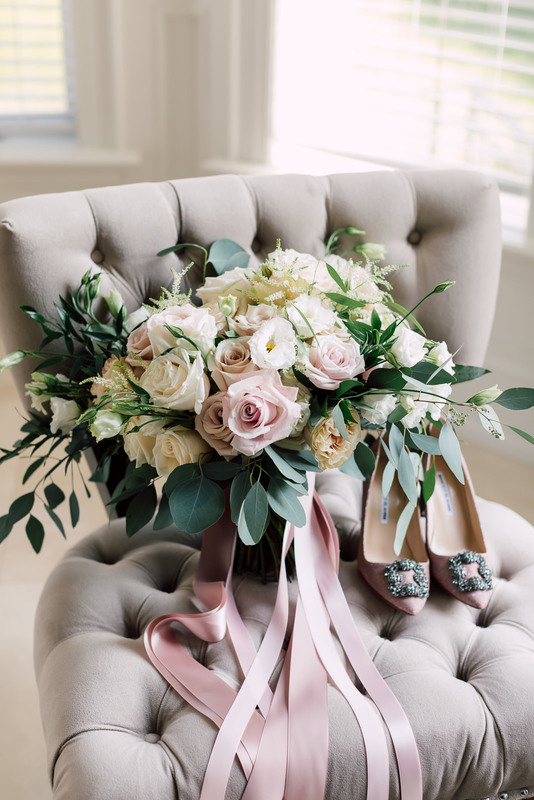 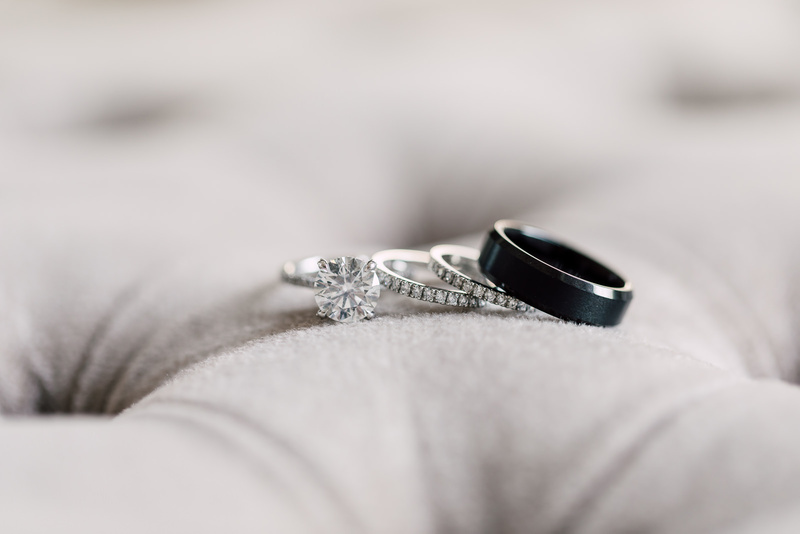 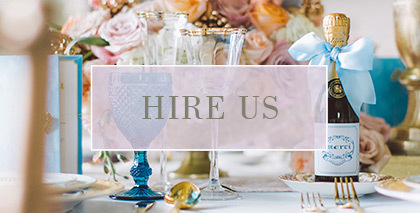 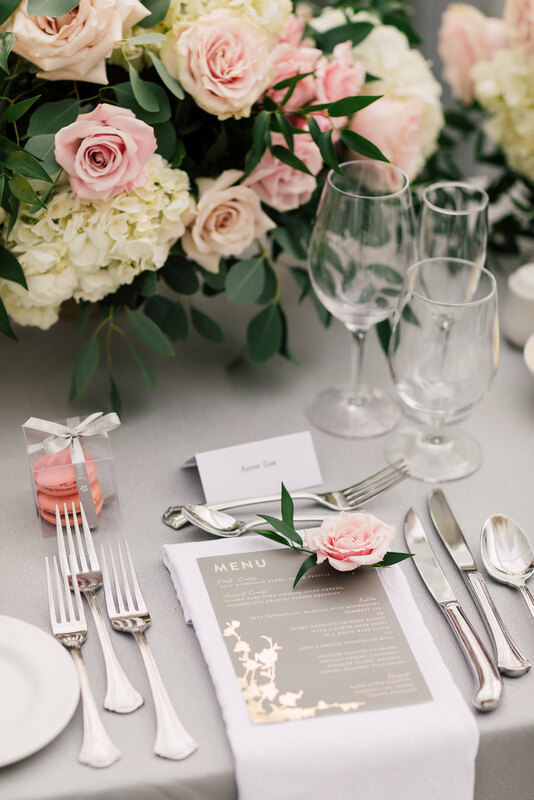 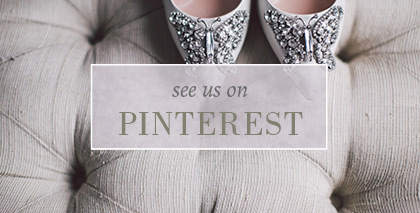 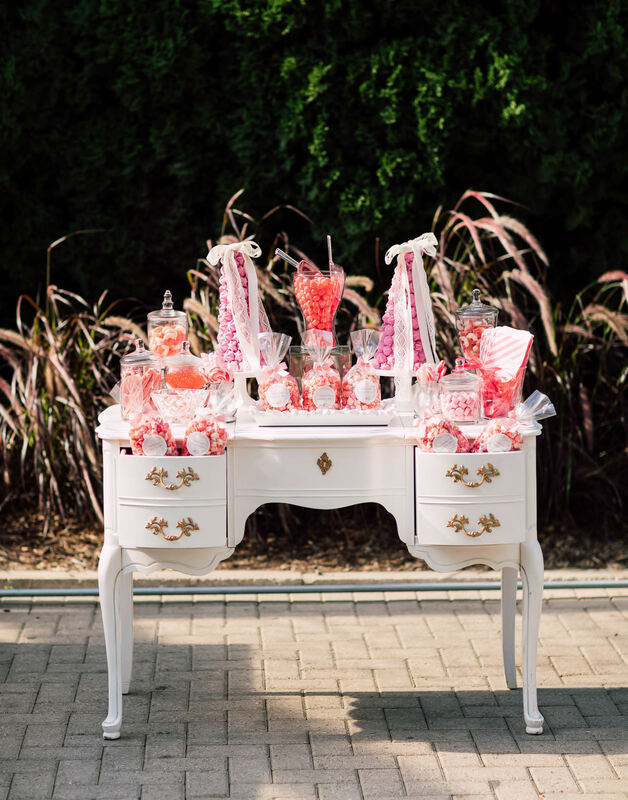 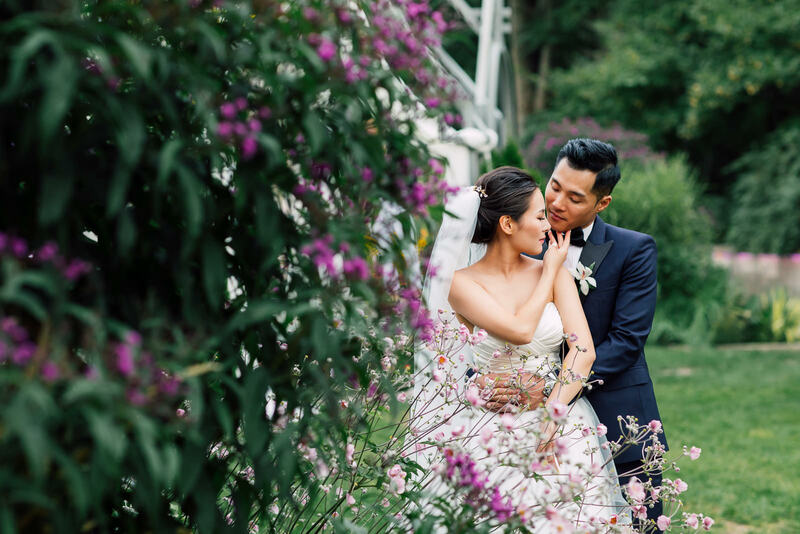 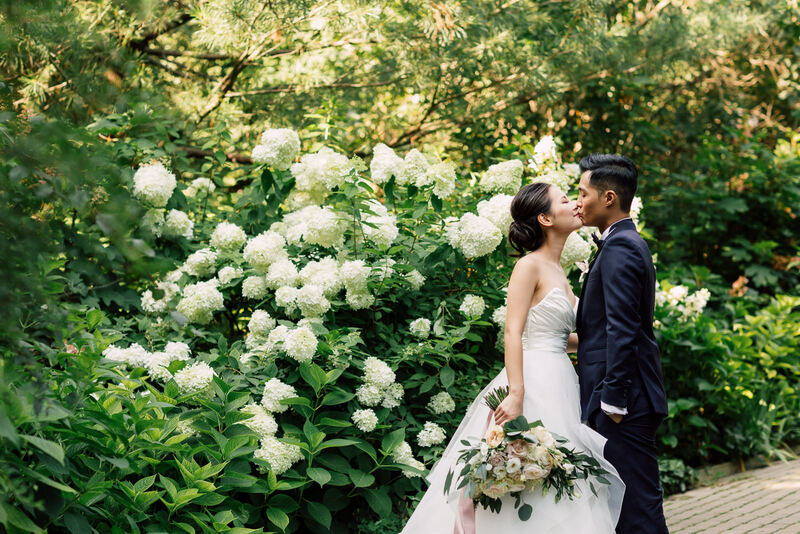 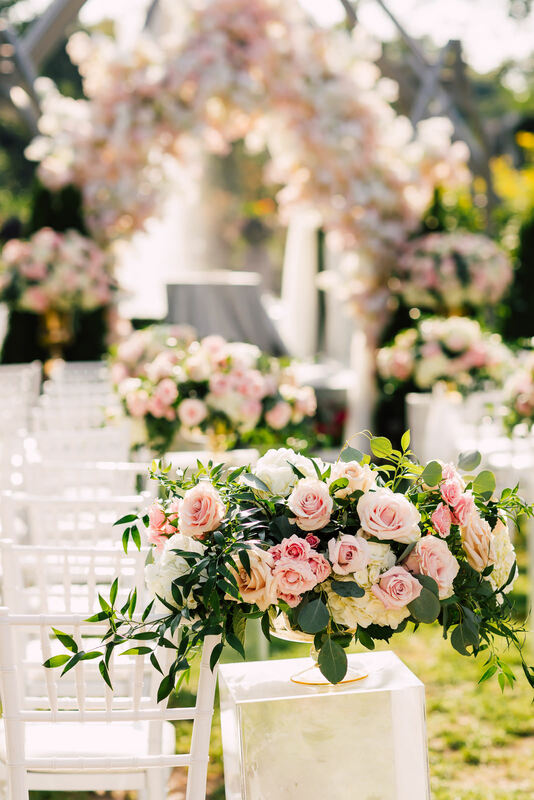 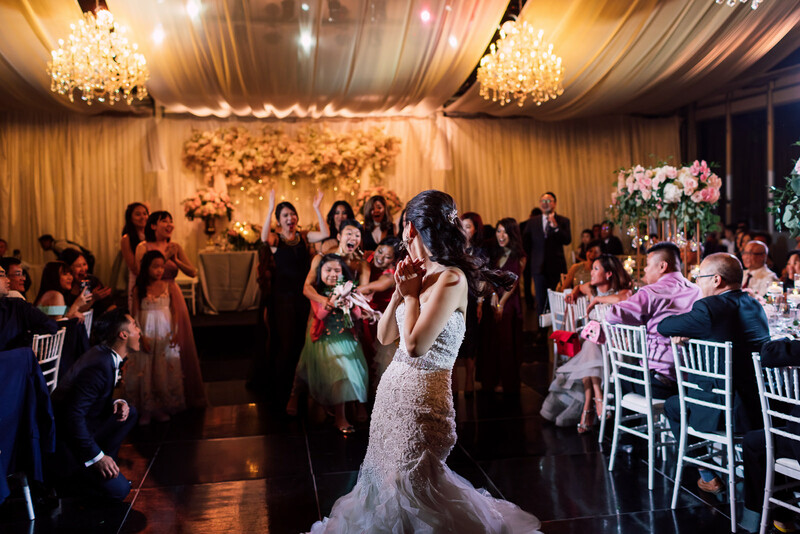 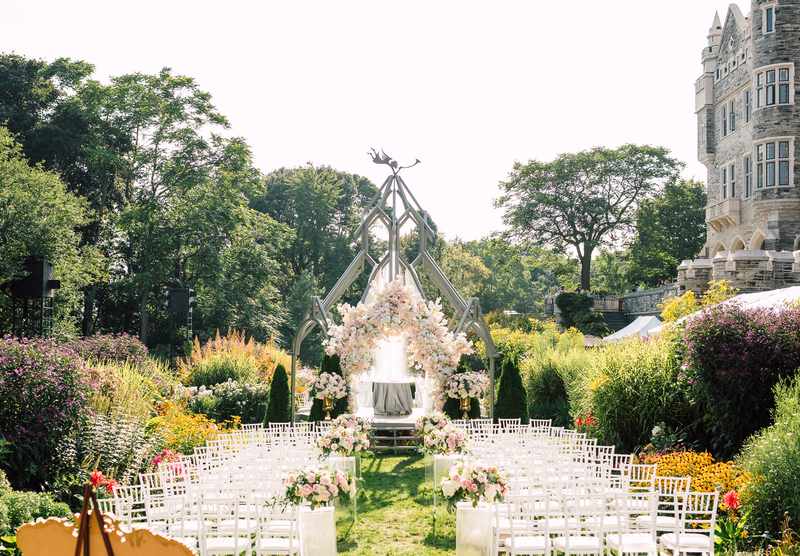 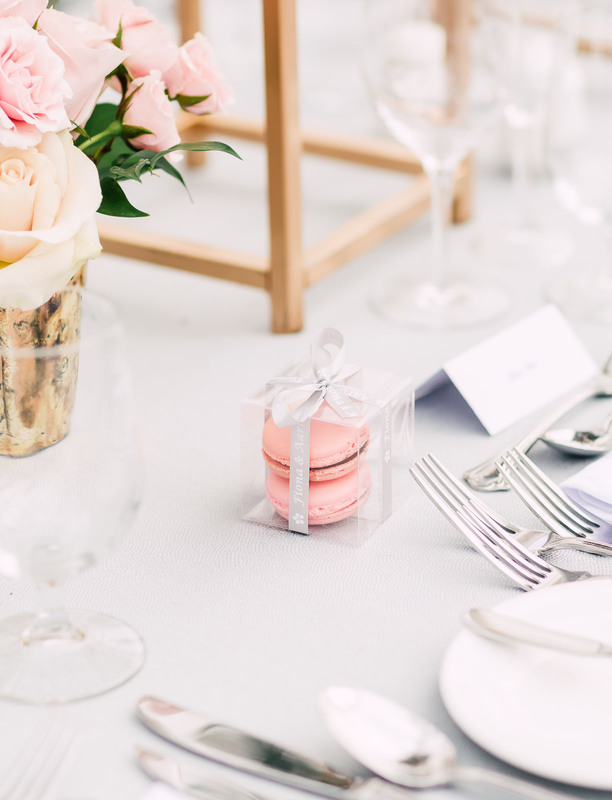 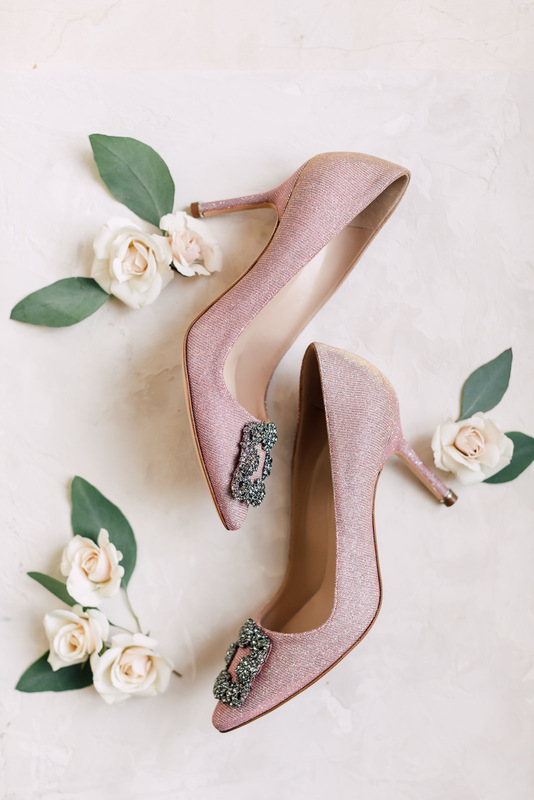 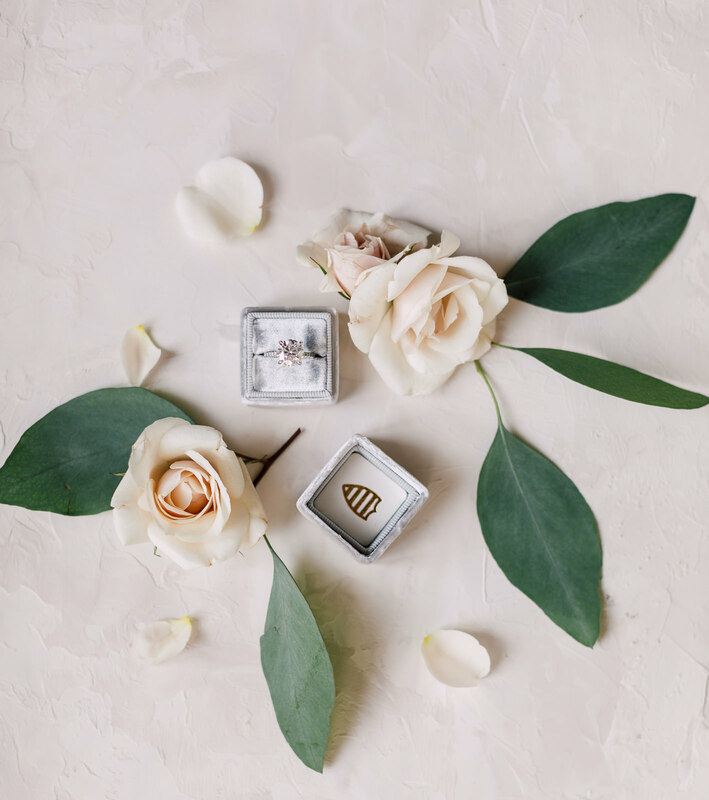 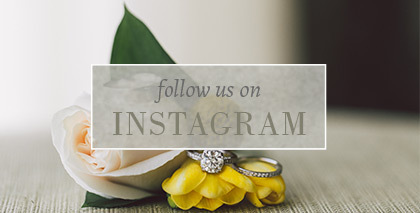 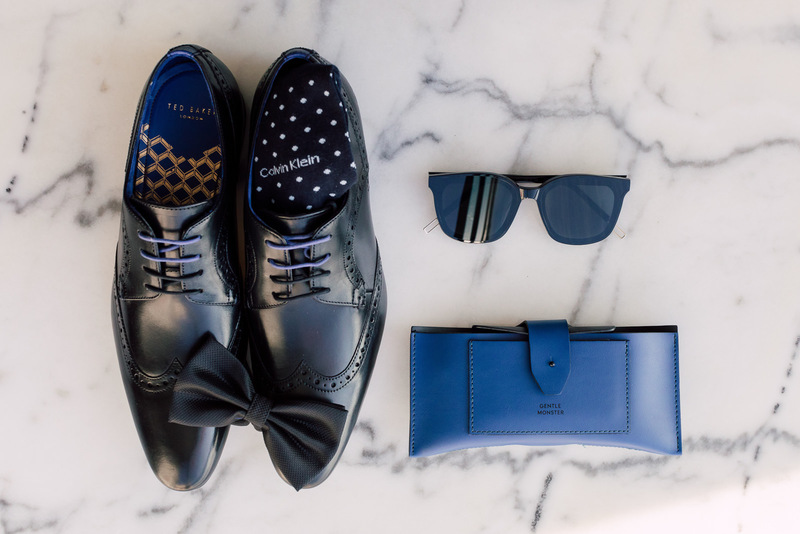 We bore witness to a beautiful garden wedding that focused on overall elegance. 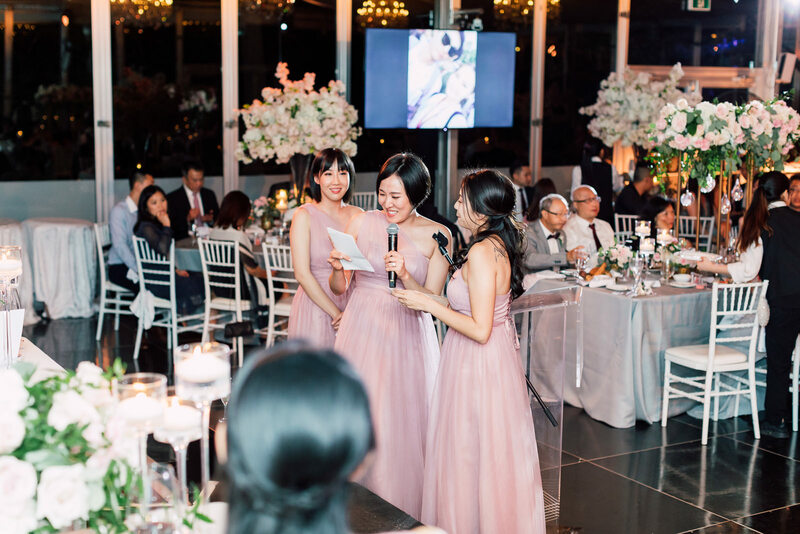 Their accents were made up of pastel-colored elements; nothing too dense nor striking, preserving the dream-like look overall. 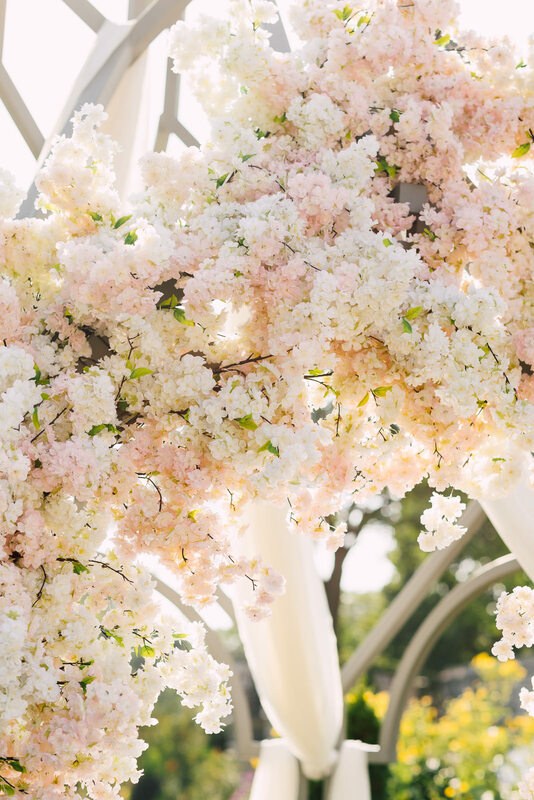 And of course, a plethora of flowers! 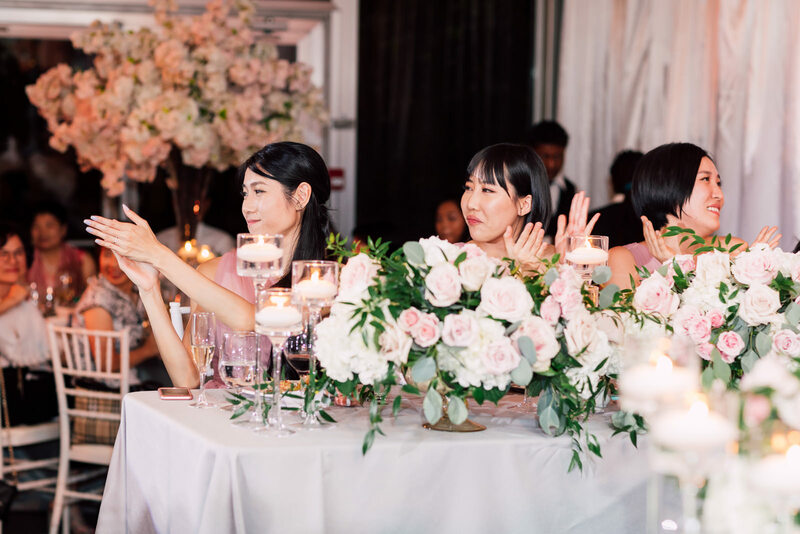 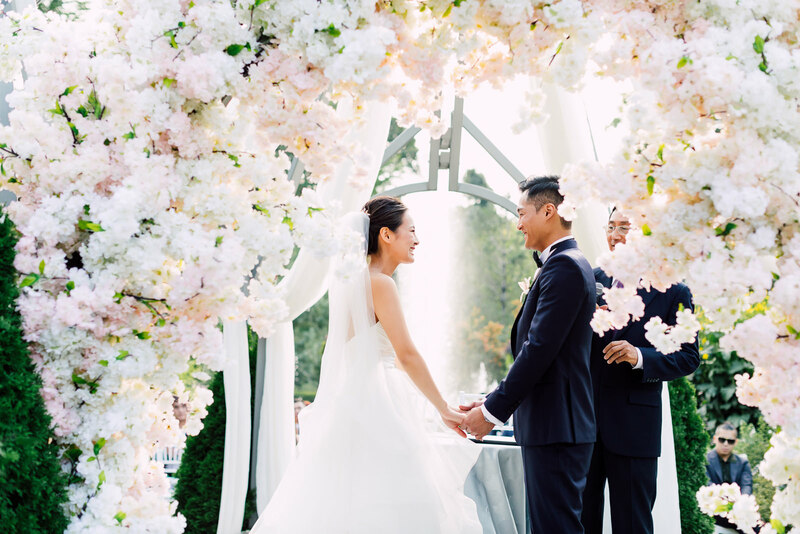 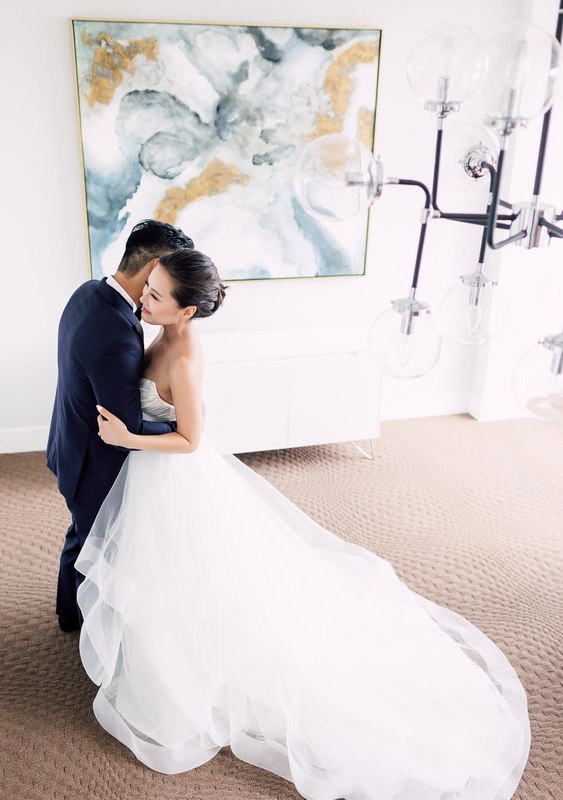 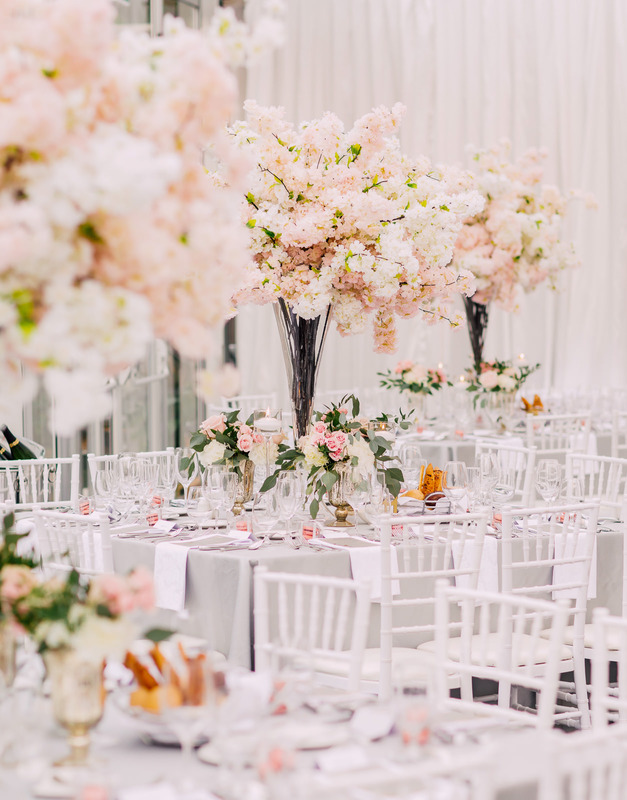 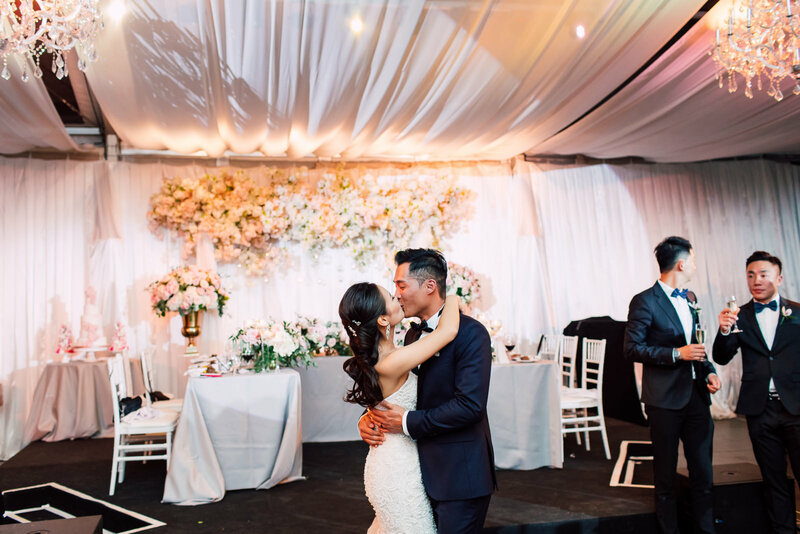 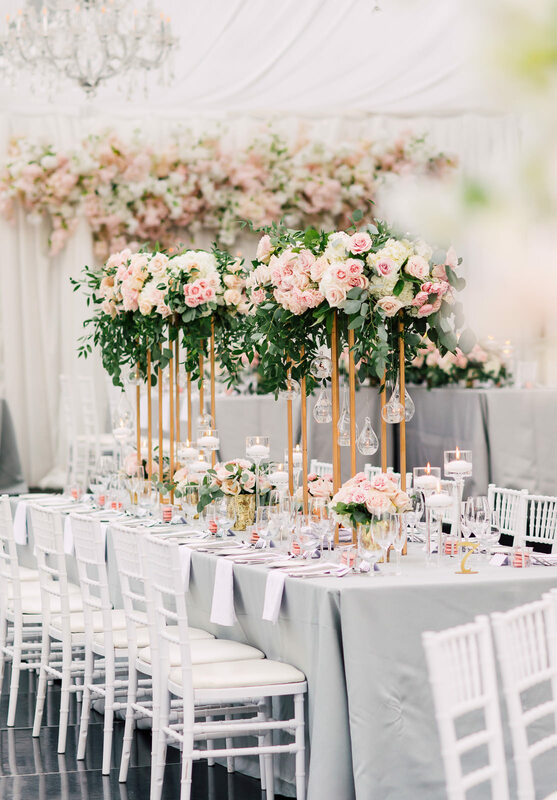 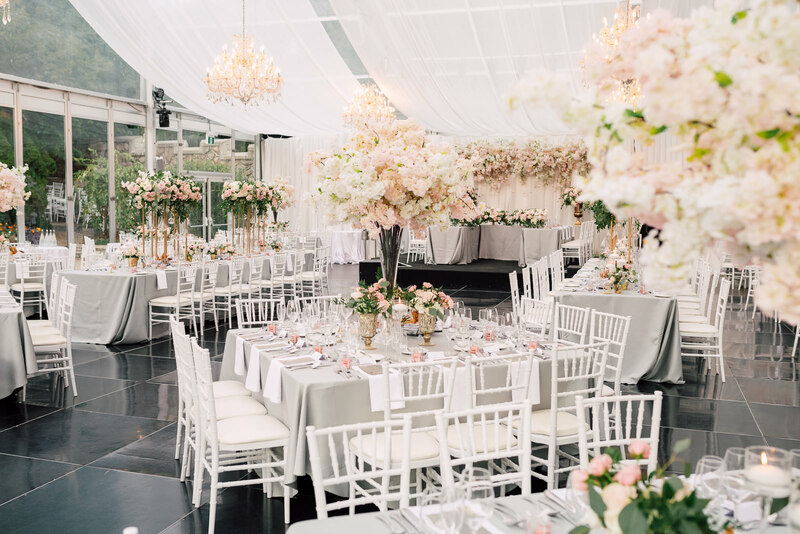 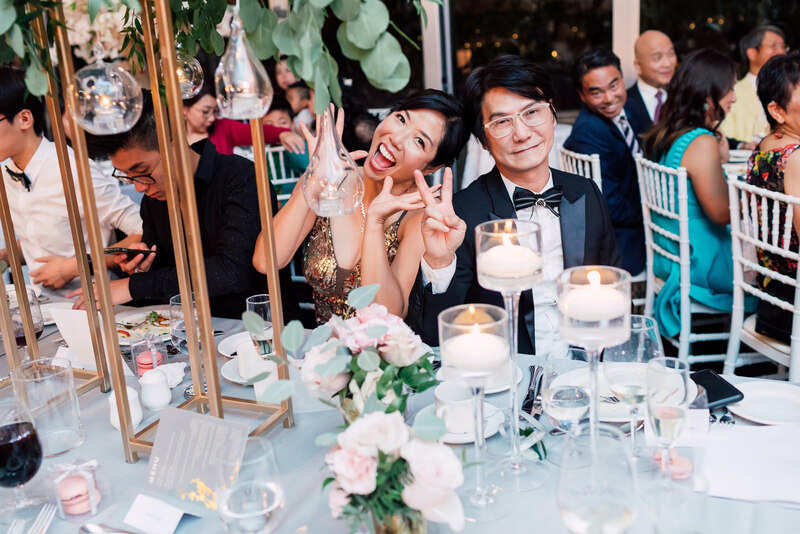 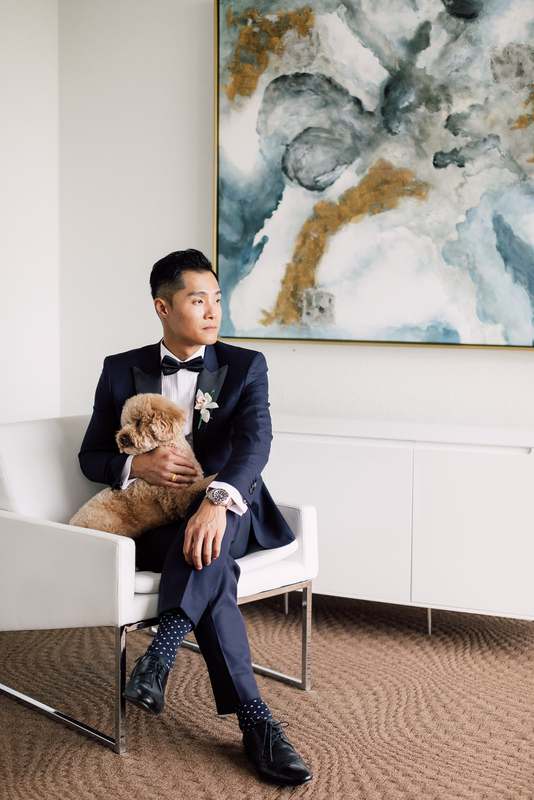 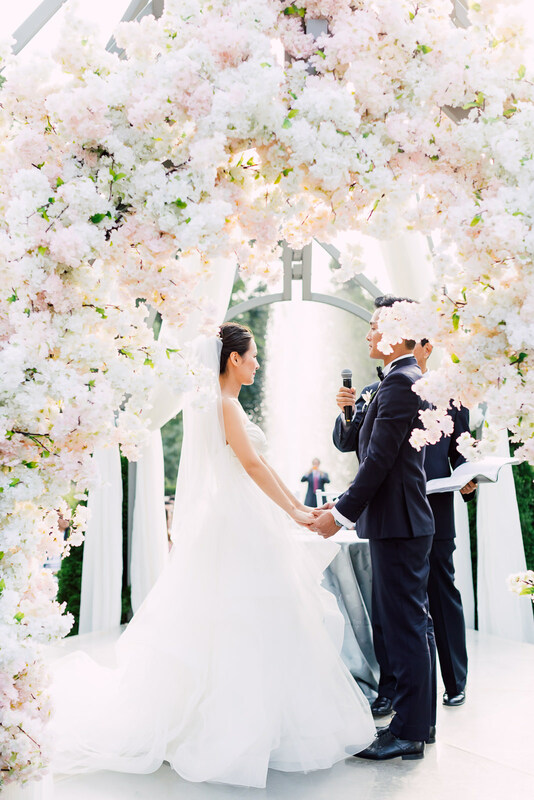 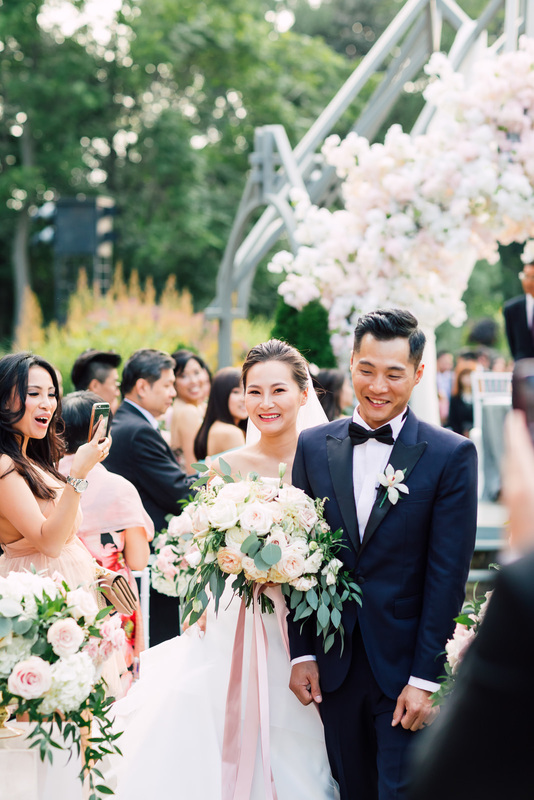 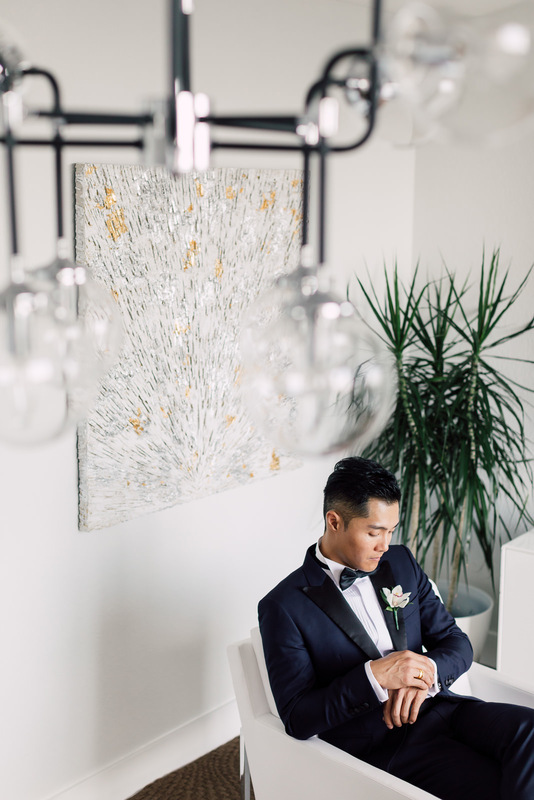 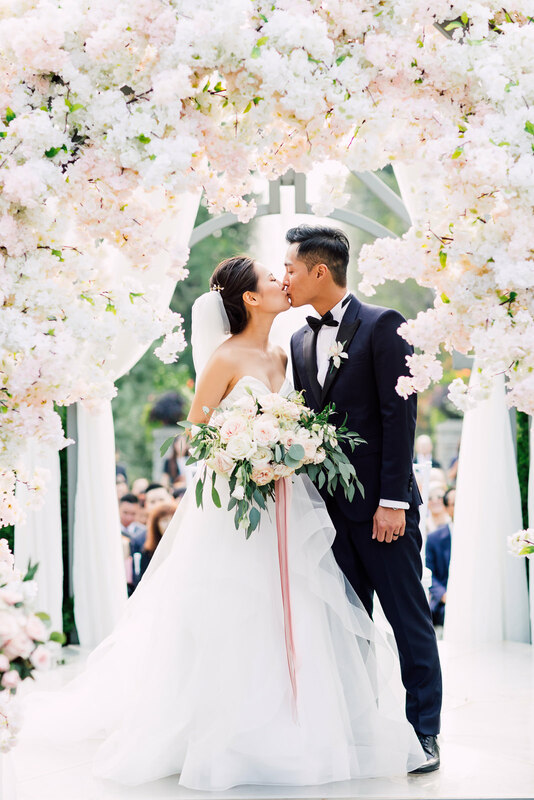 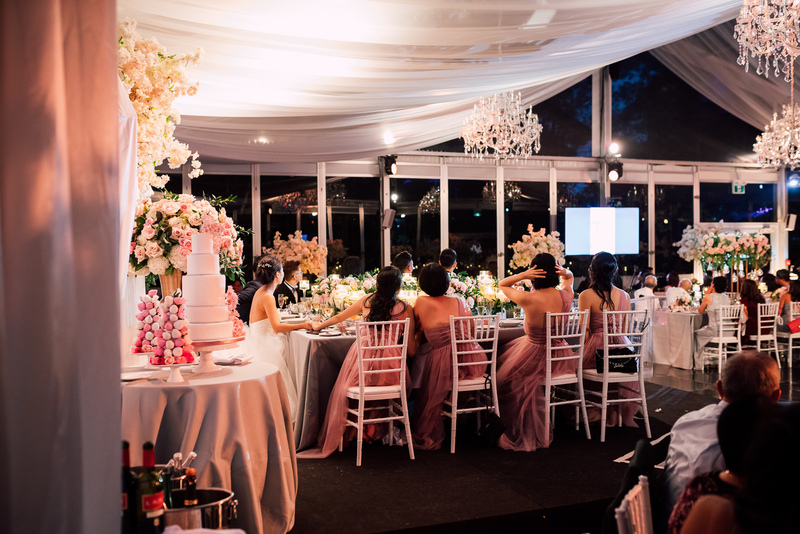 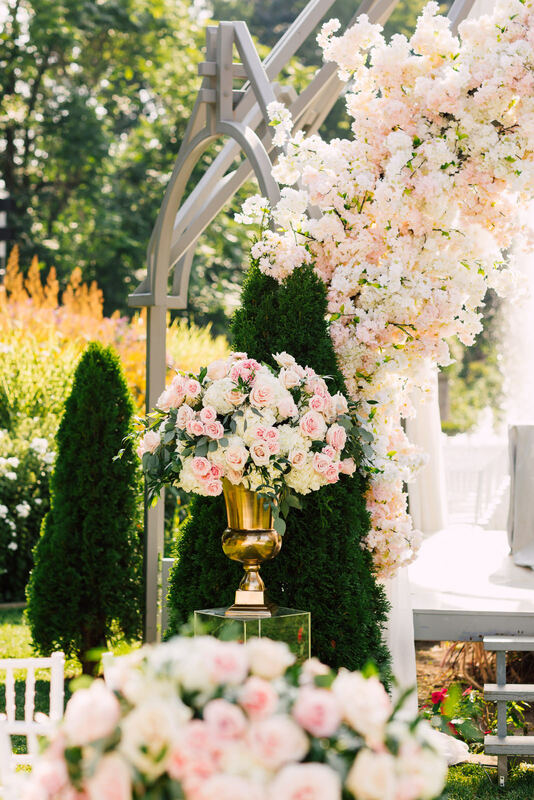 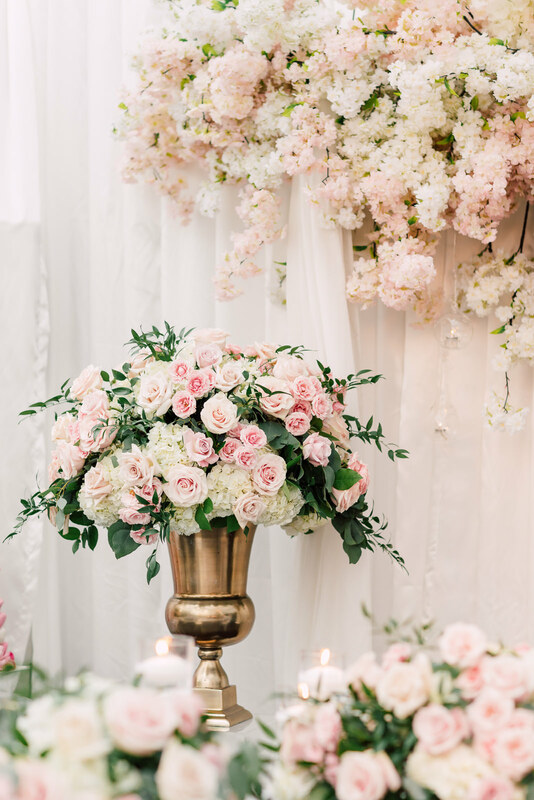 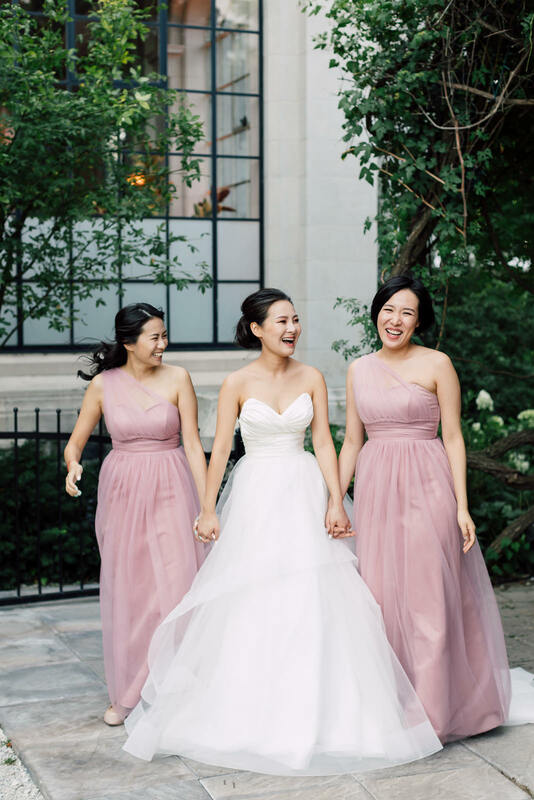 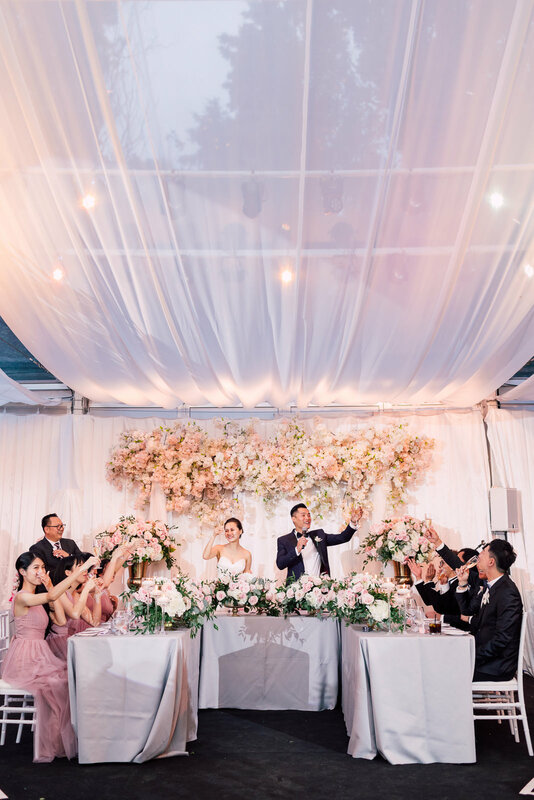 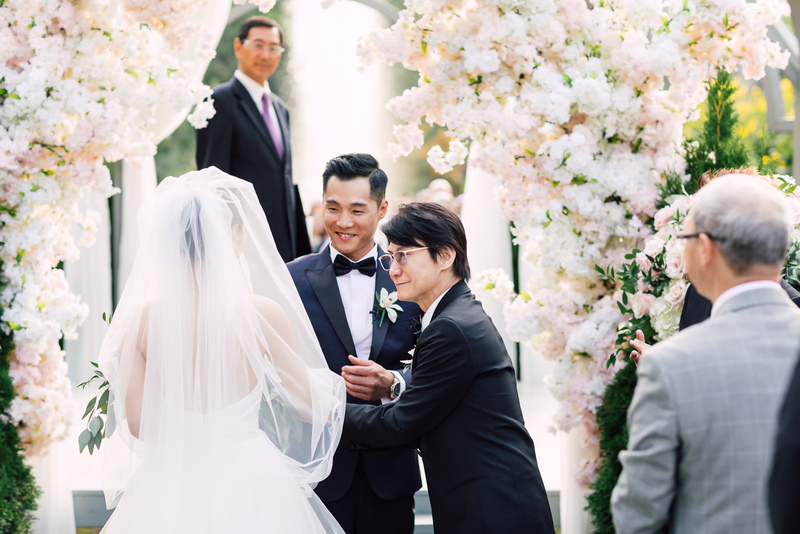 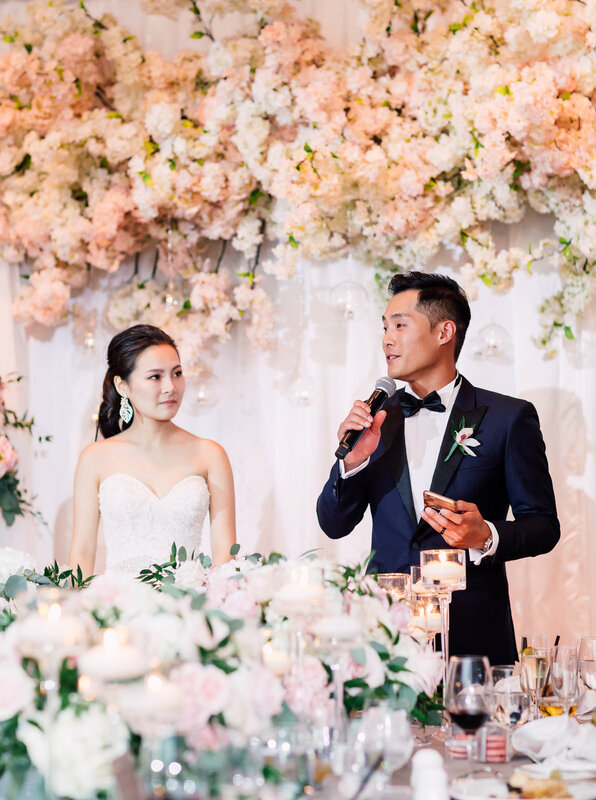 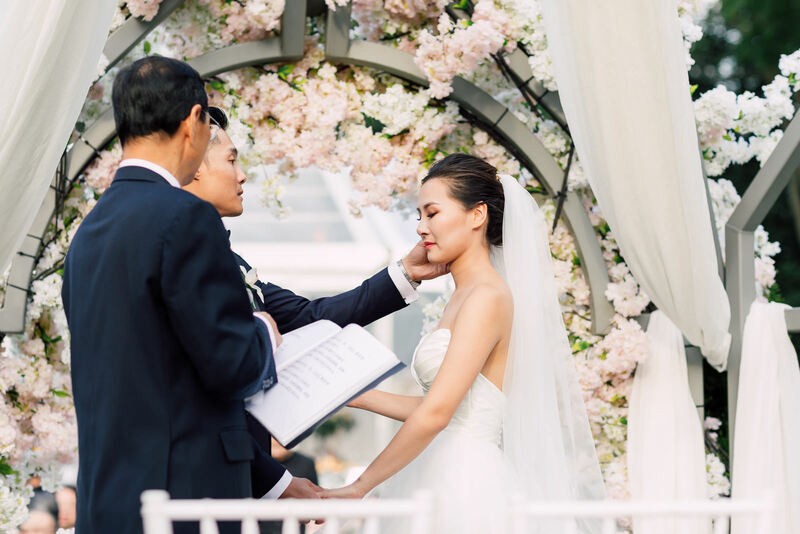 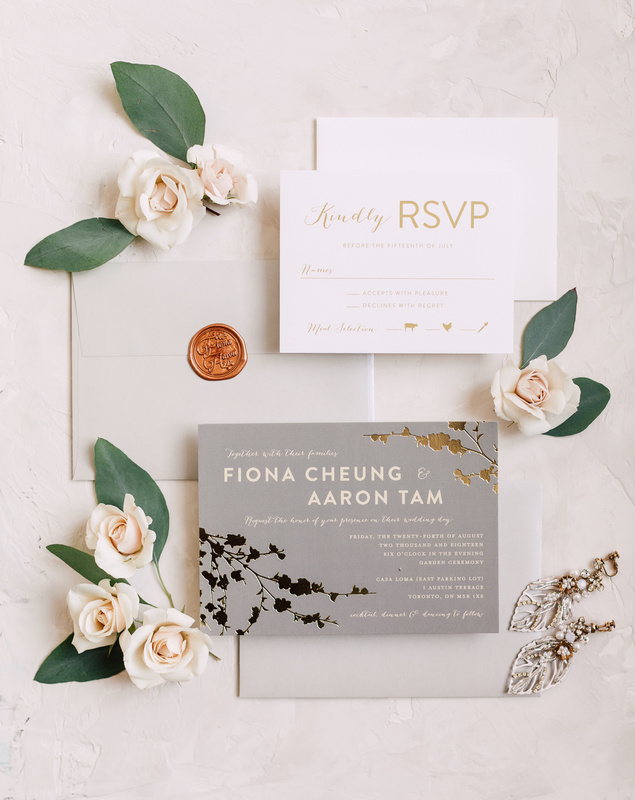 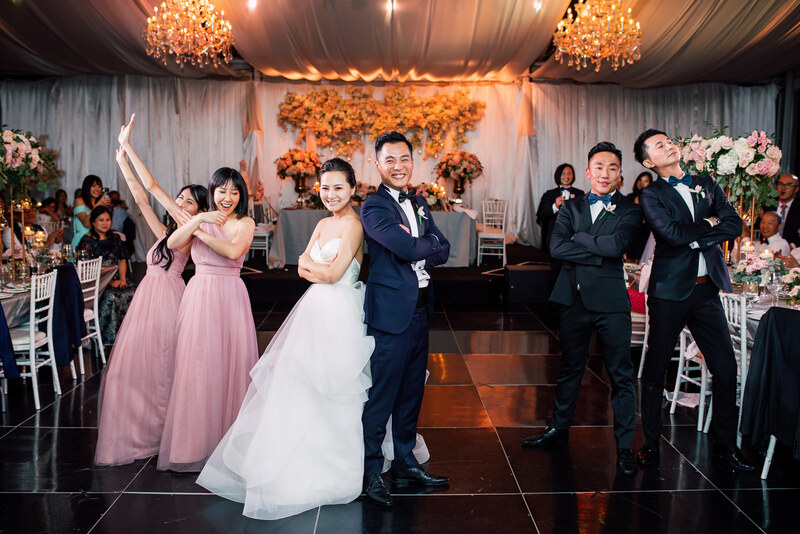 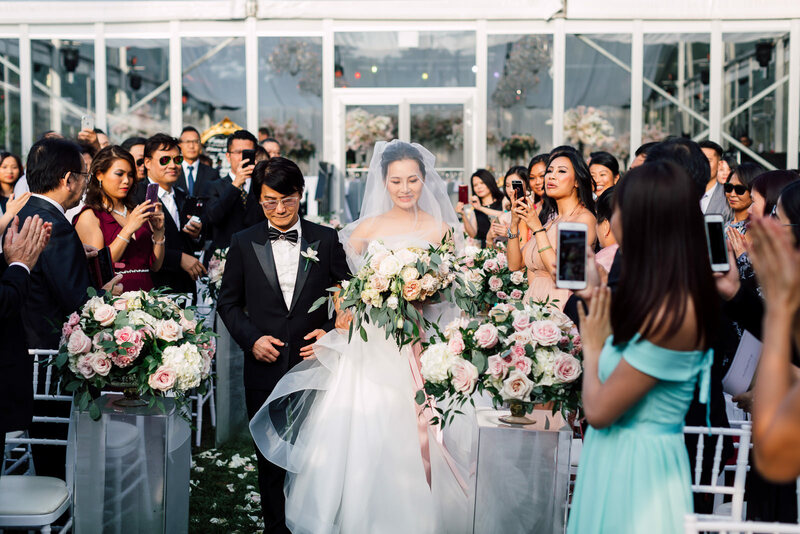 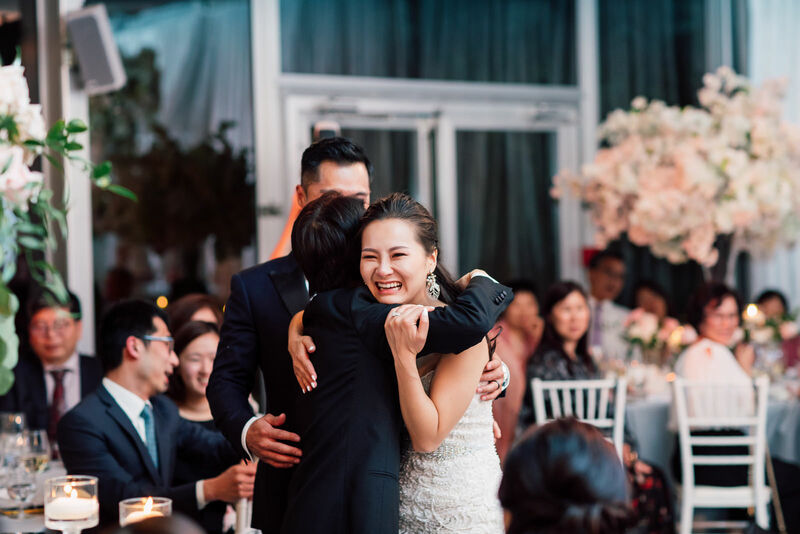 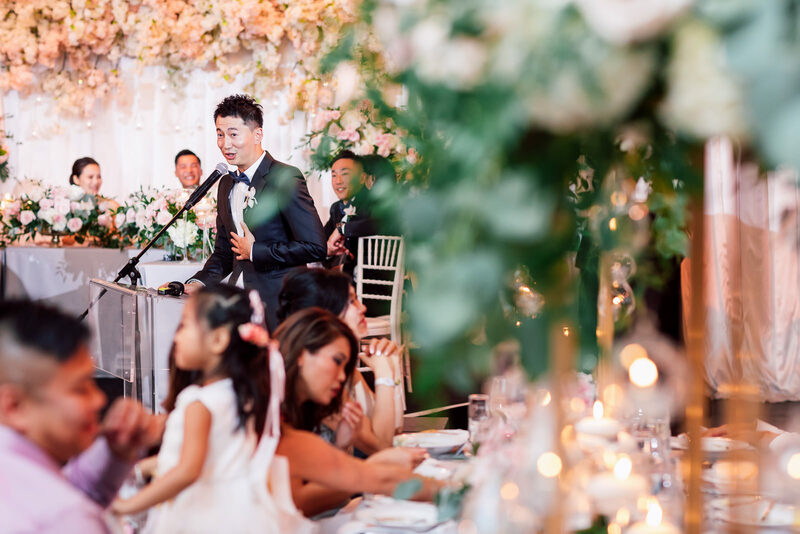 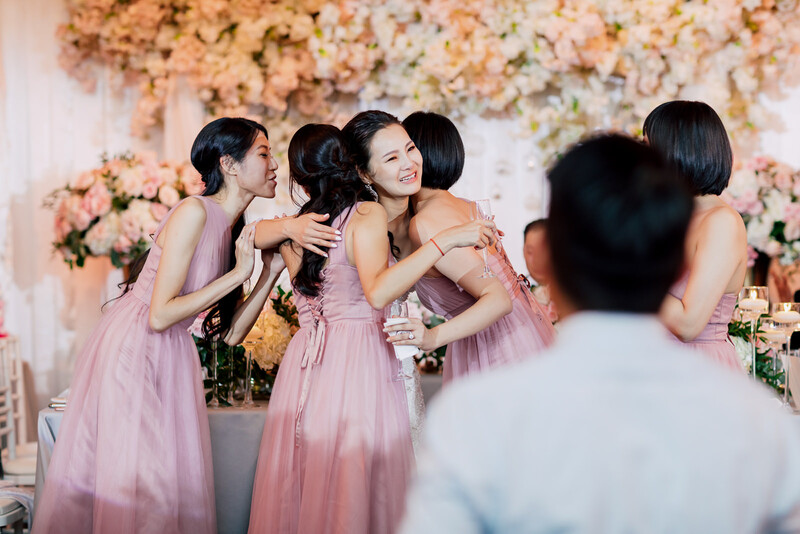 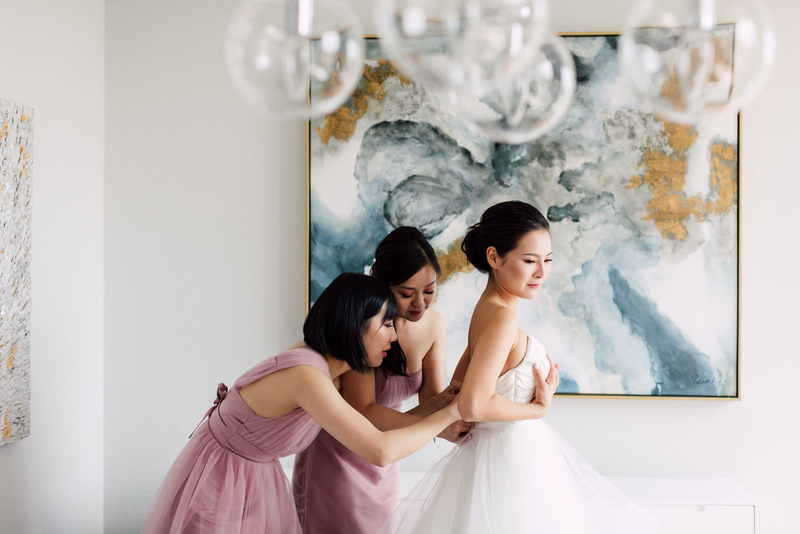 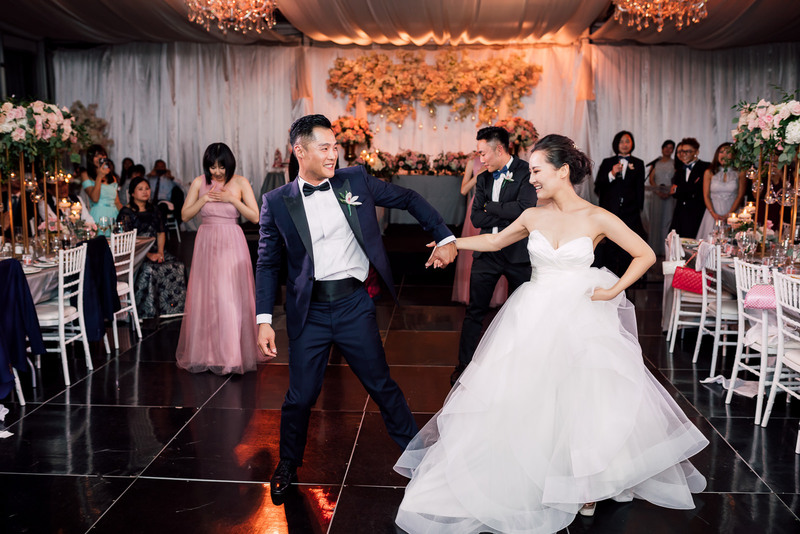 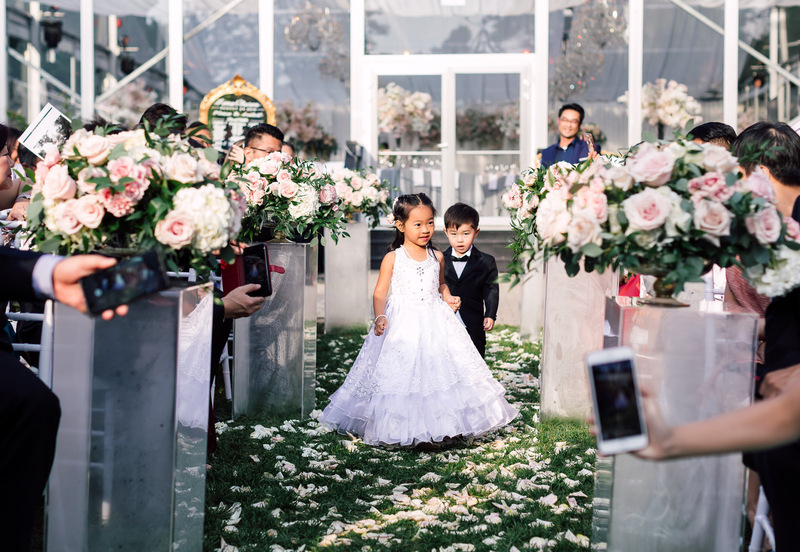 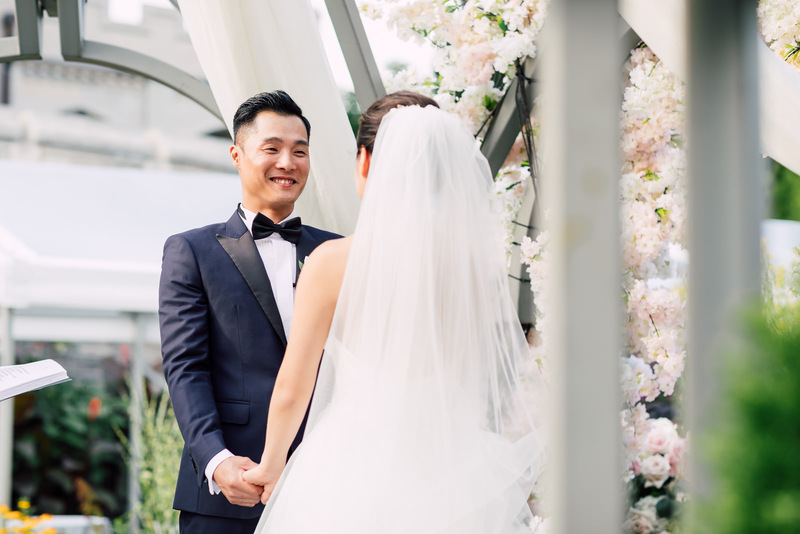 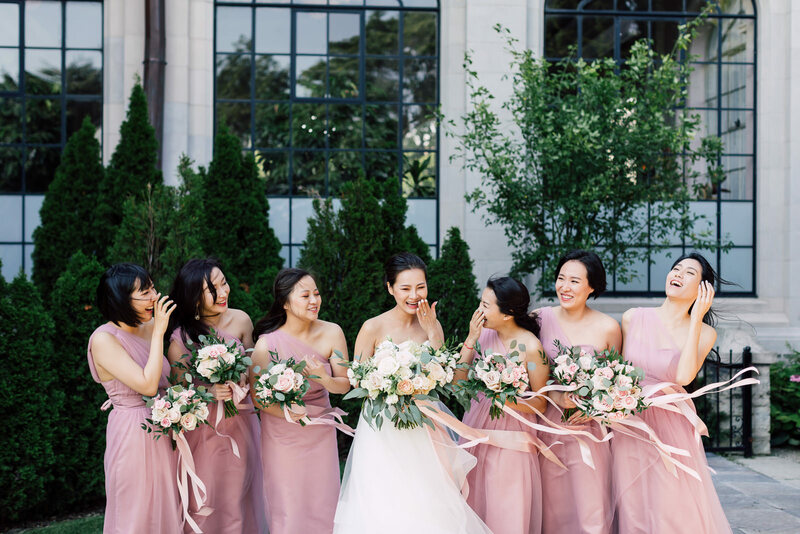 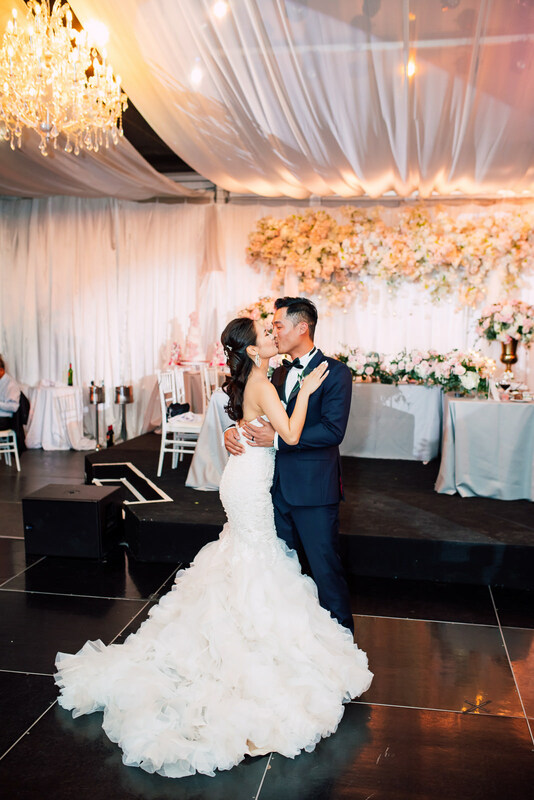 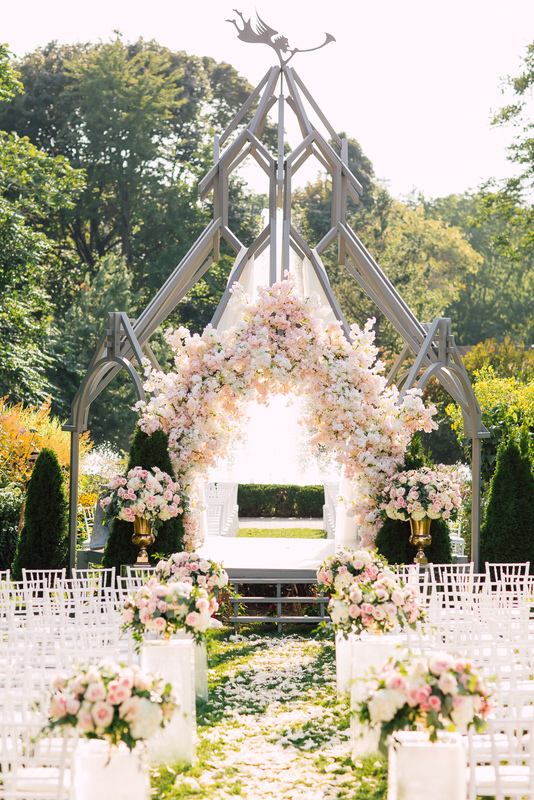 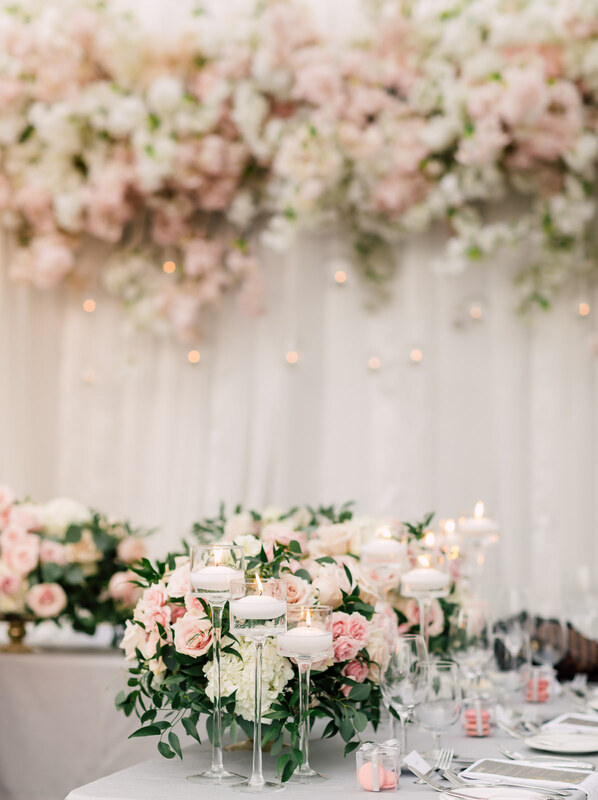 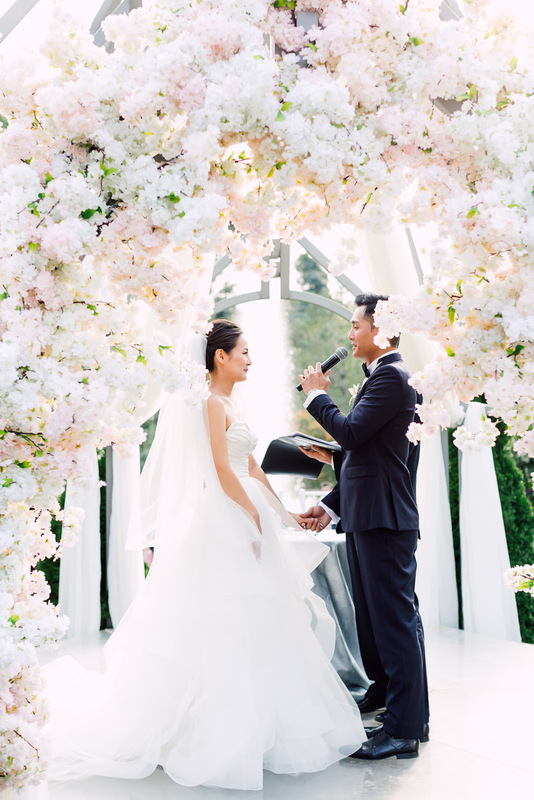 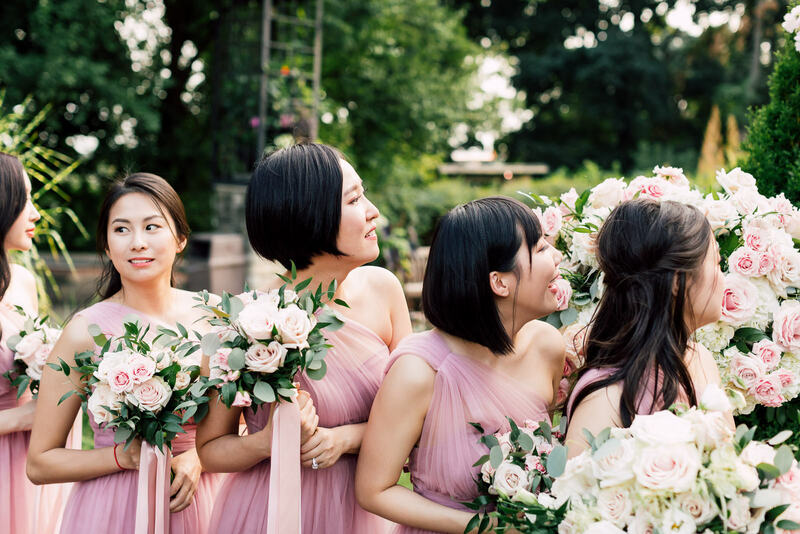 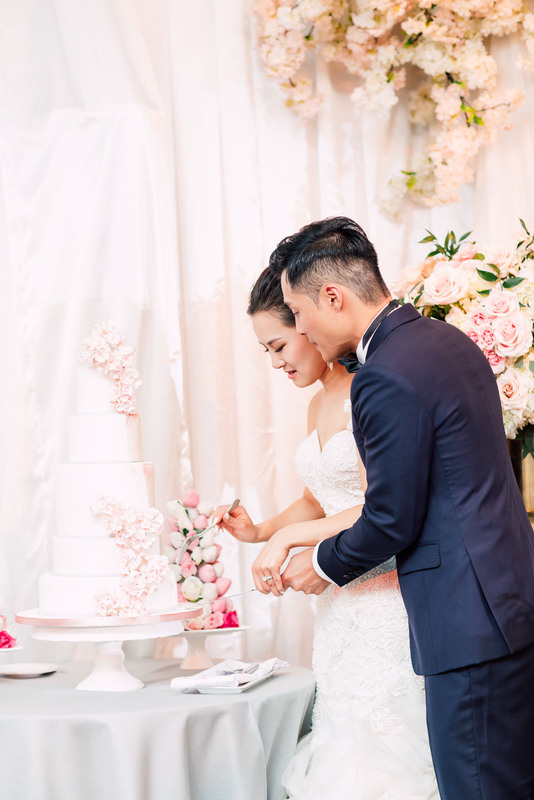 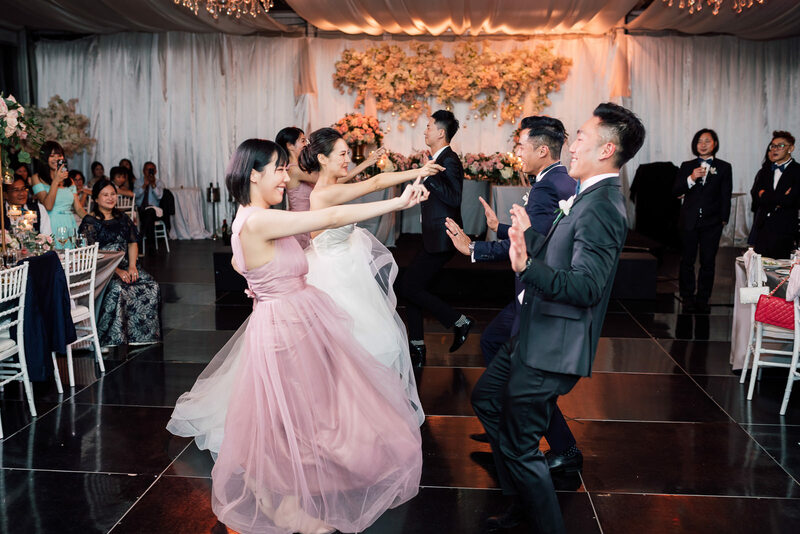 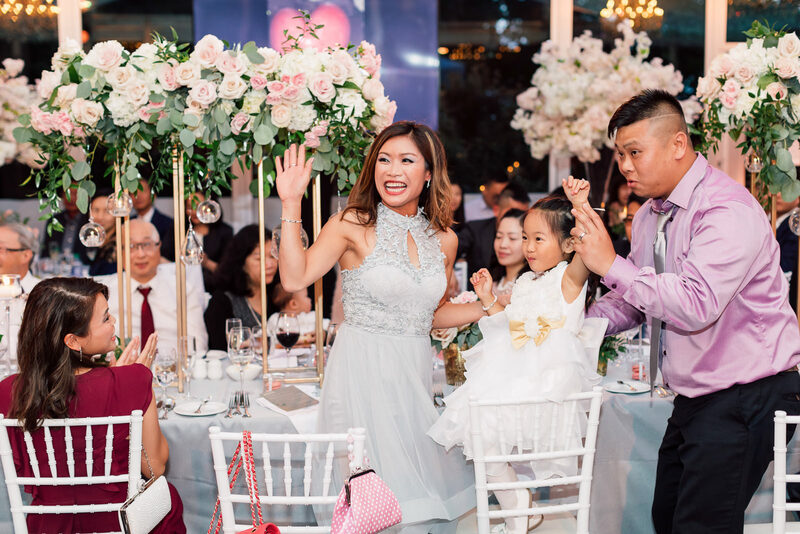 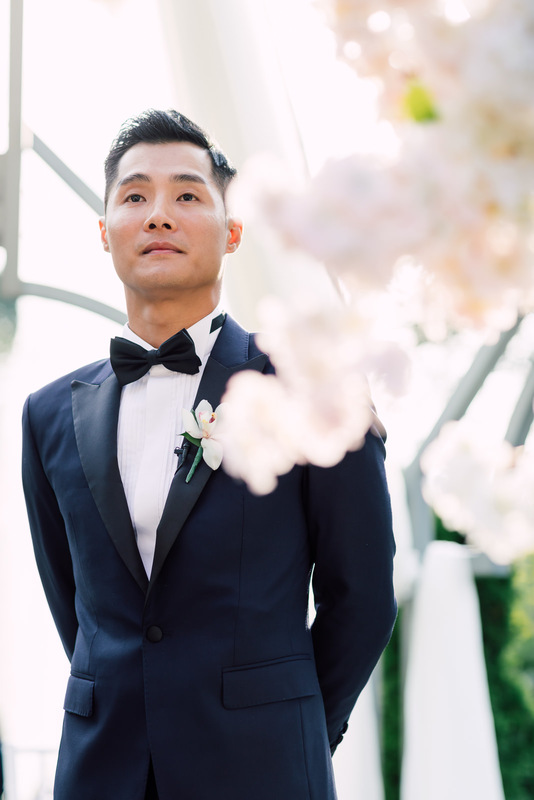 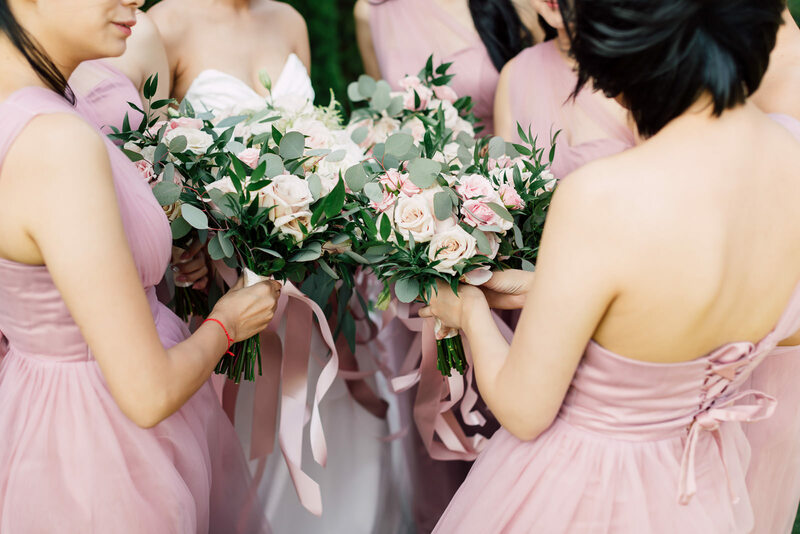 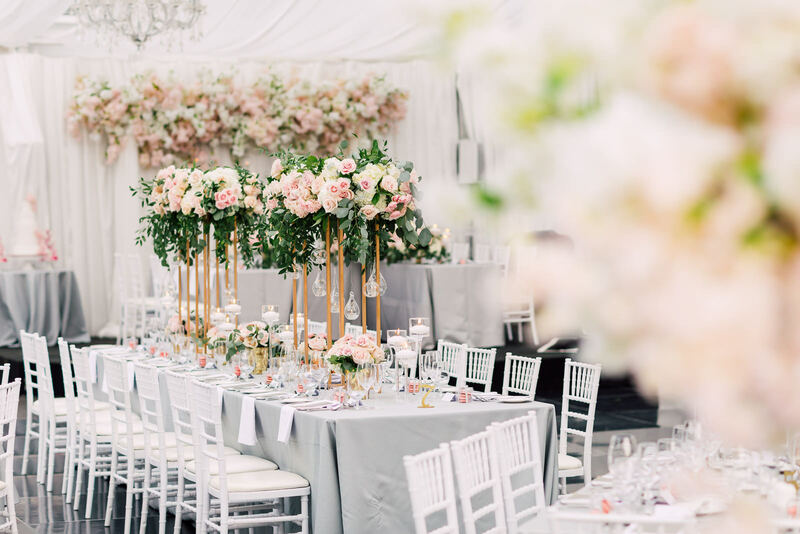 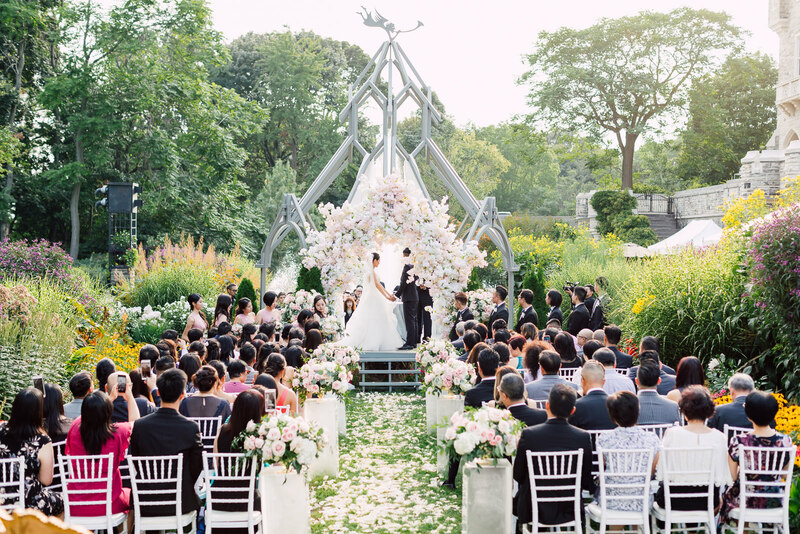 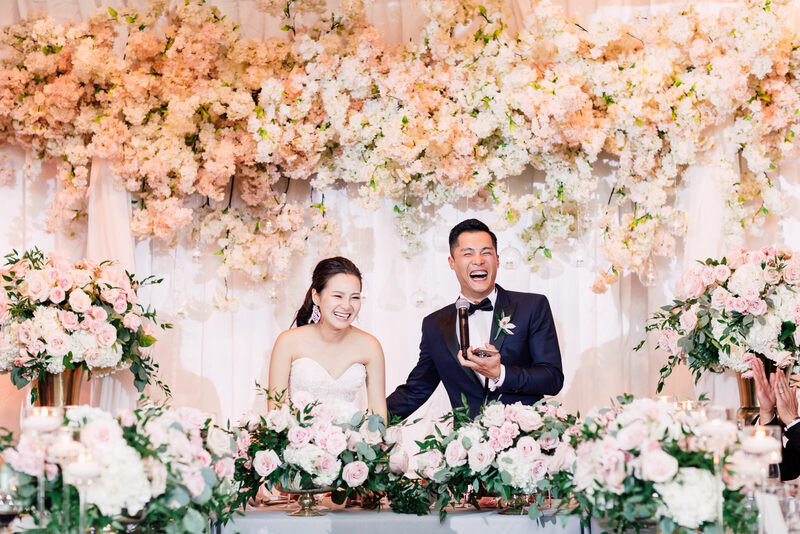 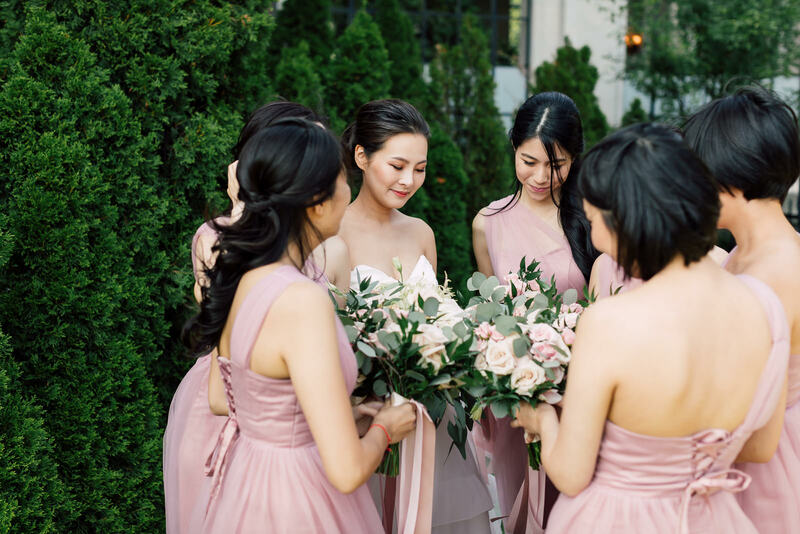 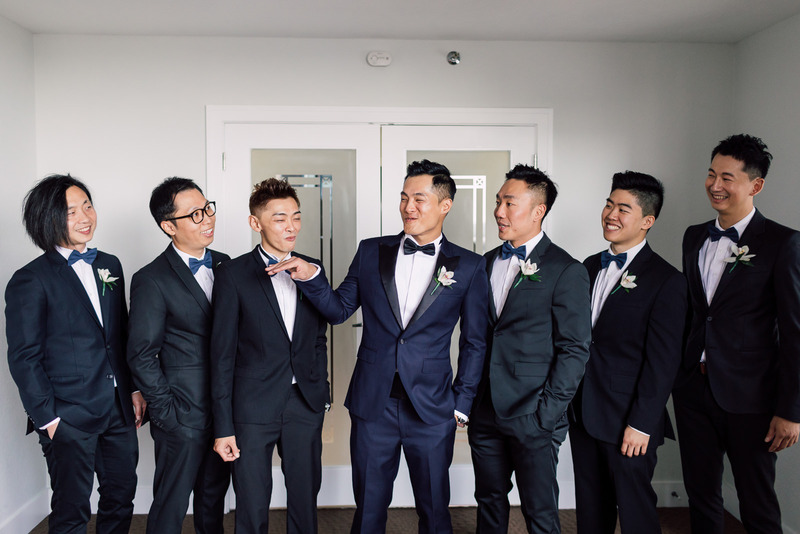 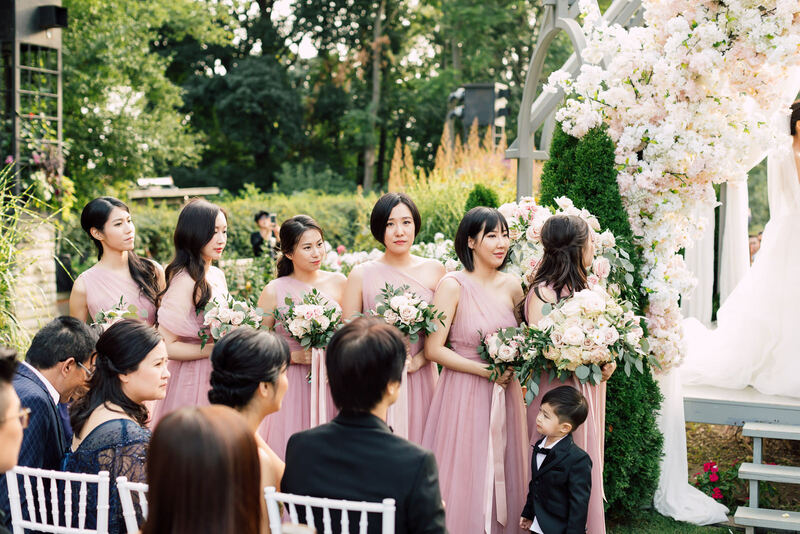 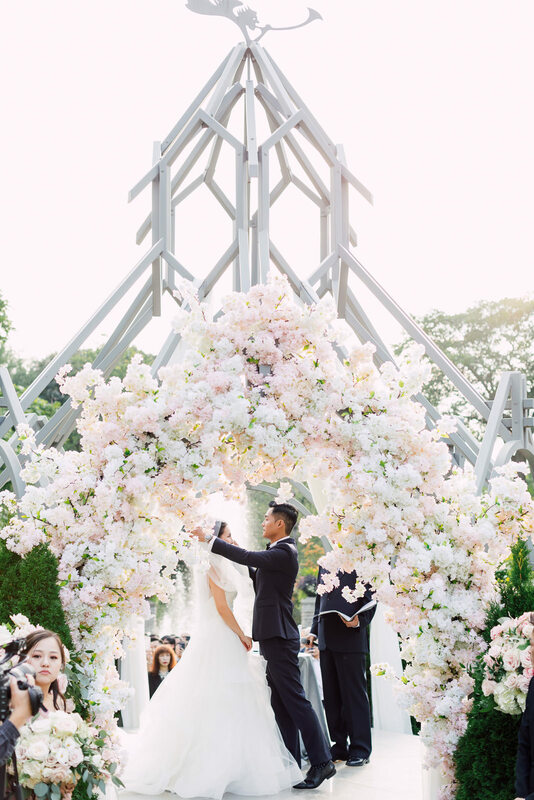 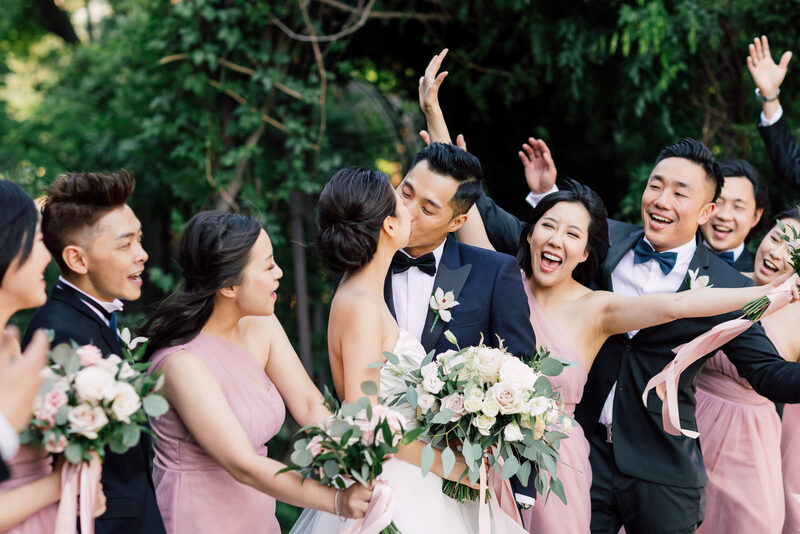 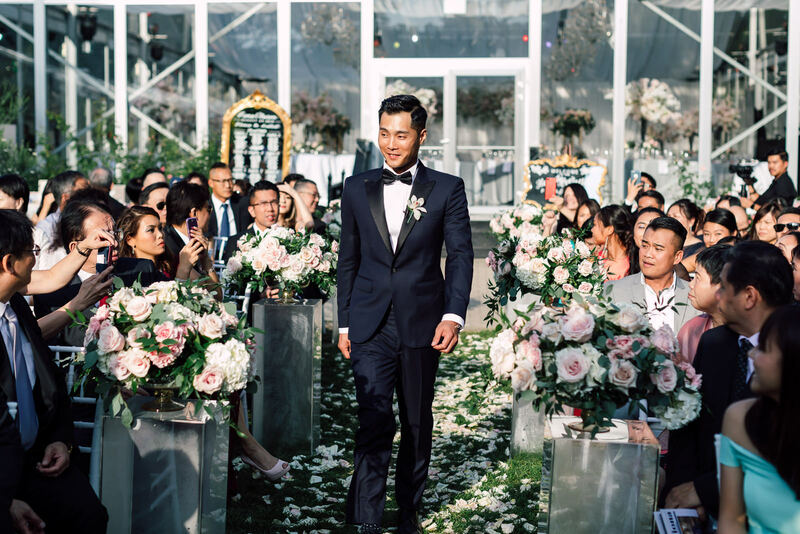 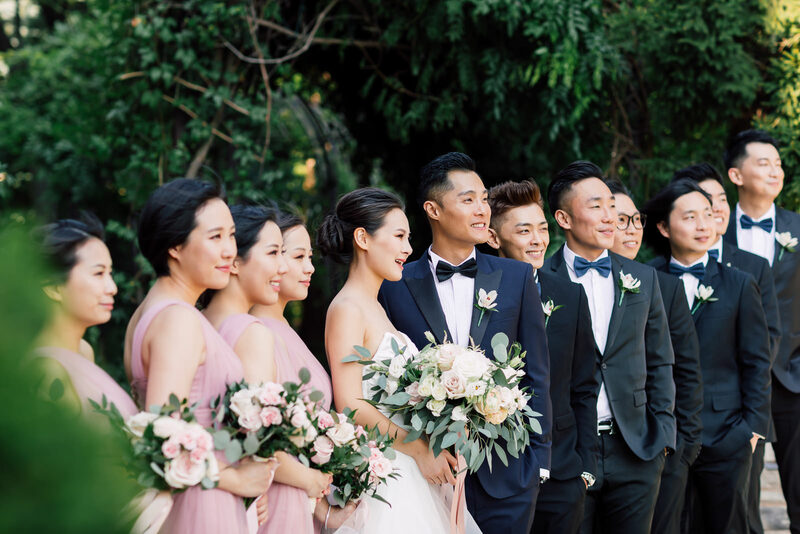 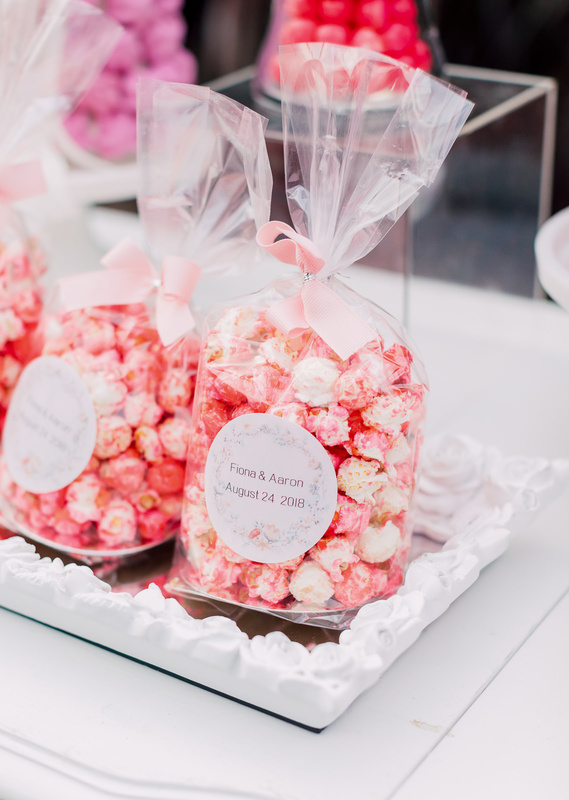 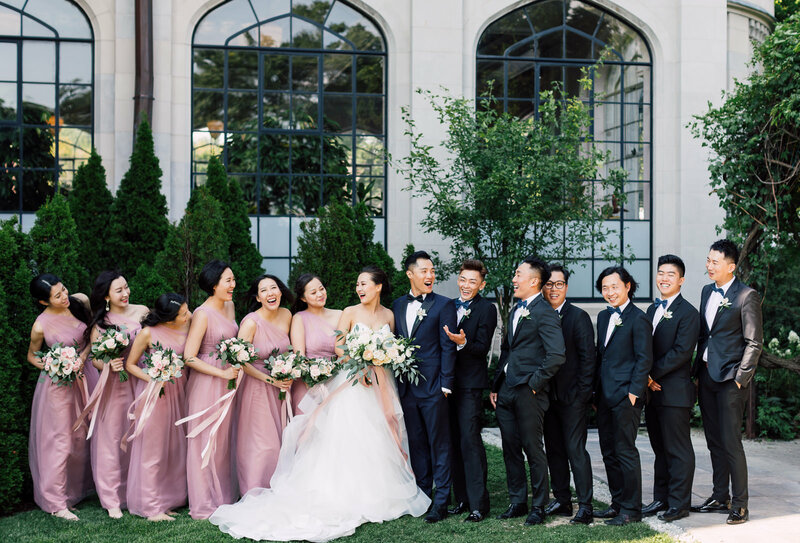 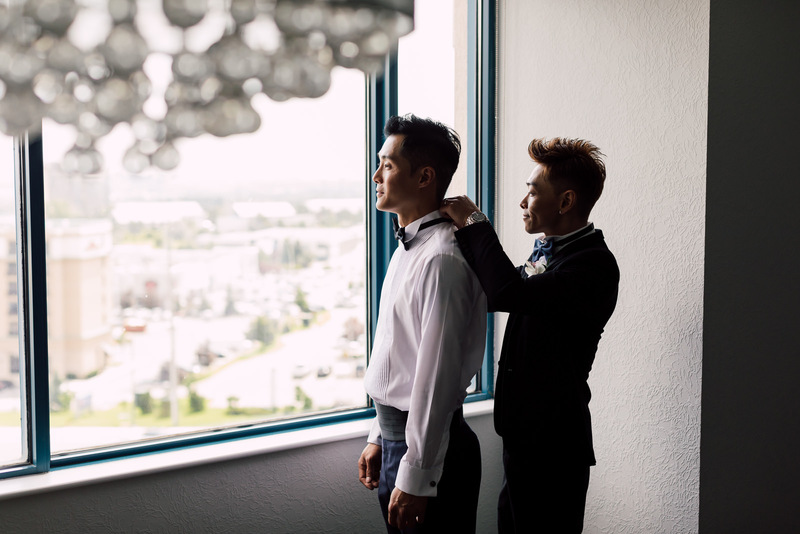 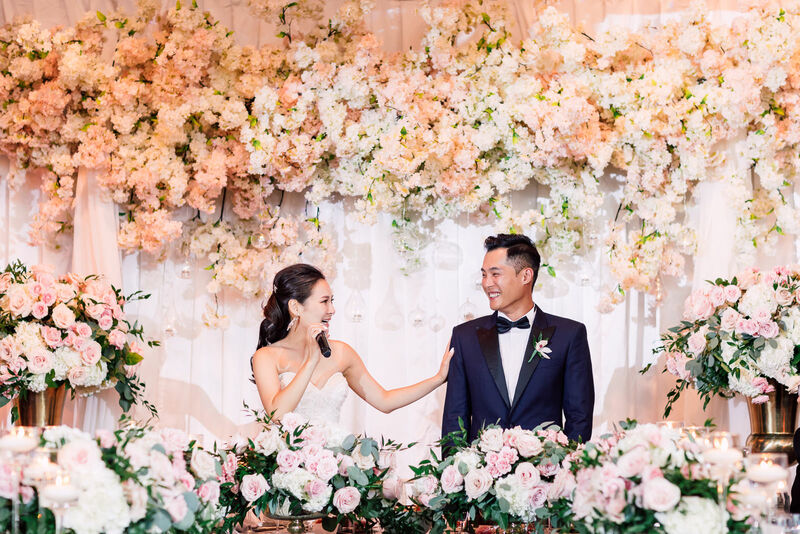 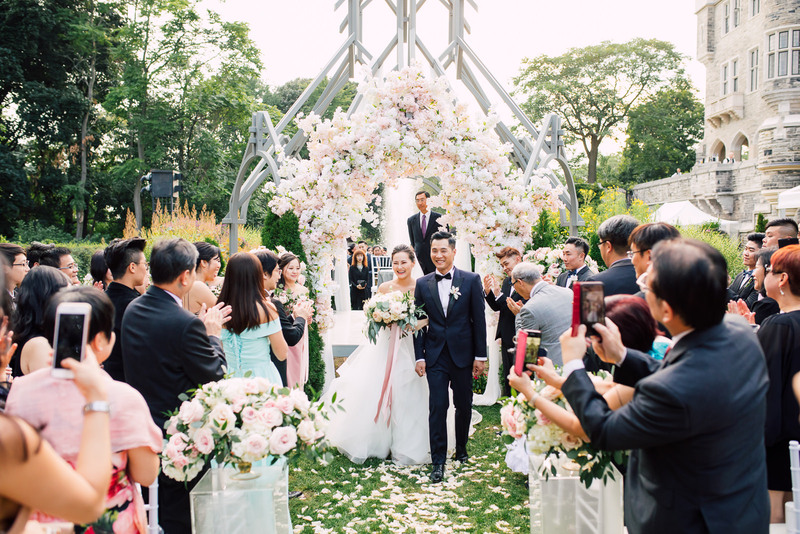 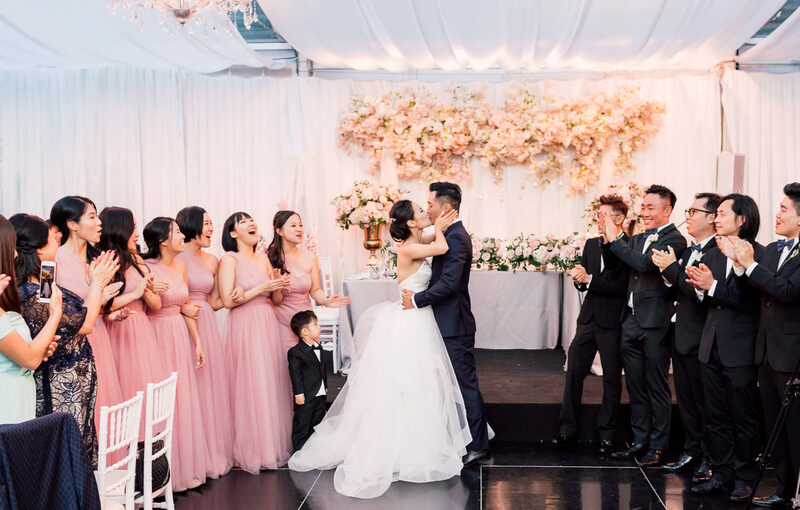 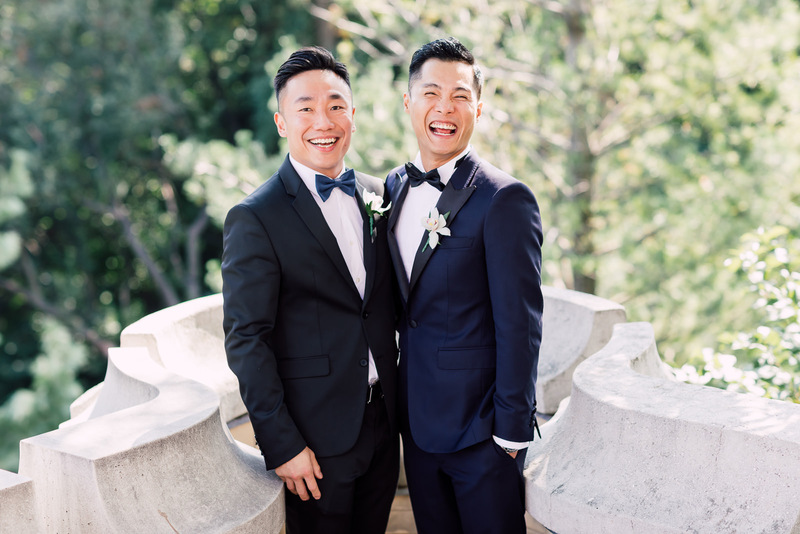 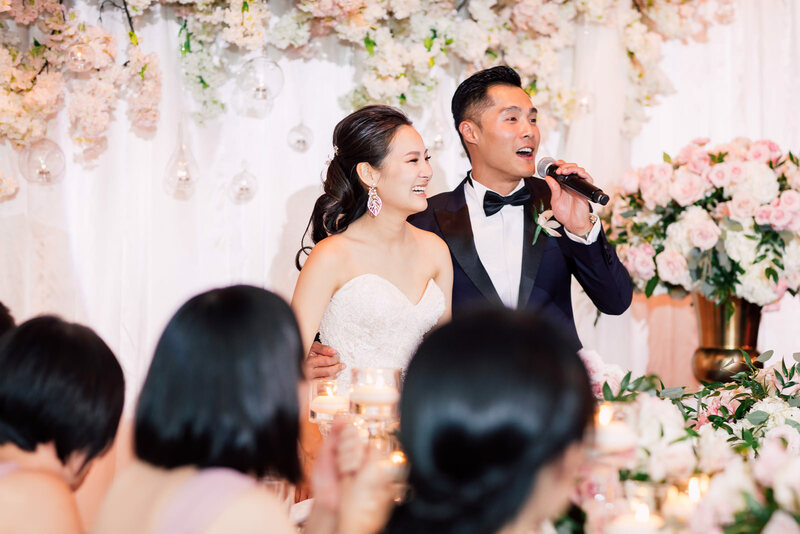 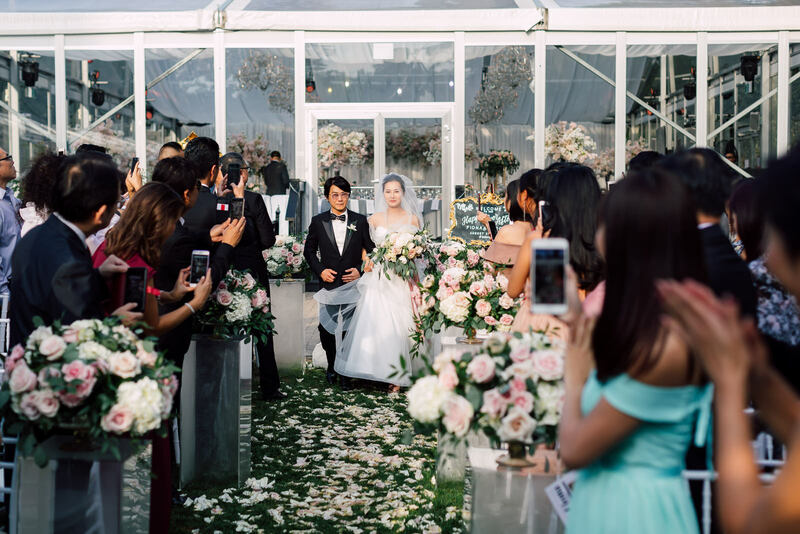 Thanks to their planner, Rainbow Chan, their celebration was filled with muted pastel-colored flowers and accents were all over the place; even their beautiful wedding canopy, where they exchanged vows, was beautifully adorned with flowers, too. 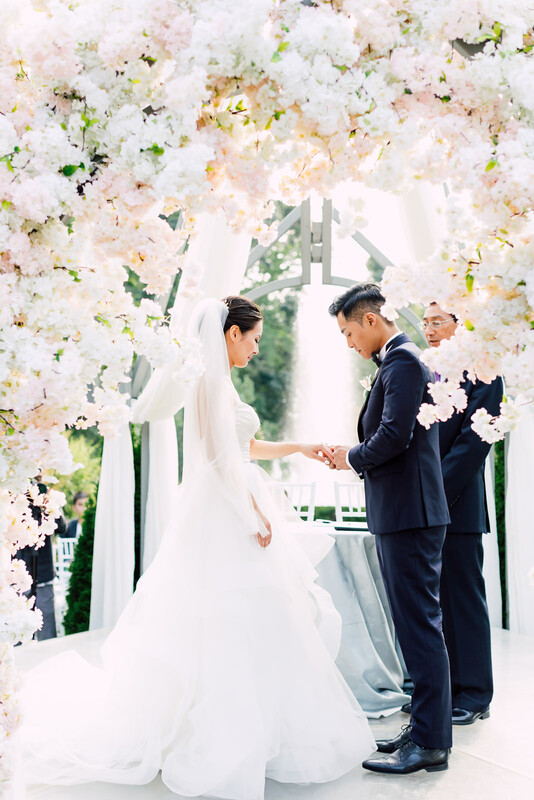 The walkway had white petals scattered all over and it just looked very beautiful overall, especially under the afternoon light. 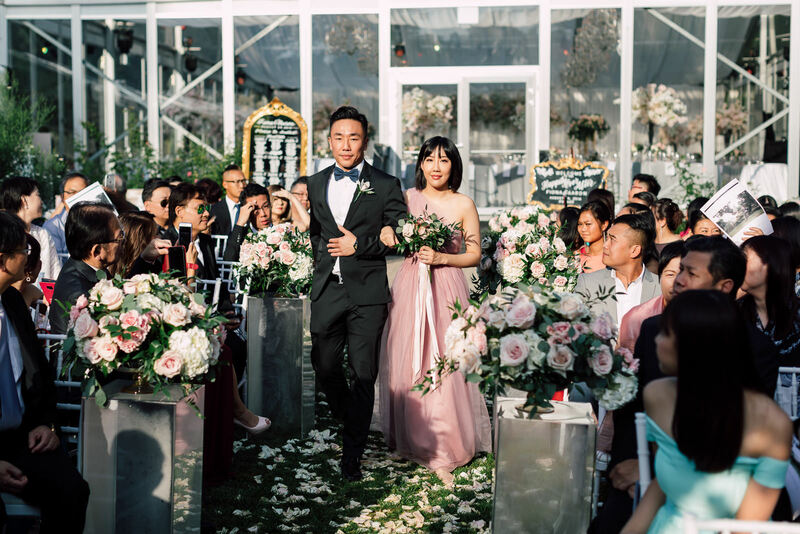 The couples’ guests were all smiles as they witnessed Fiona and Aaron walking down the aisle, entering an arc of flowers and committing to spend the rest of their lives together. 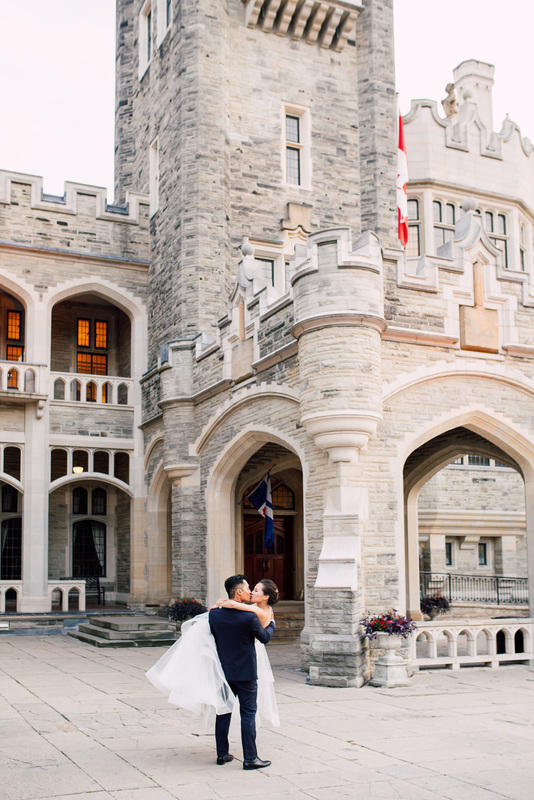 They held their reception in Casa Loma’s Garden Pavilion, known for a place to hold those magical summer night tent weddings. 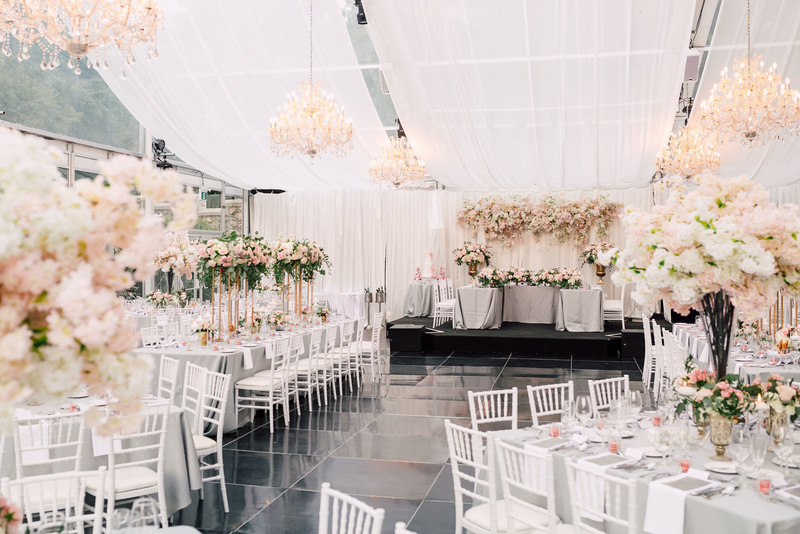 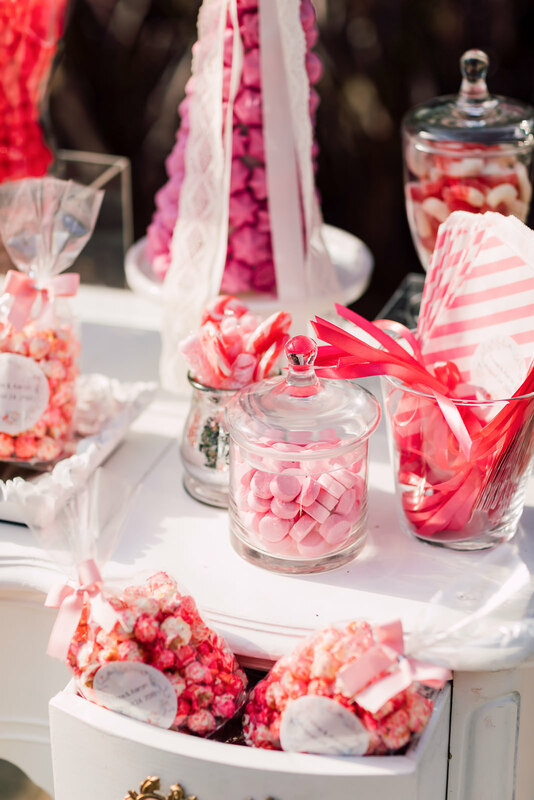 The venue was set-up the same way like the wedding itself, but had softer and more muted elements. 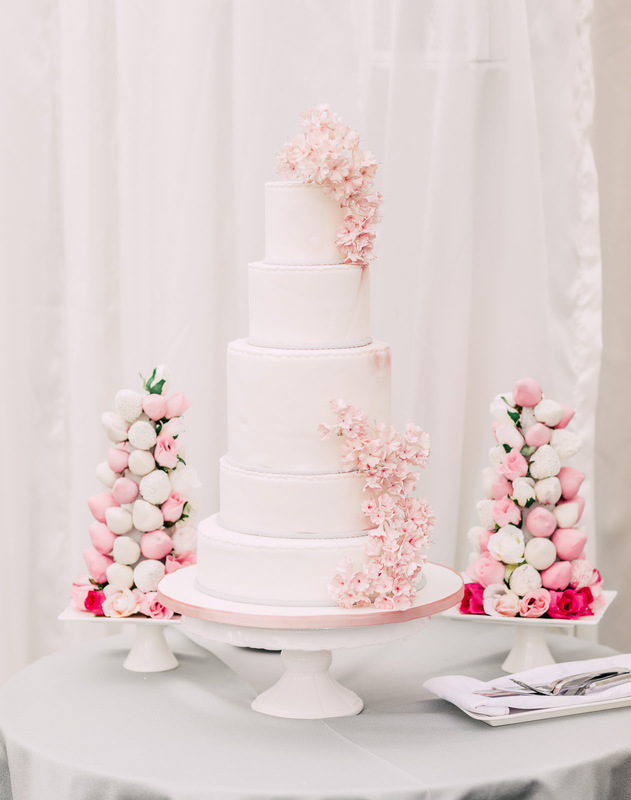 The colors felt like spring, and their wedding cake reminded us of cherry blossoms. 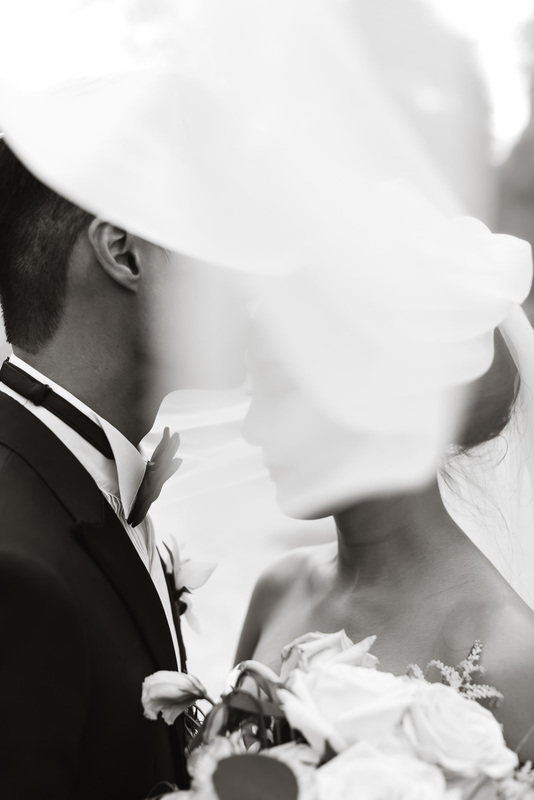 It was very obvious from the beginning of how much Aaron adored Fiona, and vice versa. 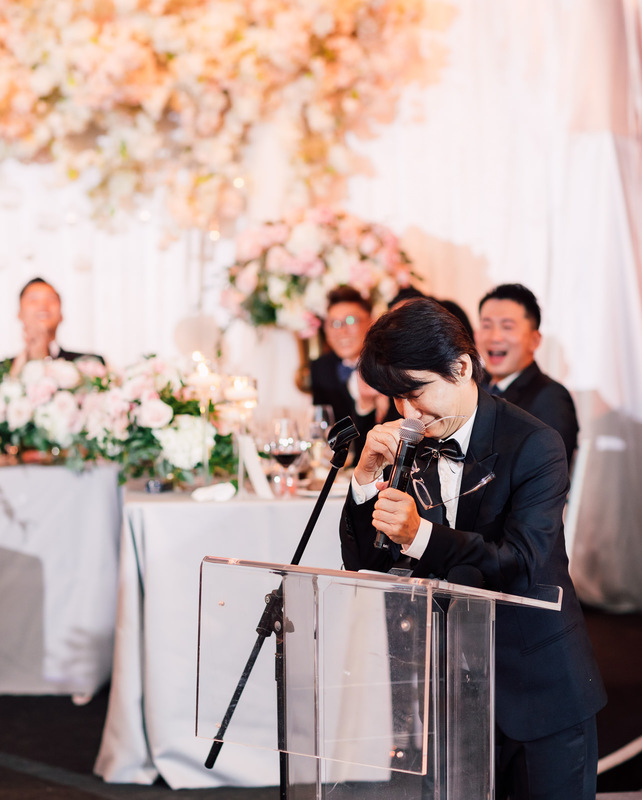 We were so happy in having witnessed these two beautiful people finally say their promises of forever to one another, in the presence of their family and friends who have been there for them from the start, and have continually celebrated their love.